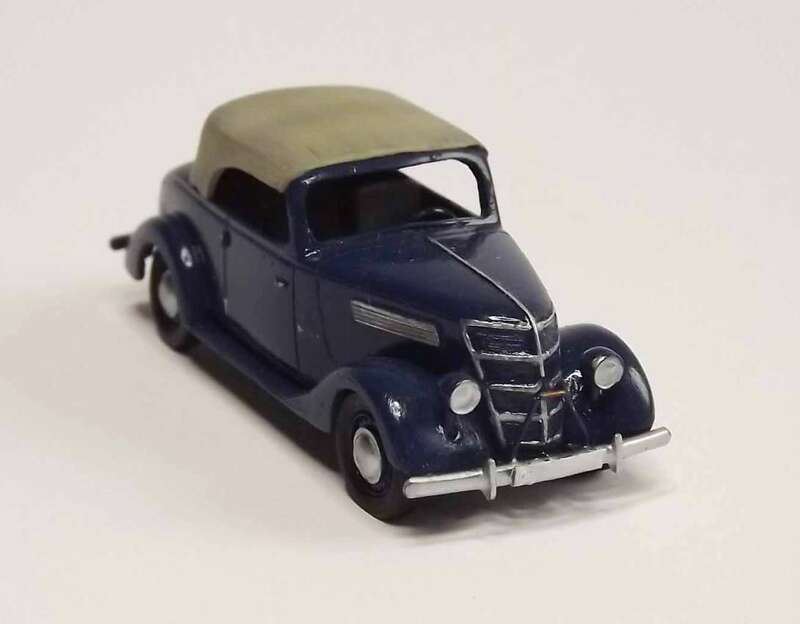 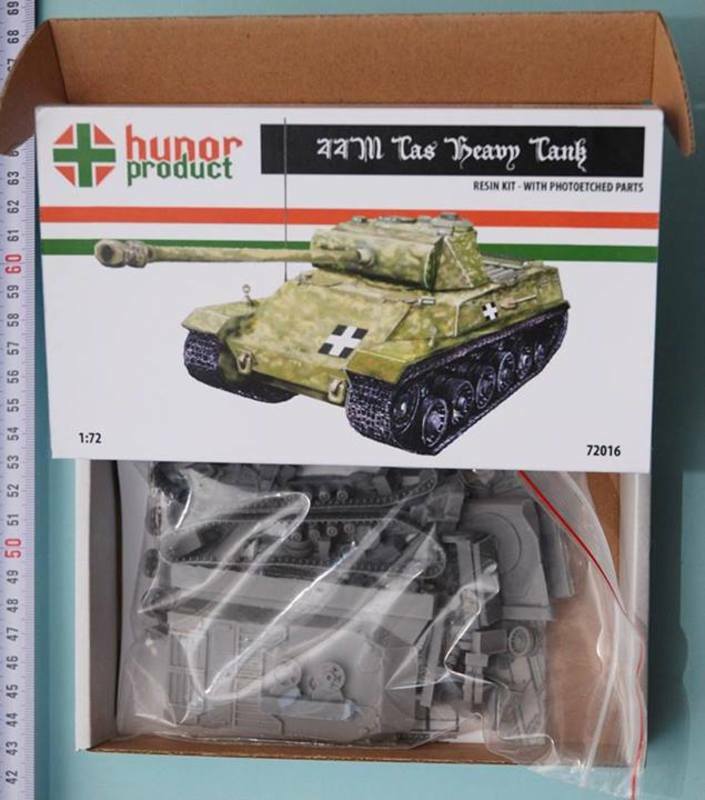 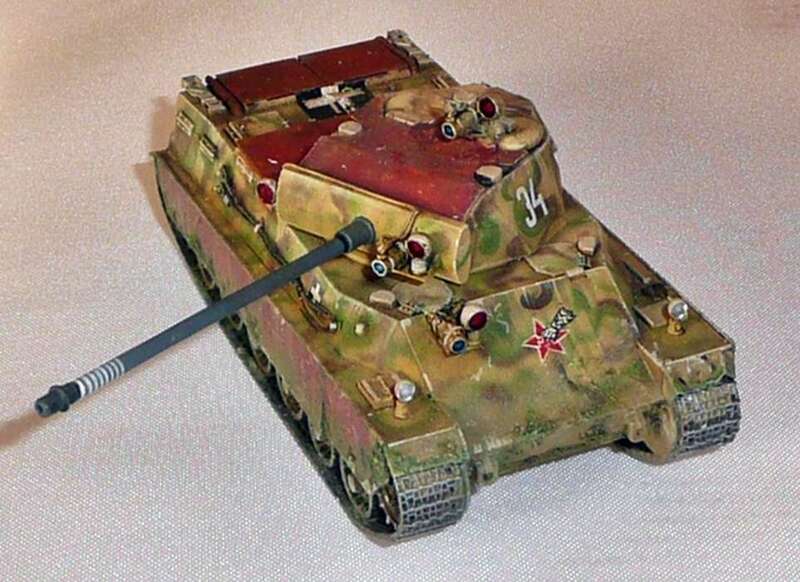 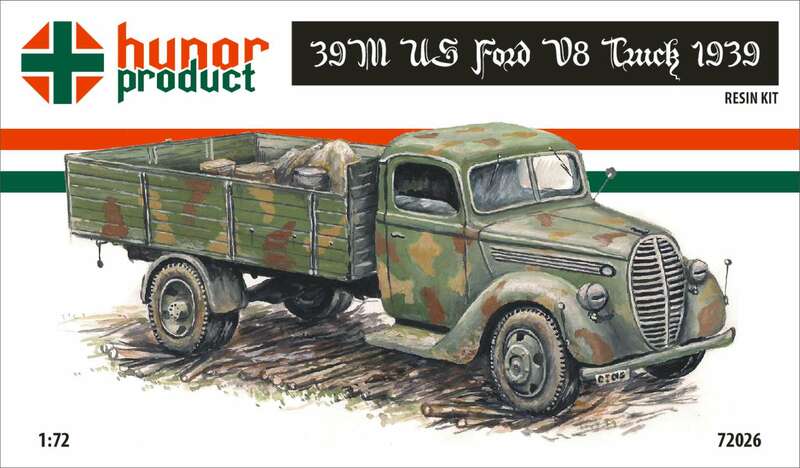 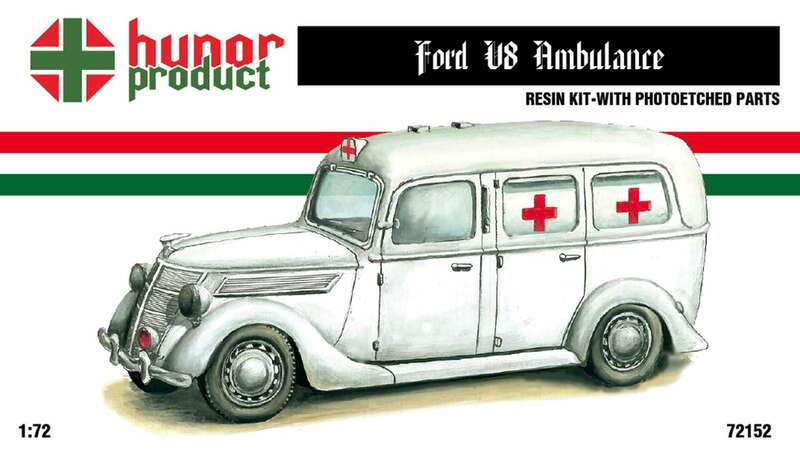 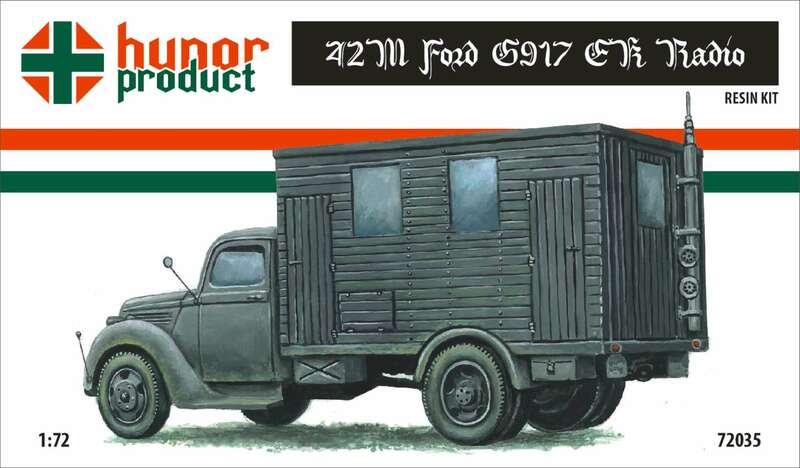 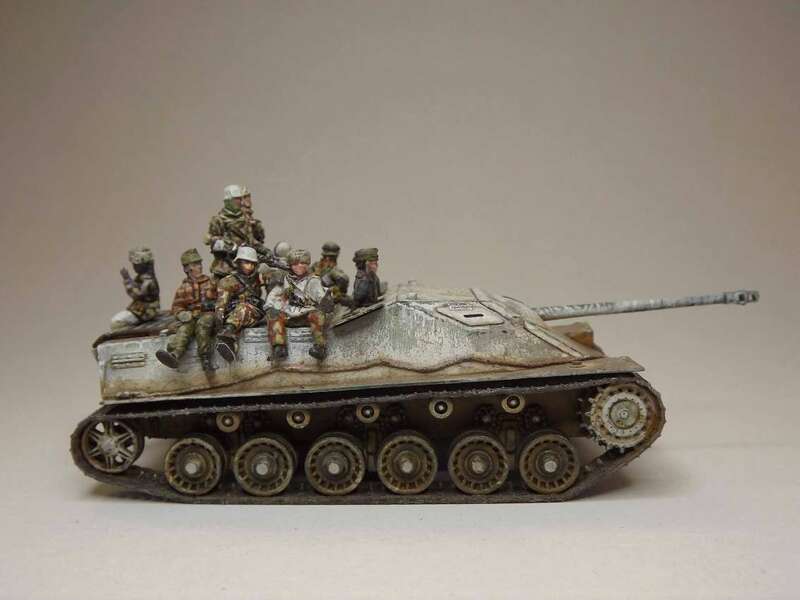 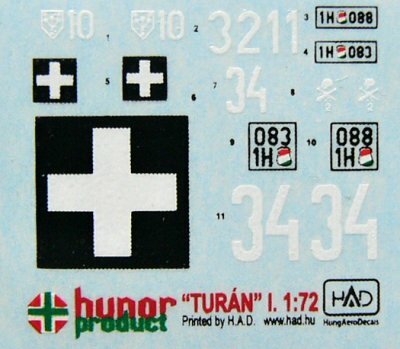 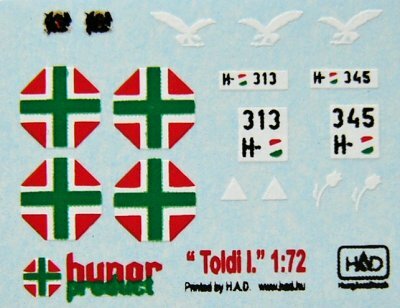 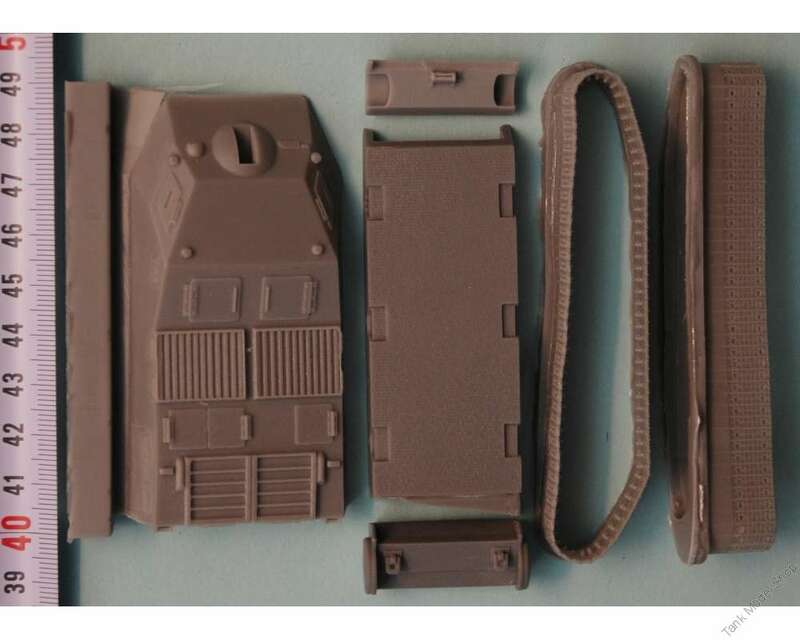 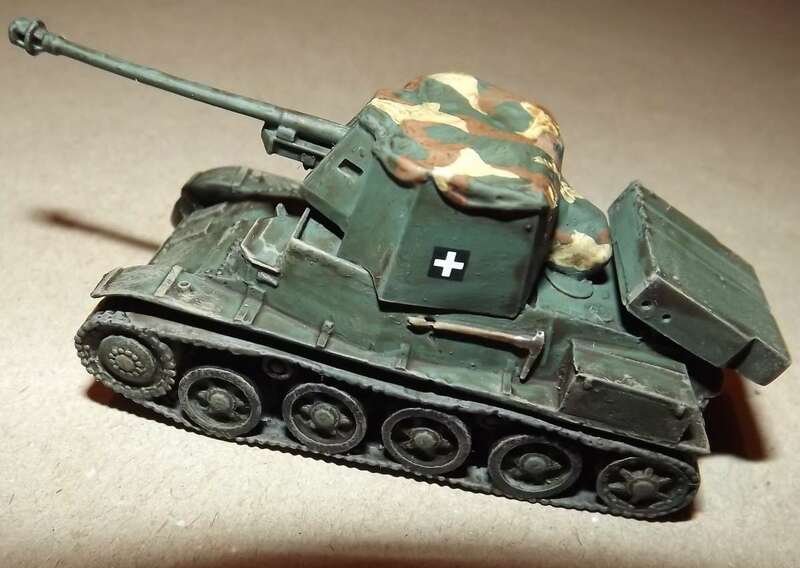 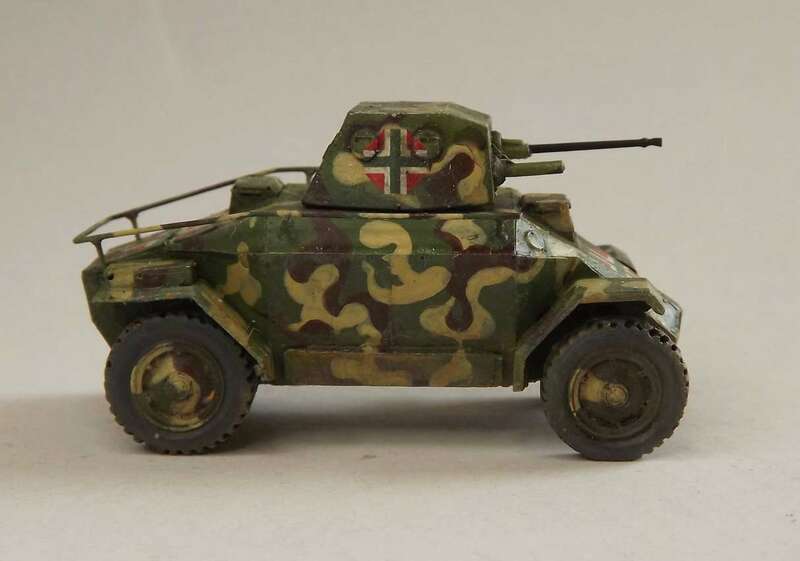 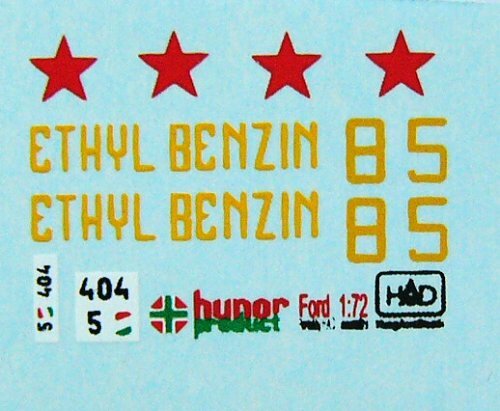 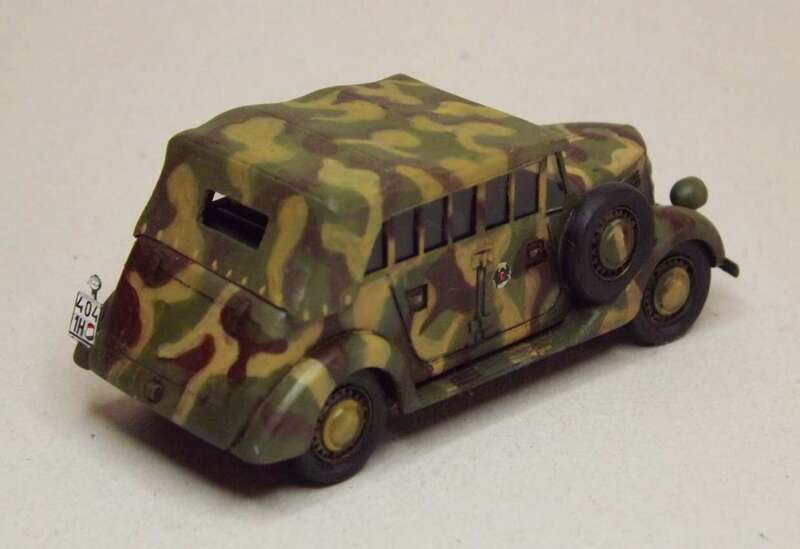 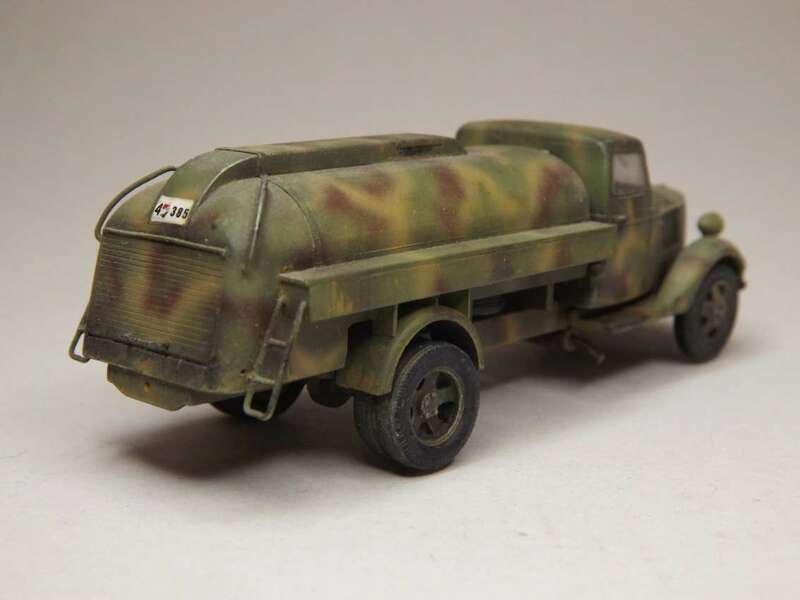 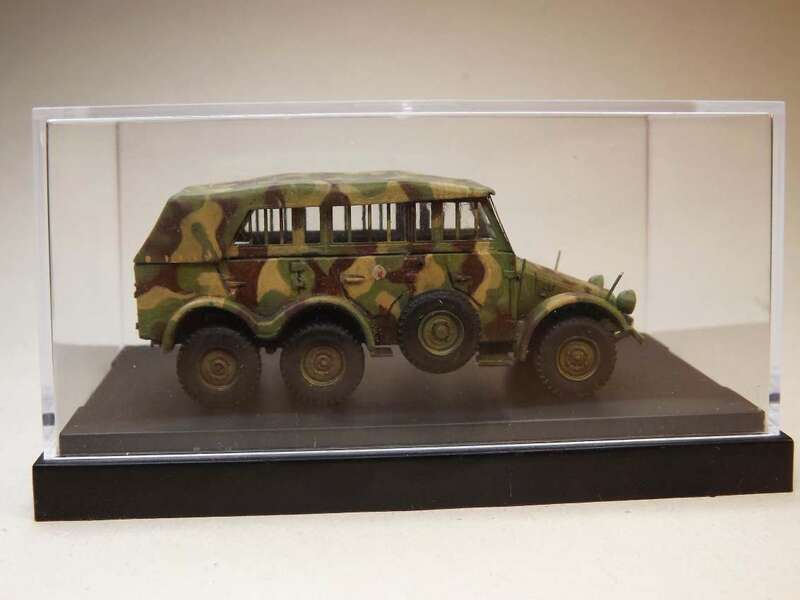 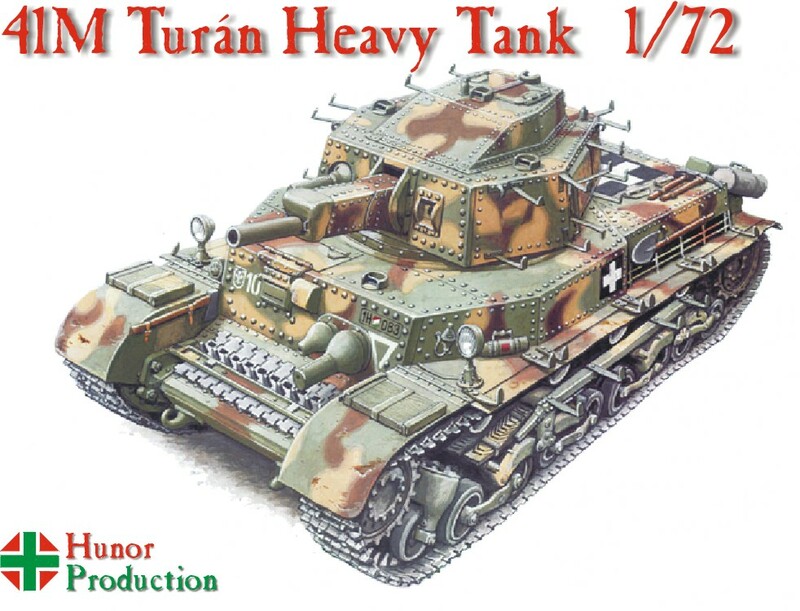 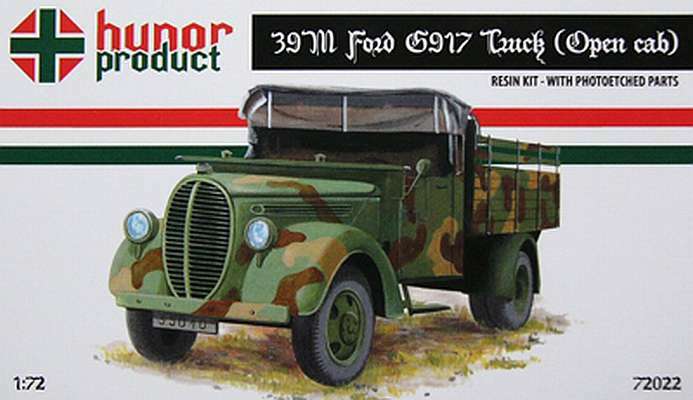 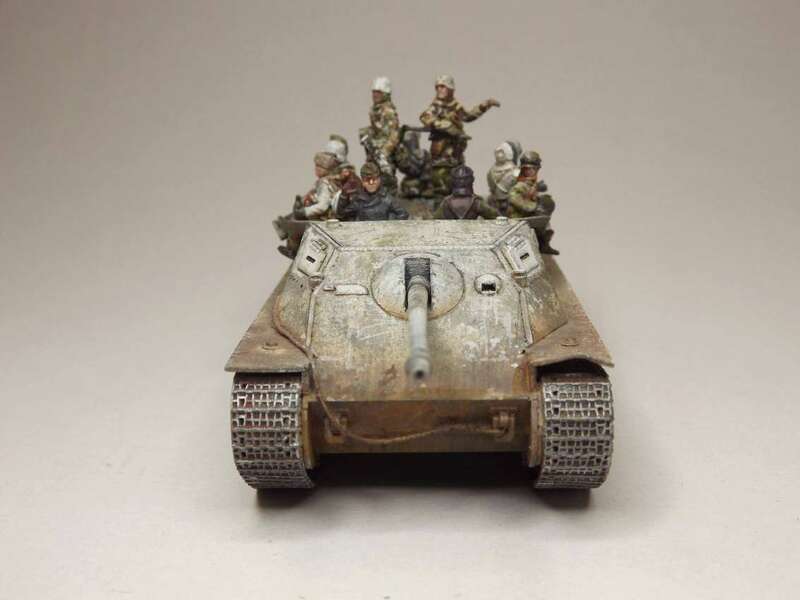 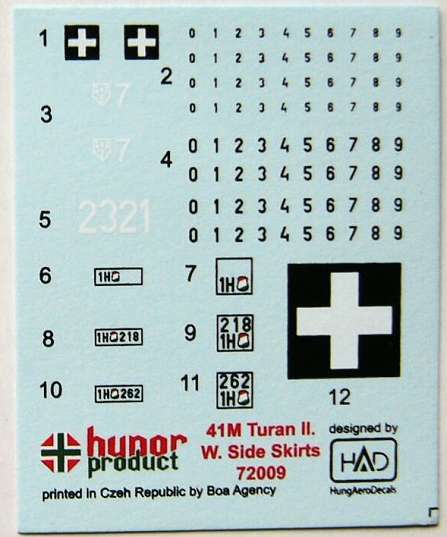 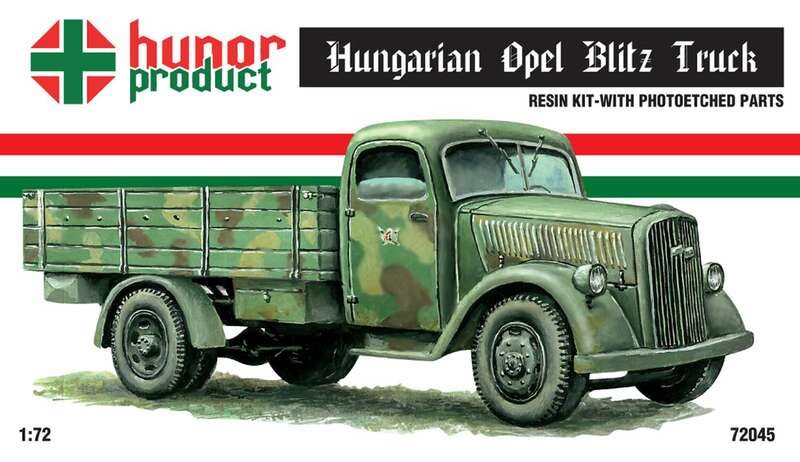 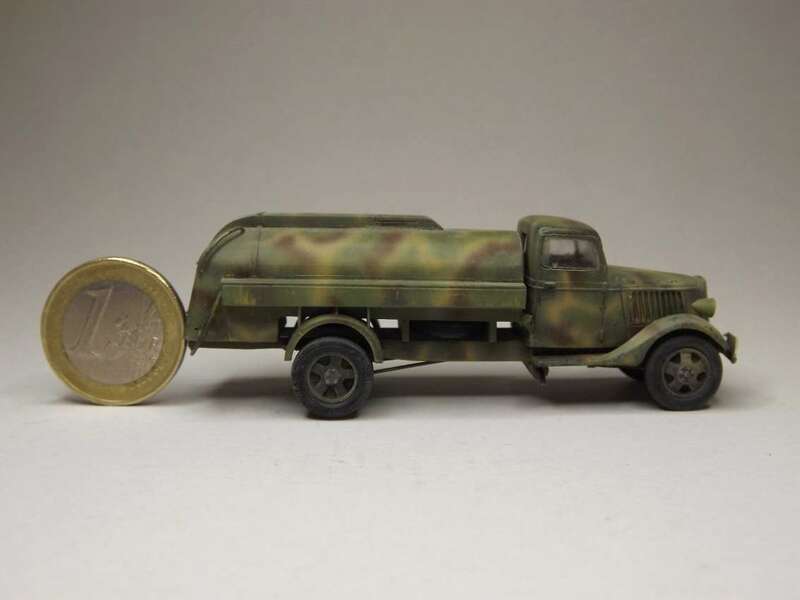 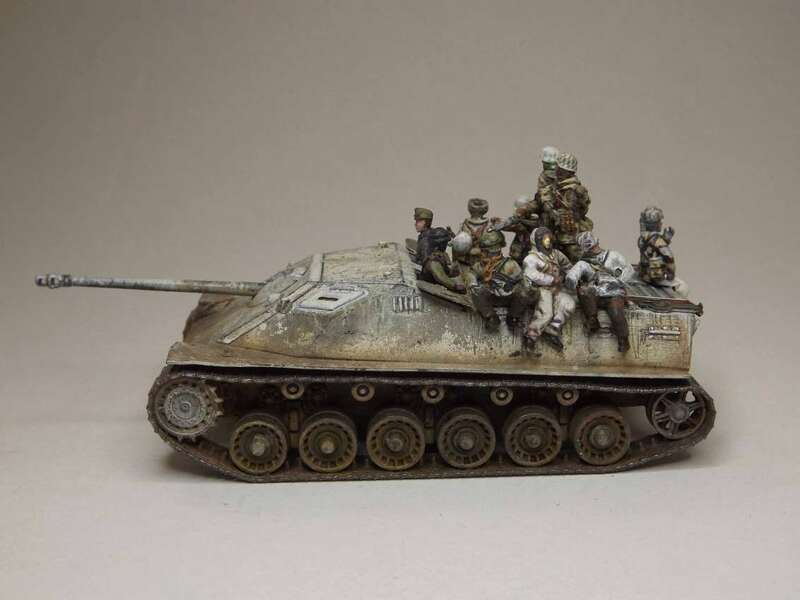 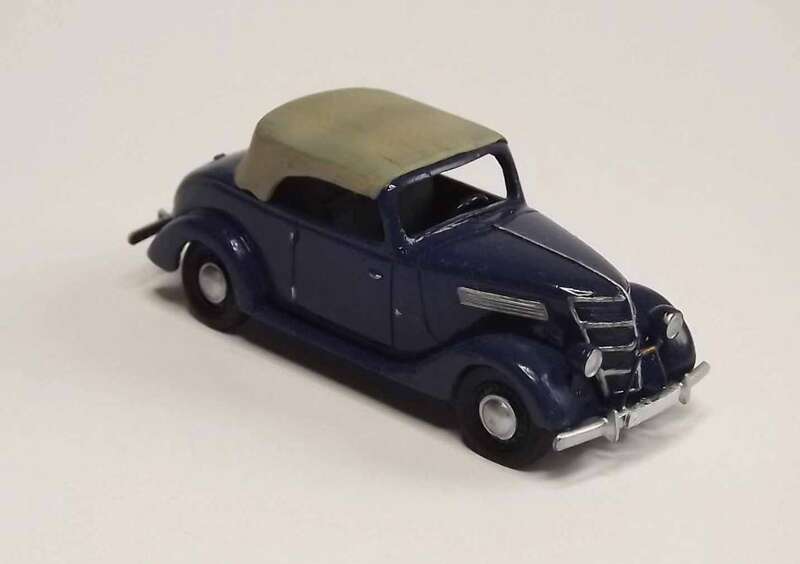 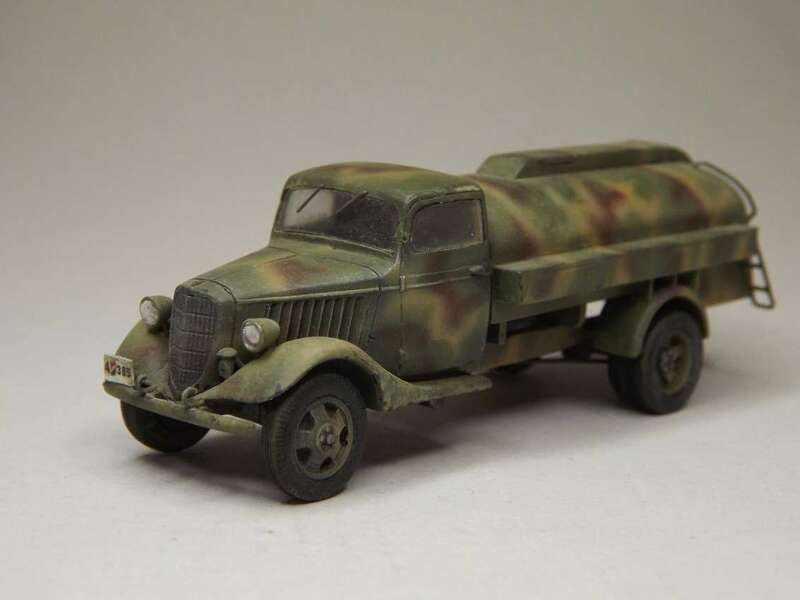 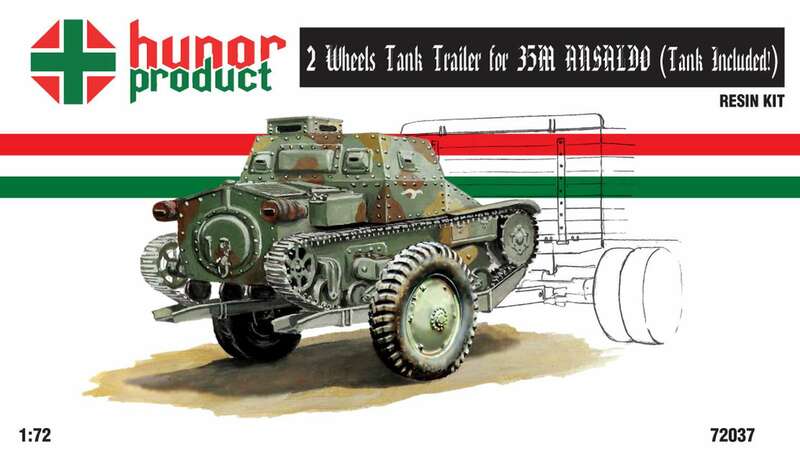 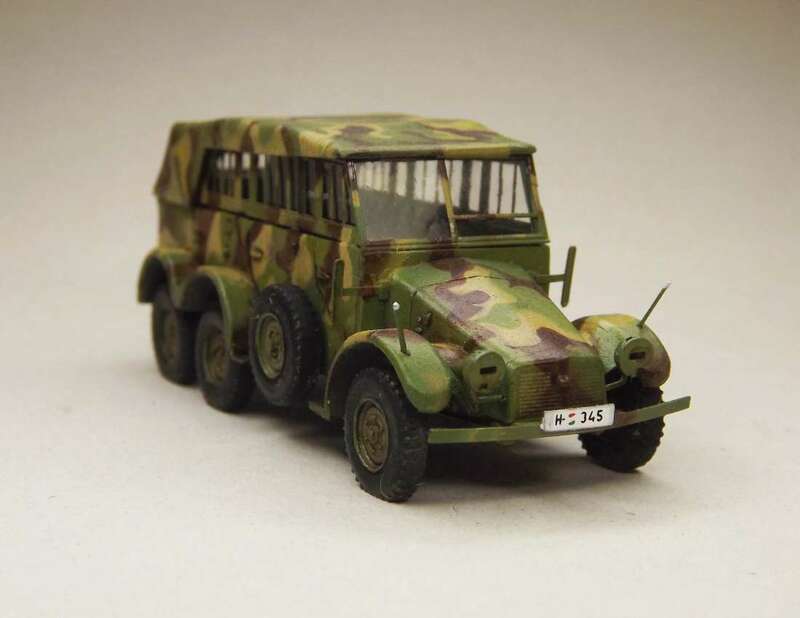 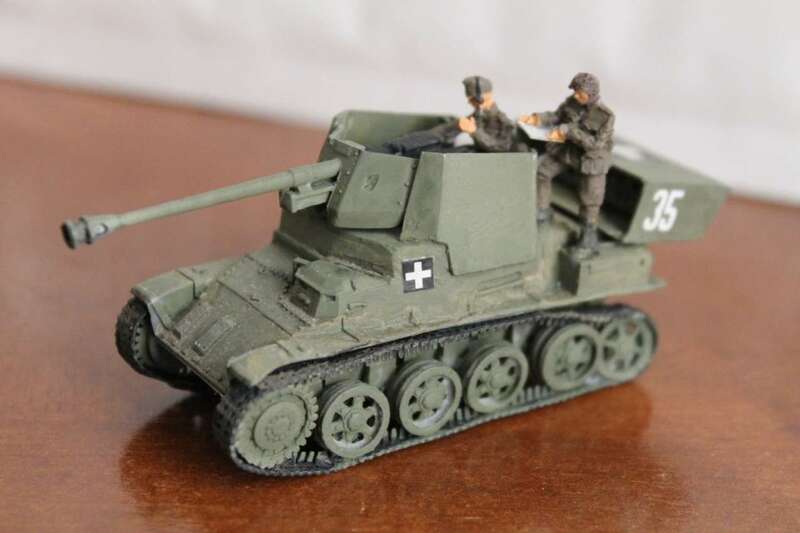 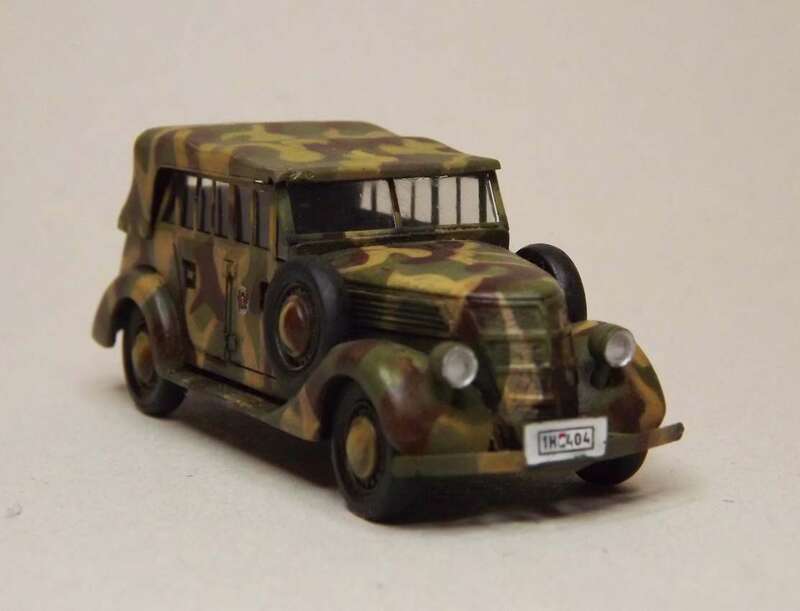 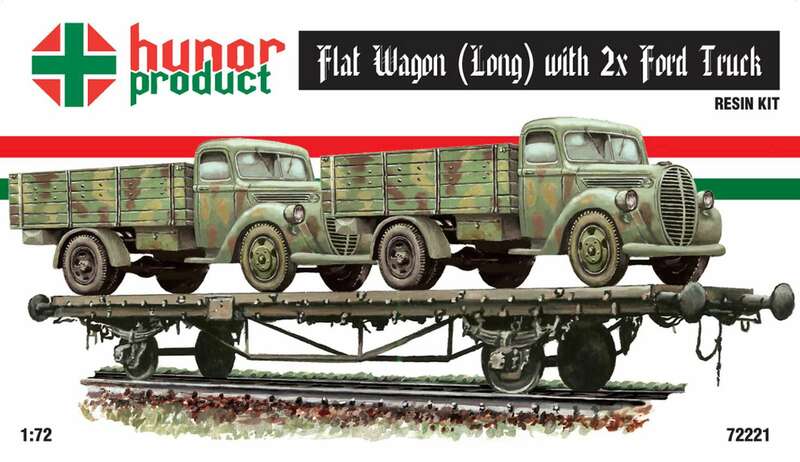 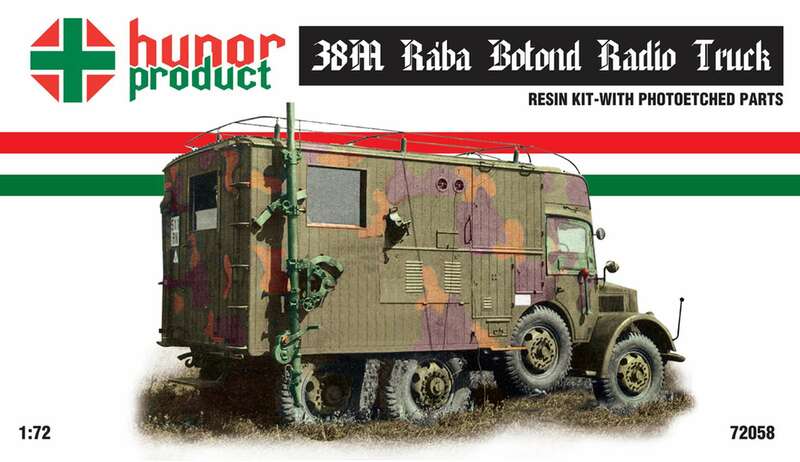 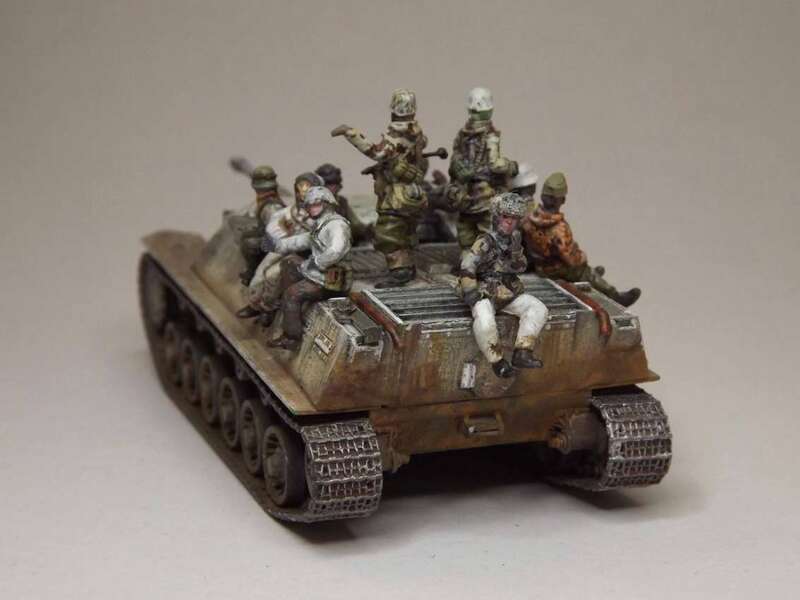 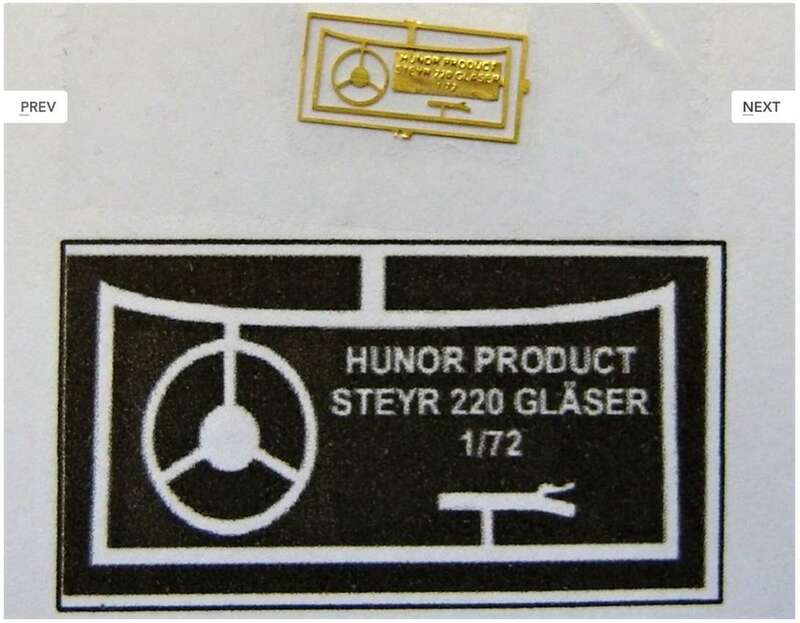 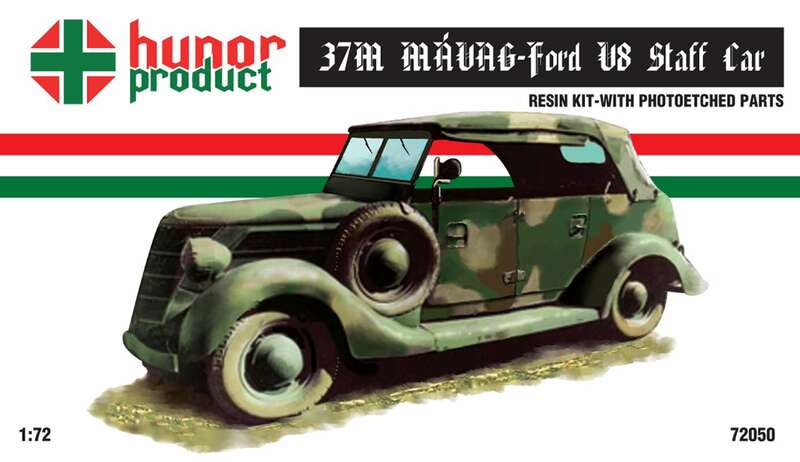 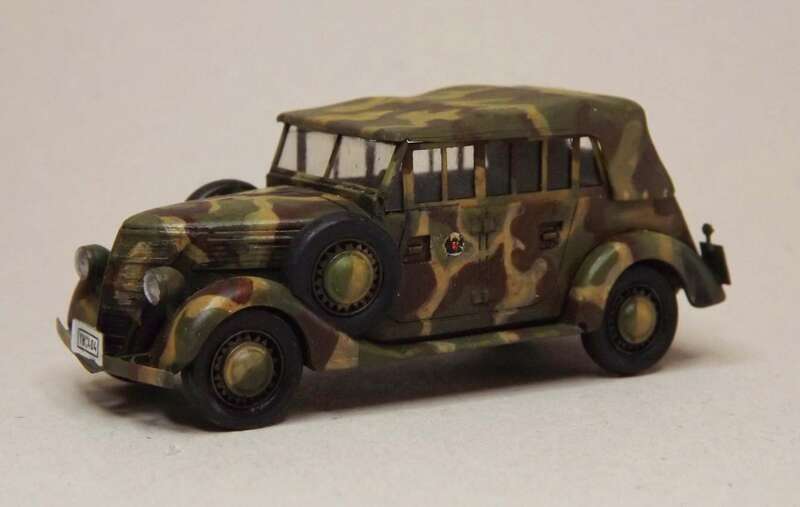 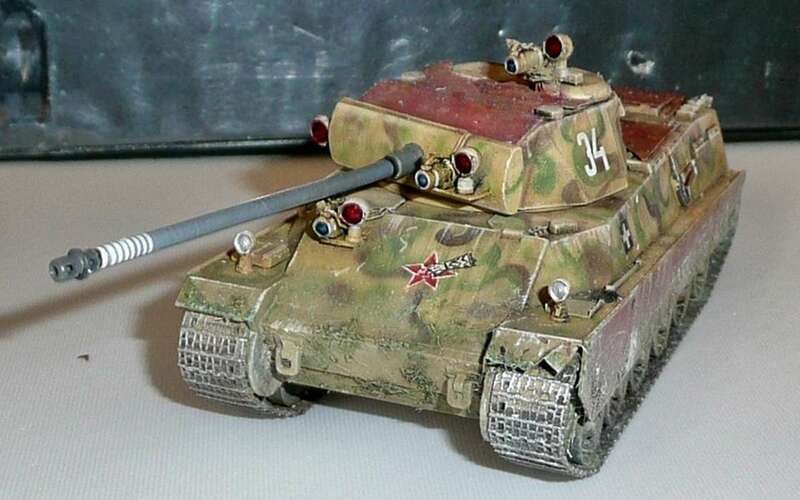 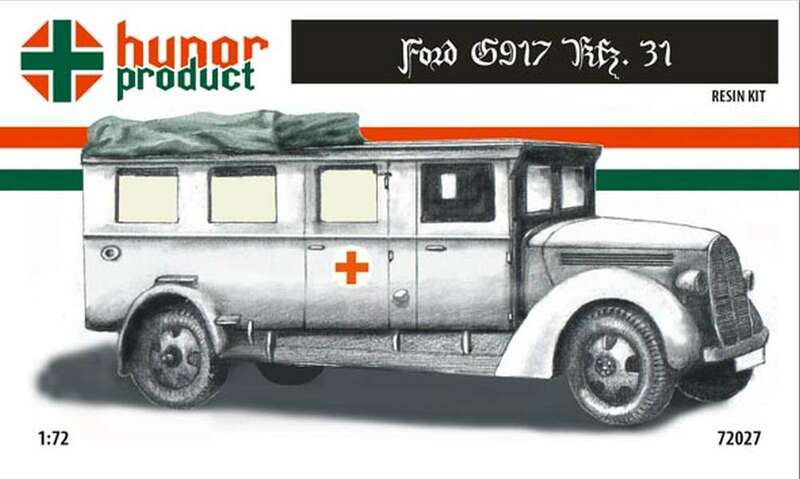 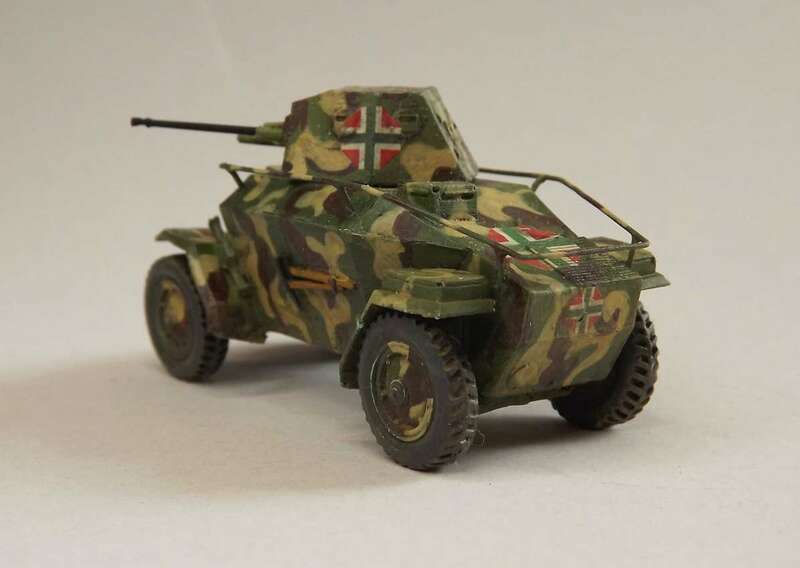 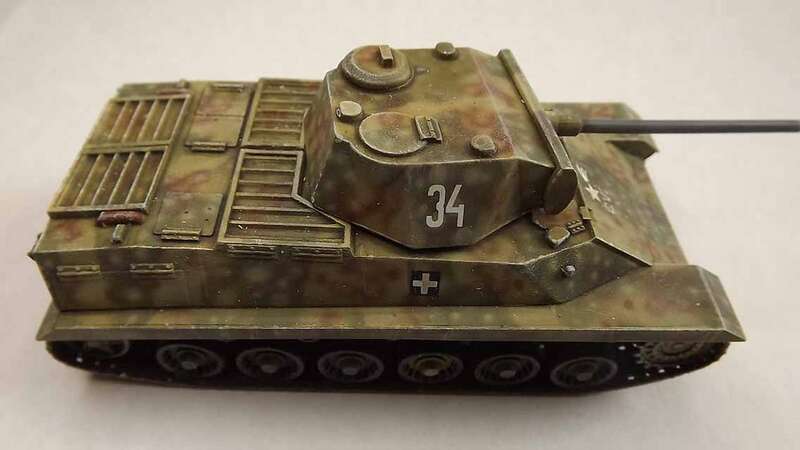 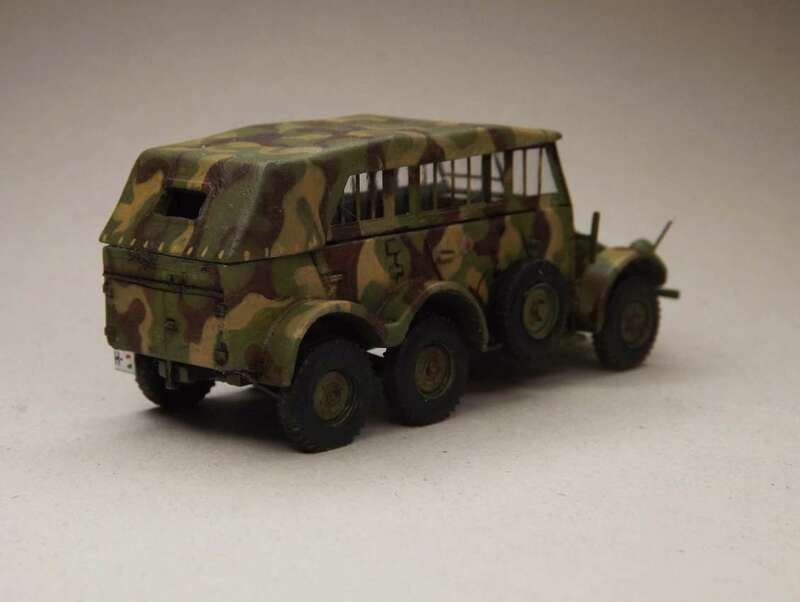 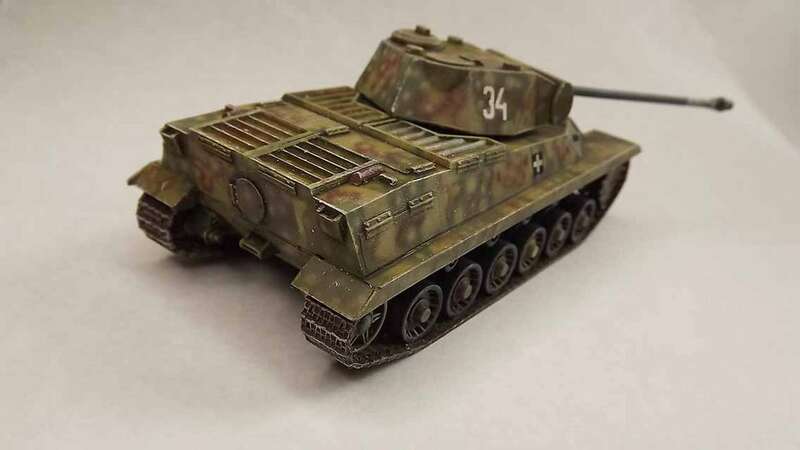 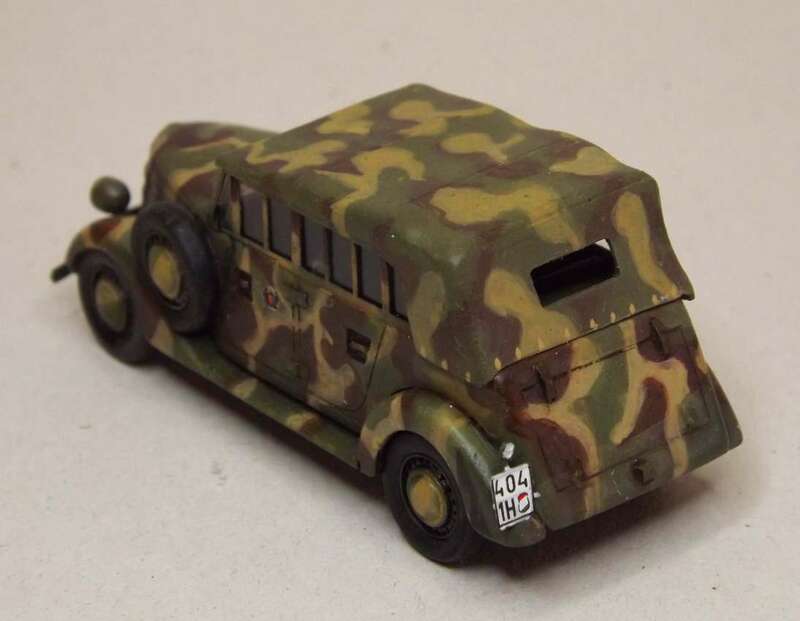 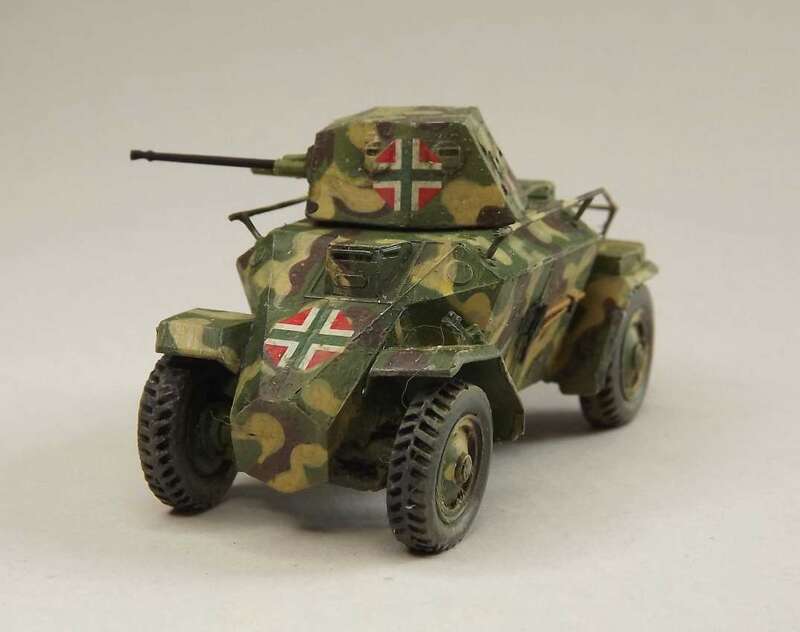 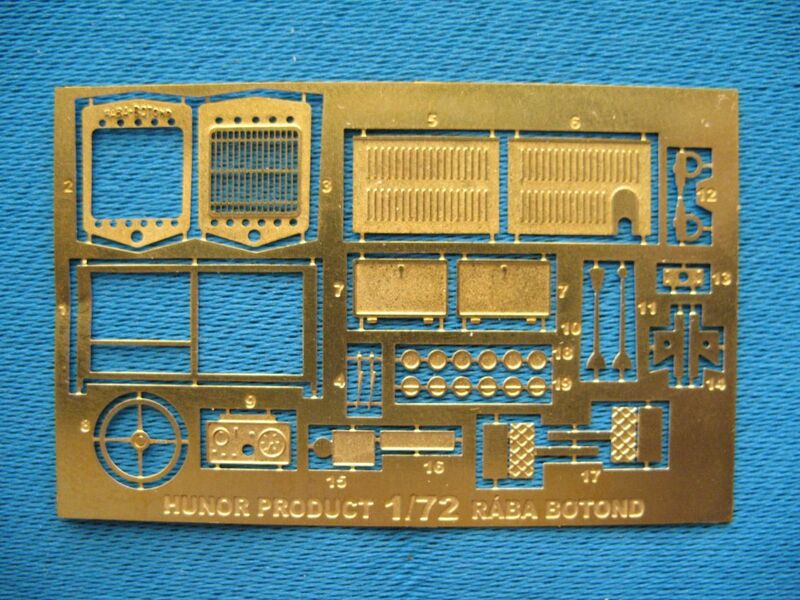 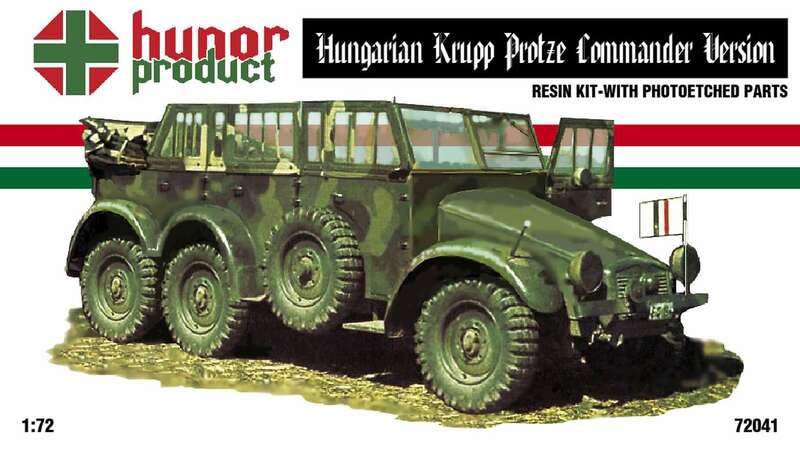 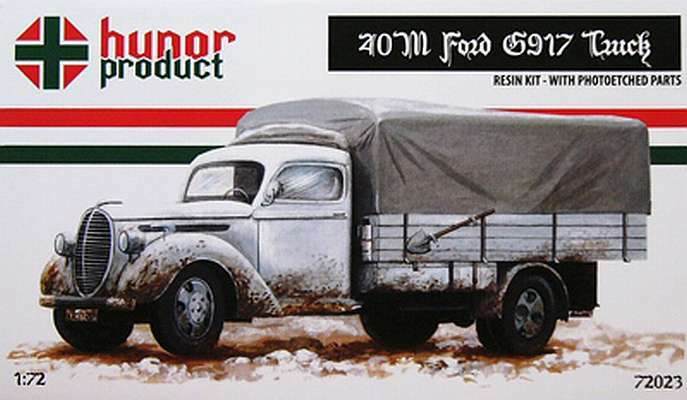 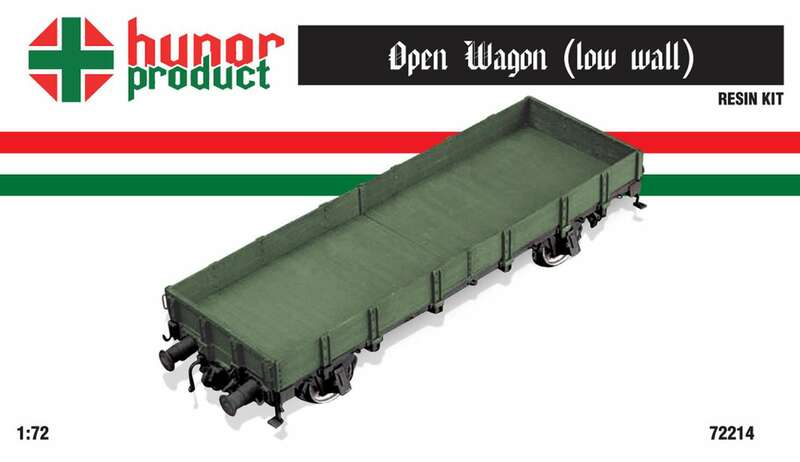 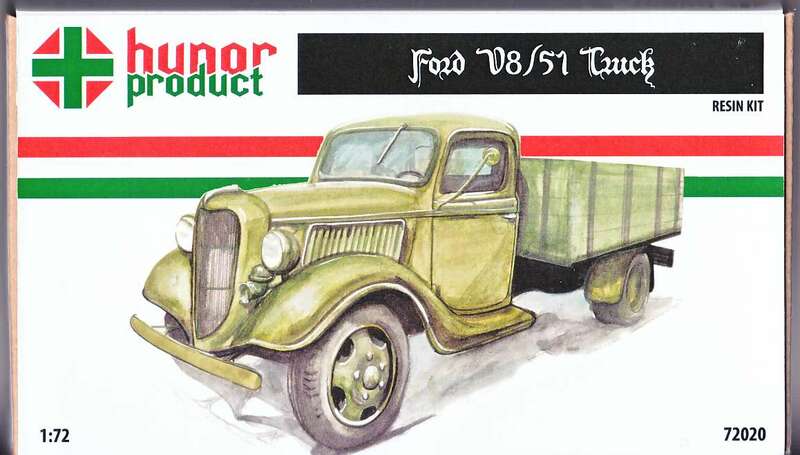 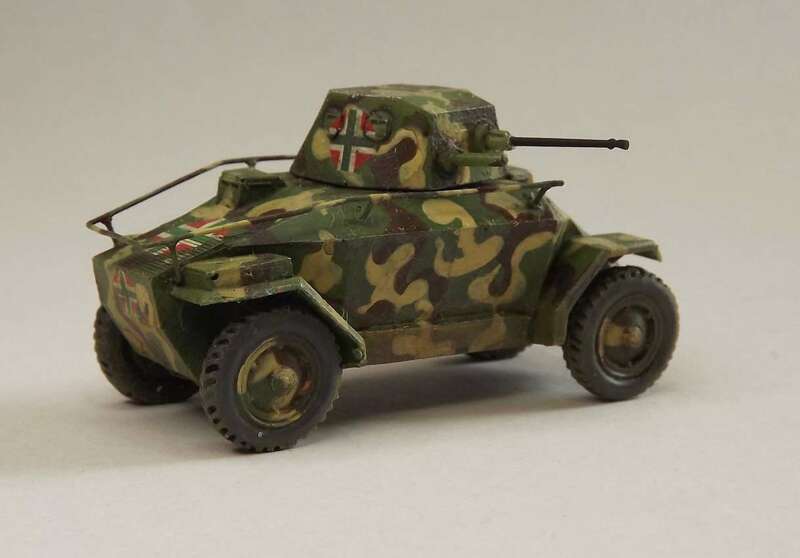 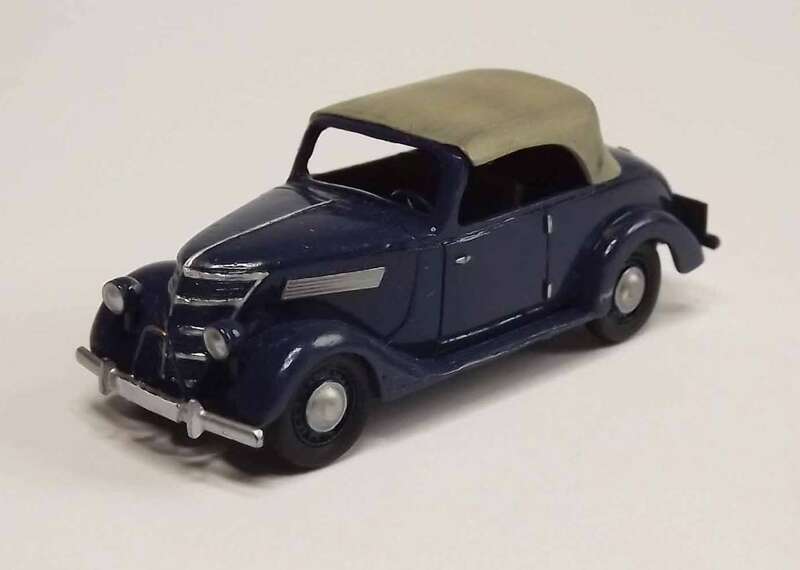 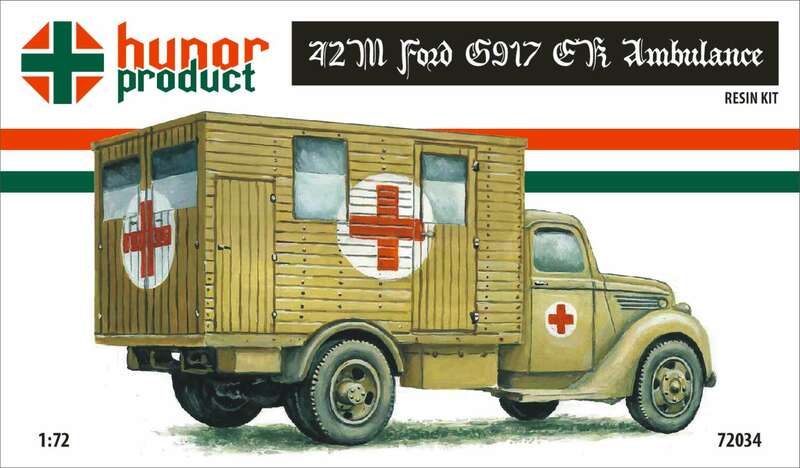 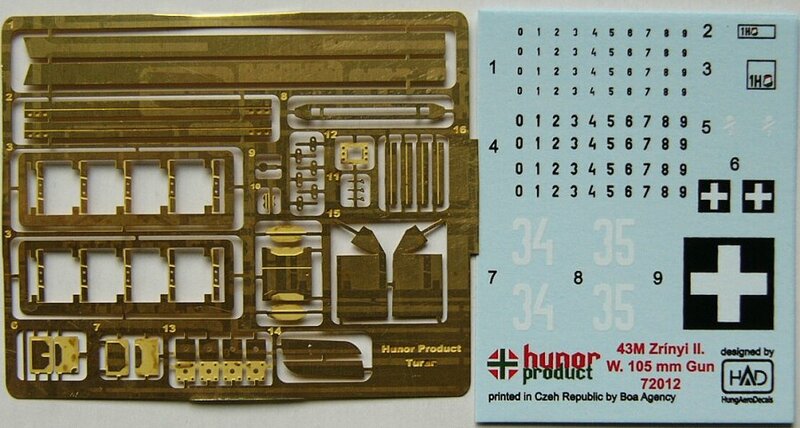 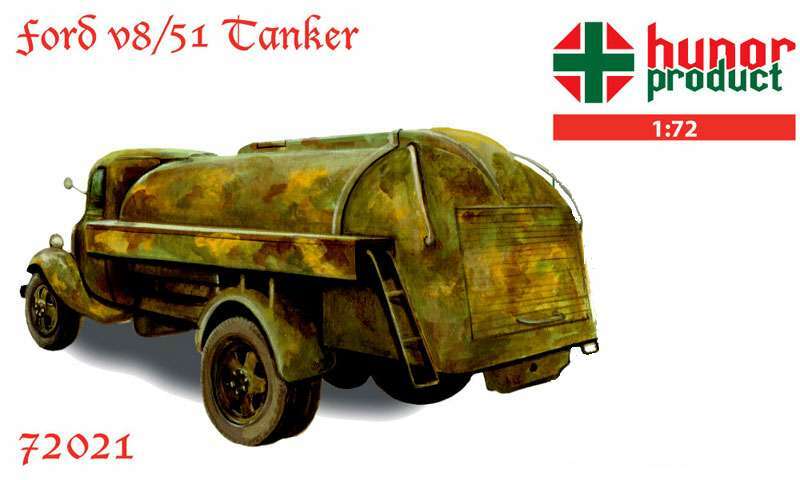 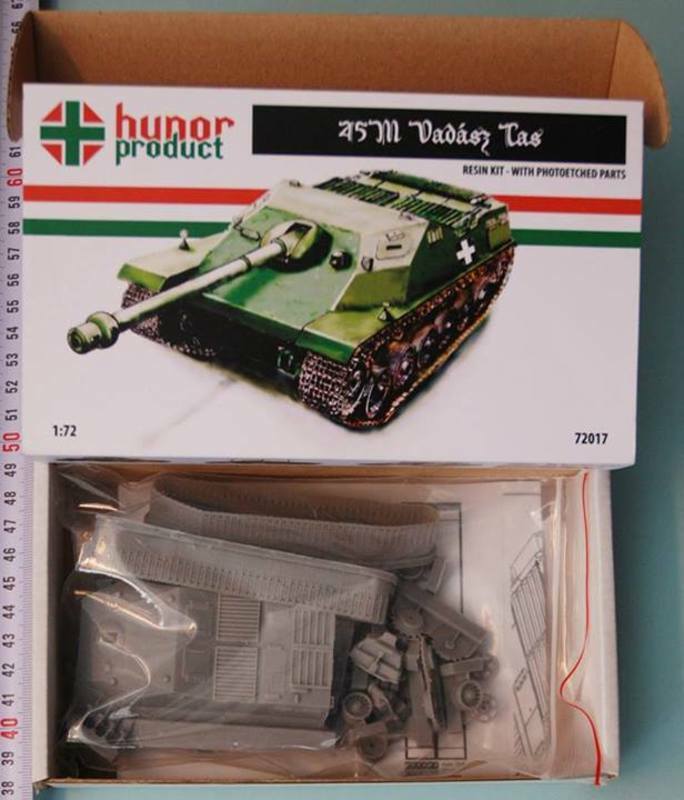 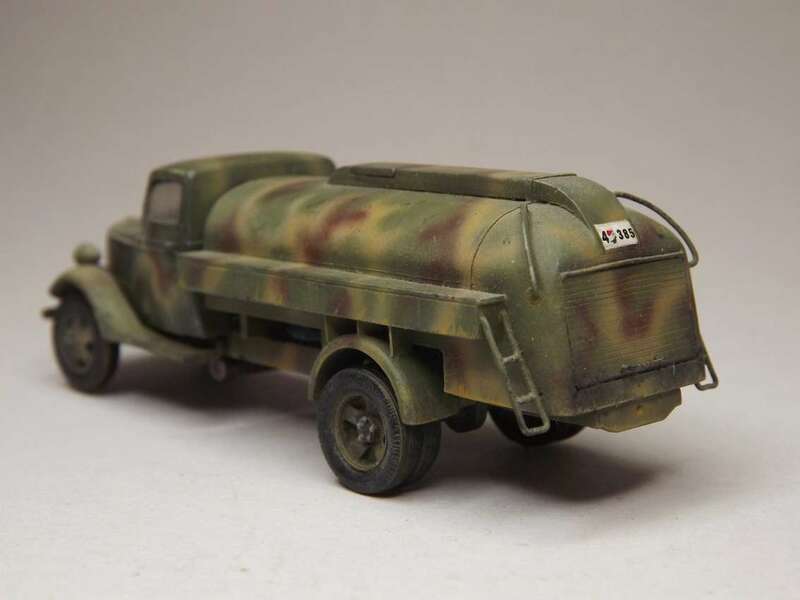 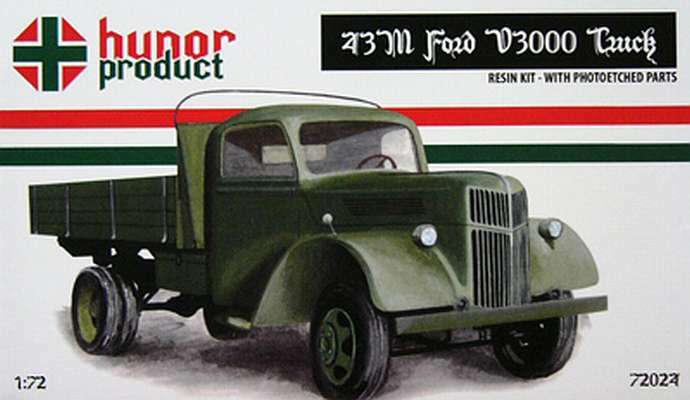 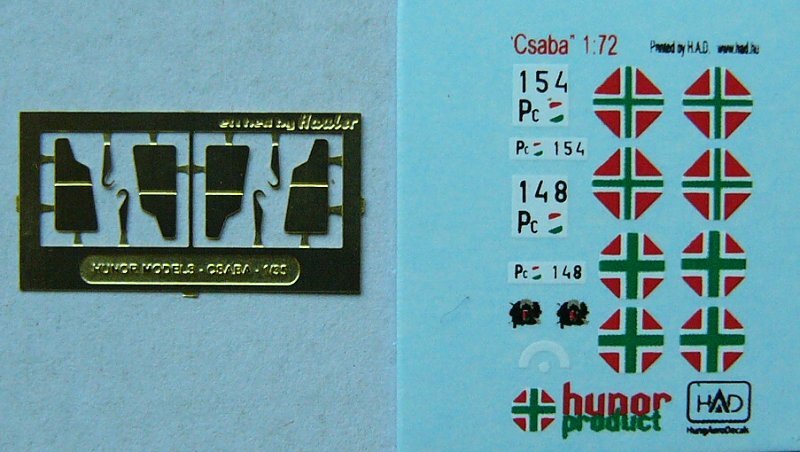 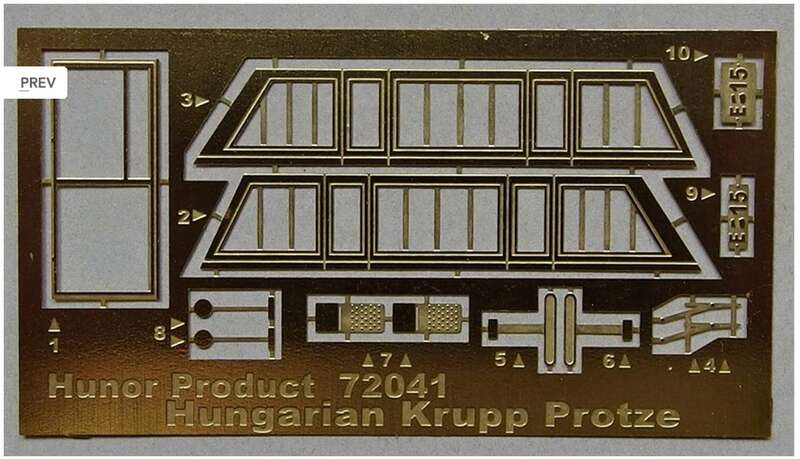 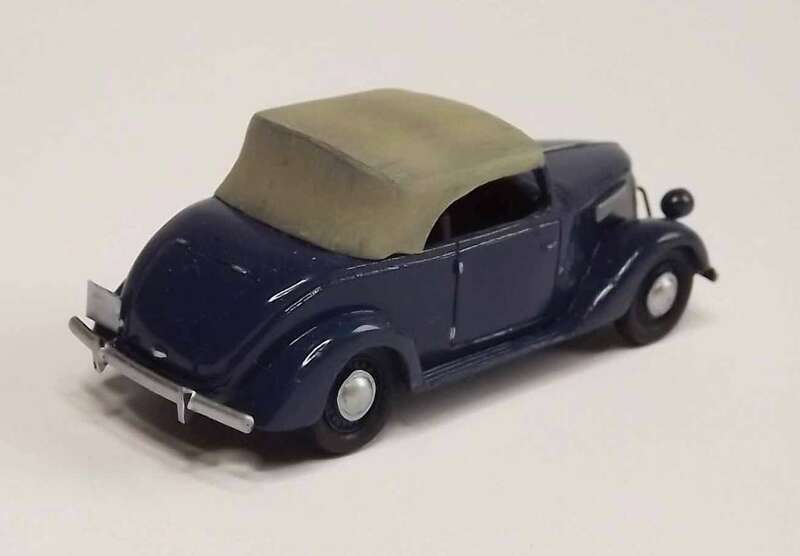 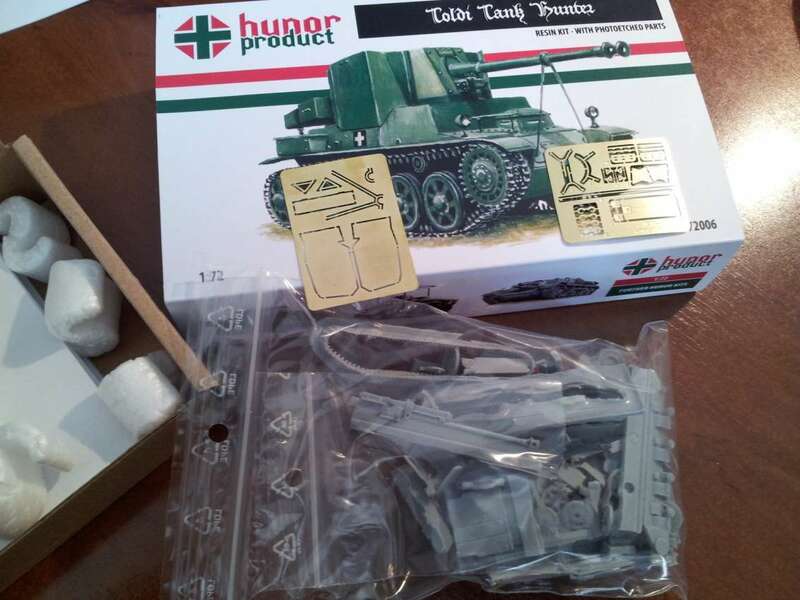 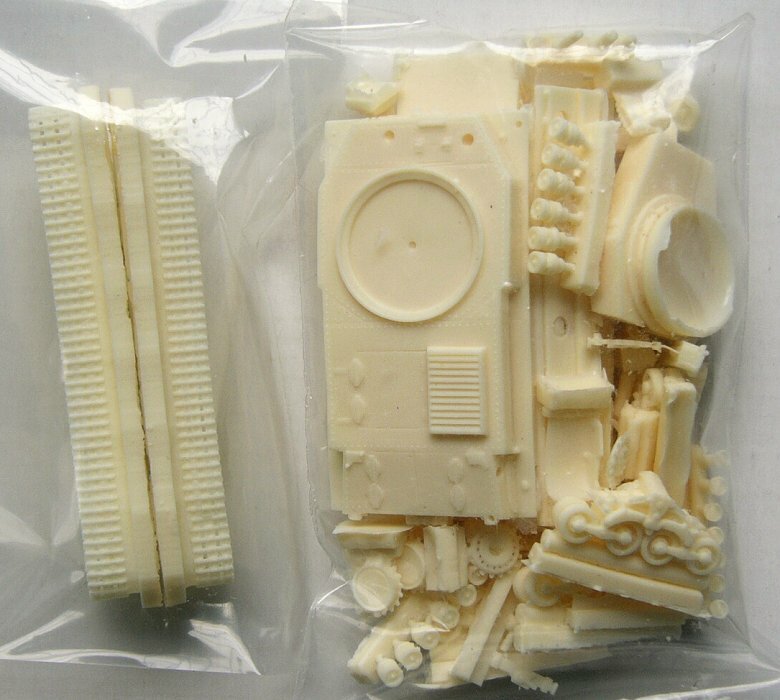 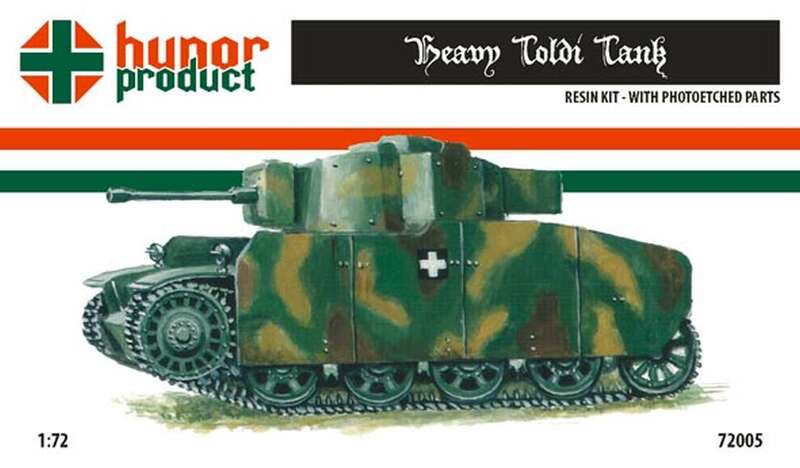 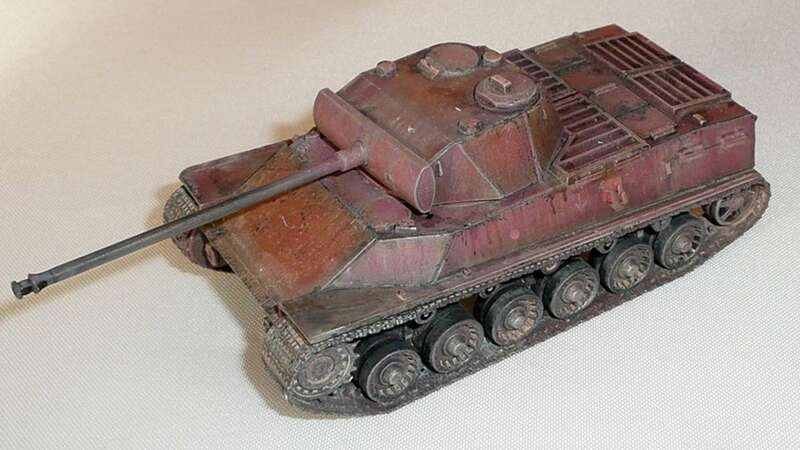 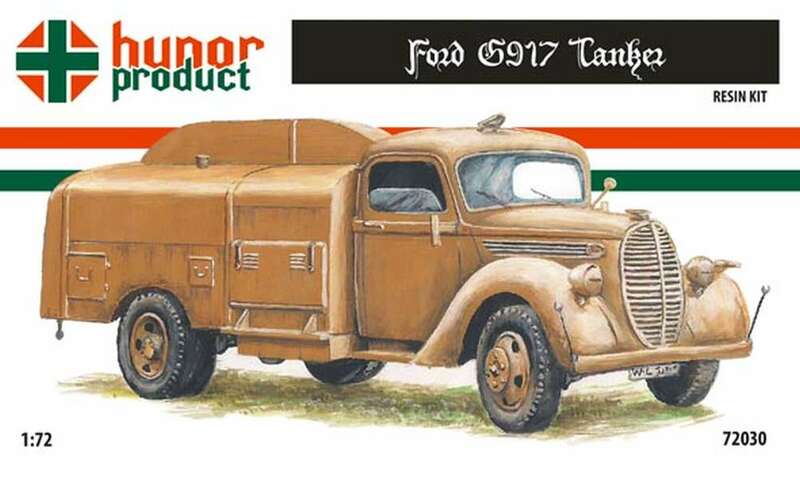 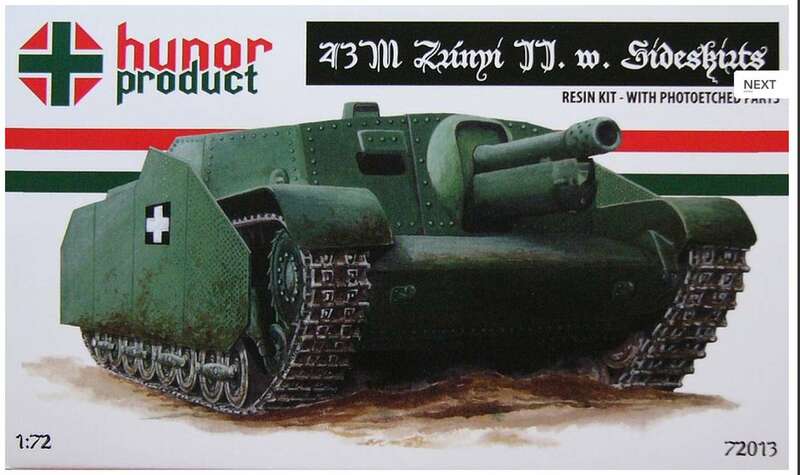 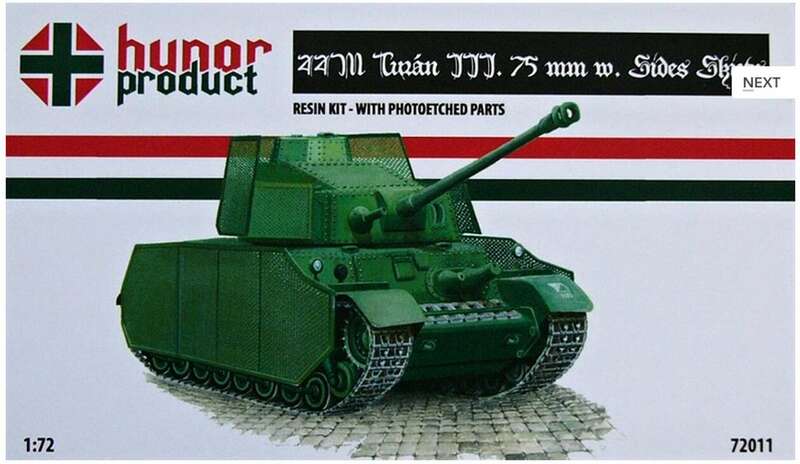 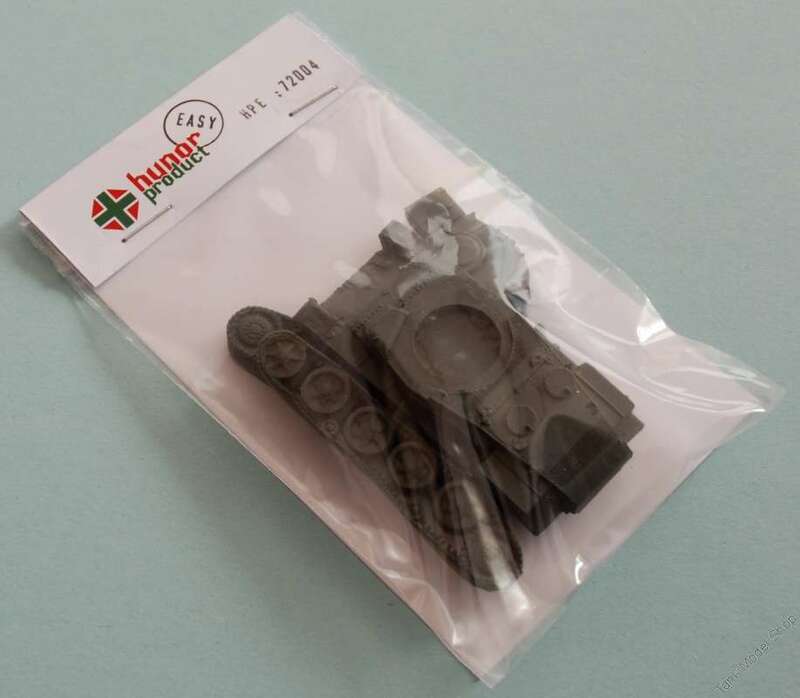 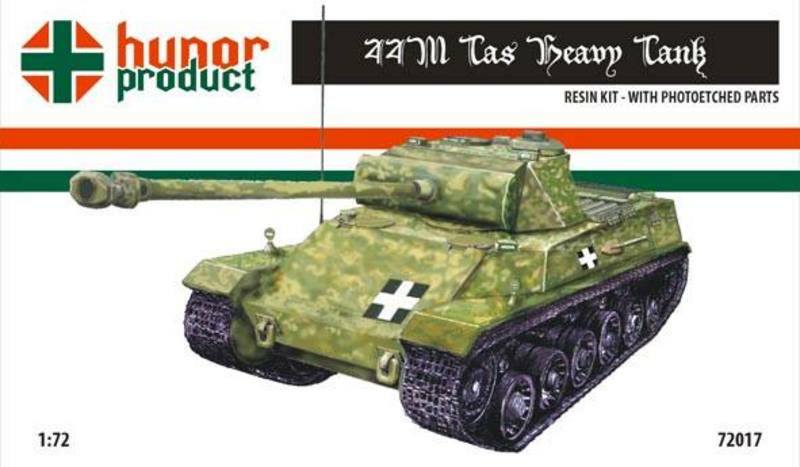 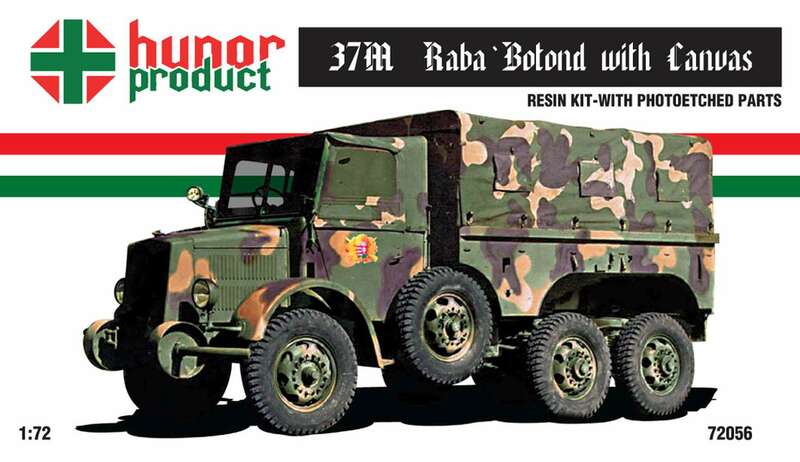 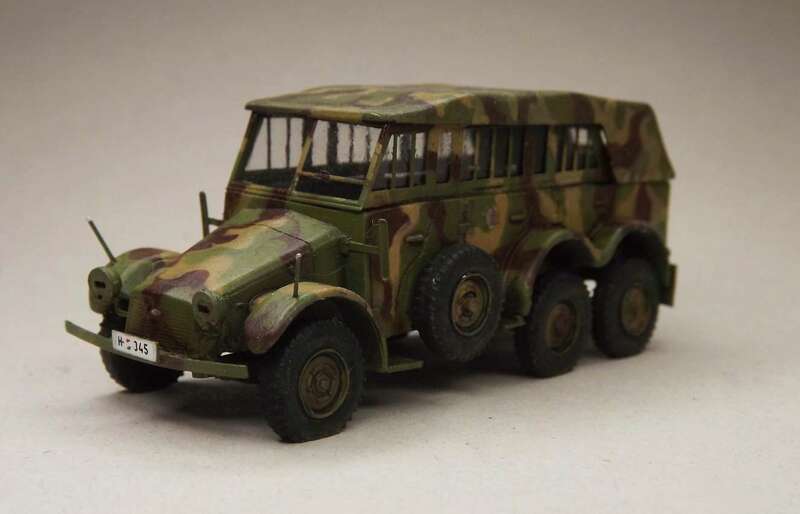 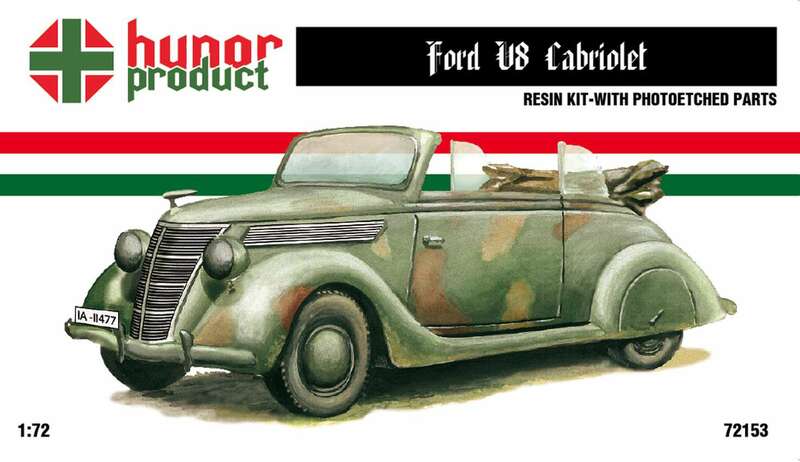 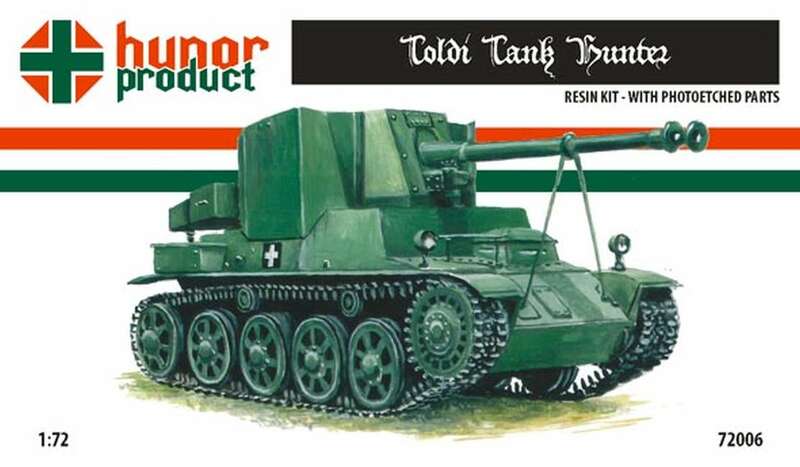 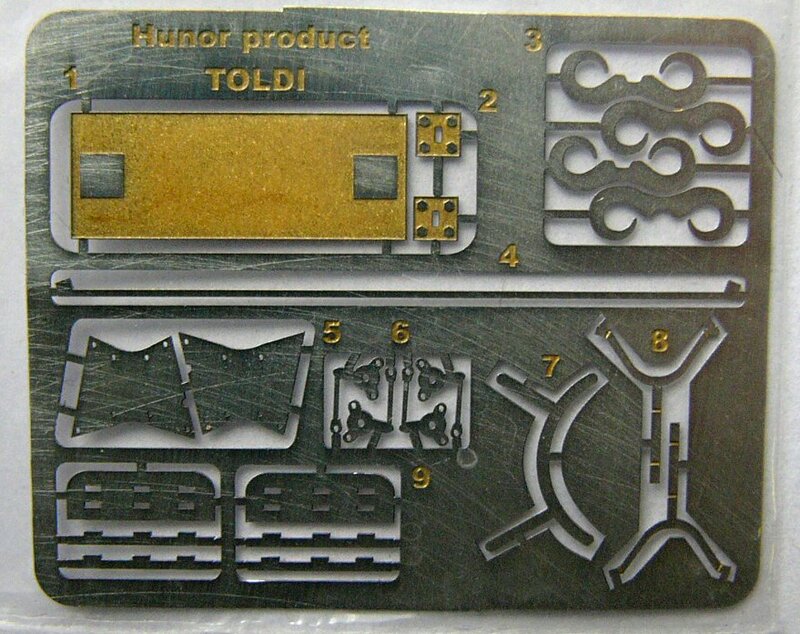 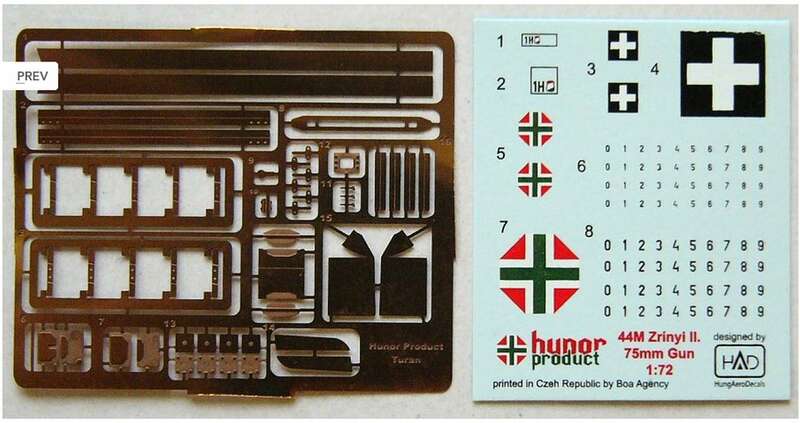 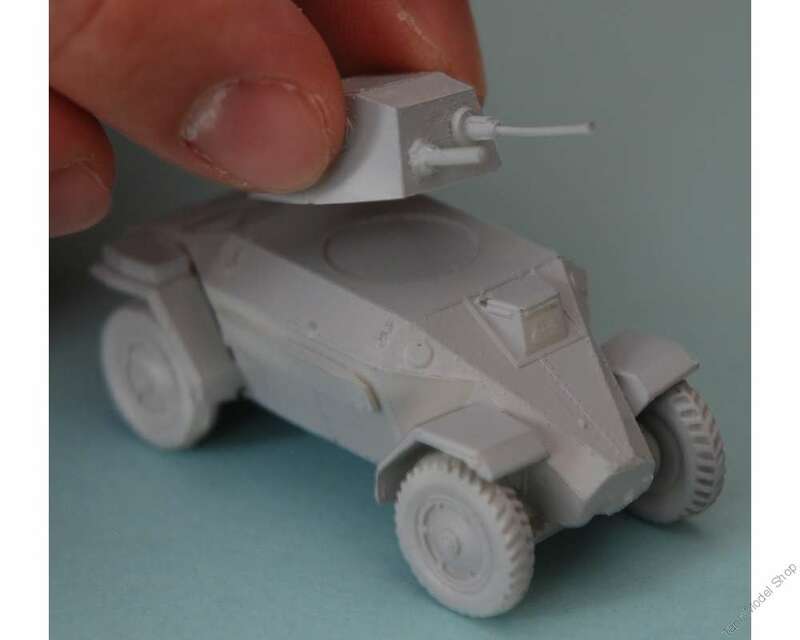 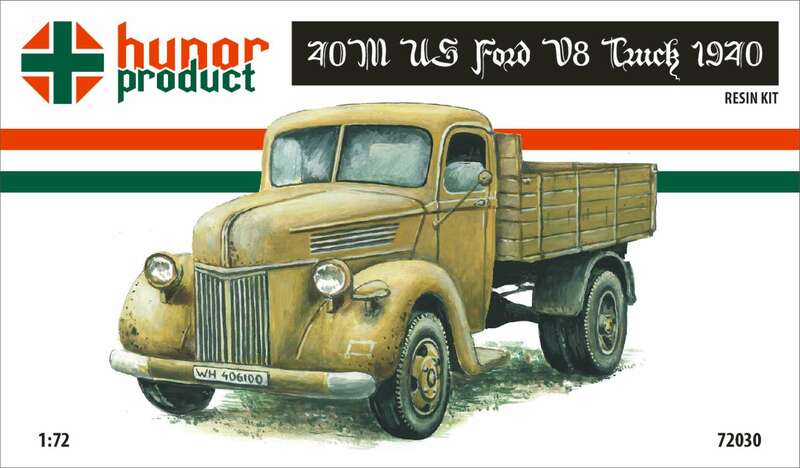 1/72 "HUNOR Product", from Hungary. 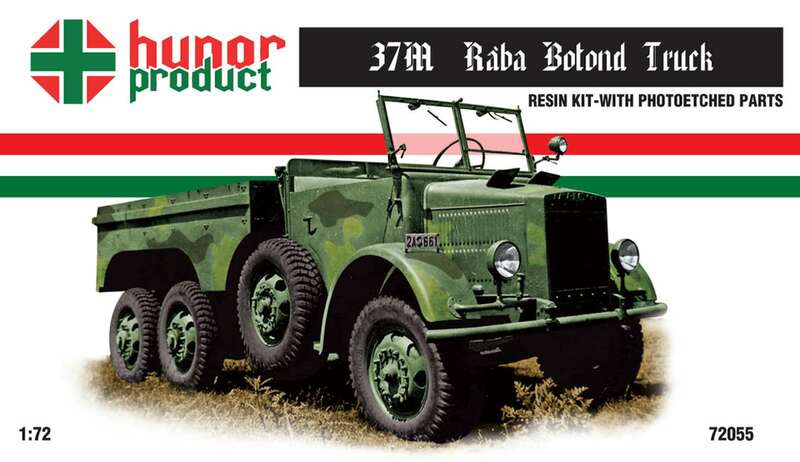 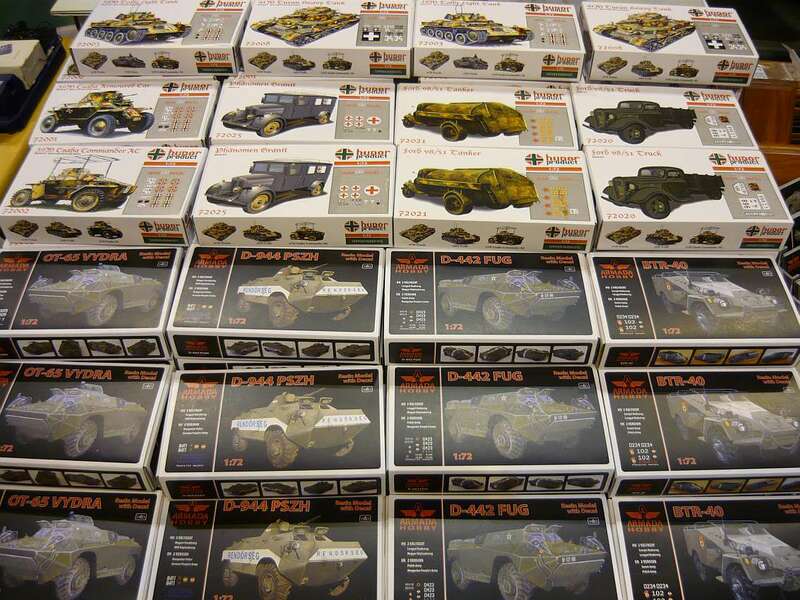 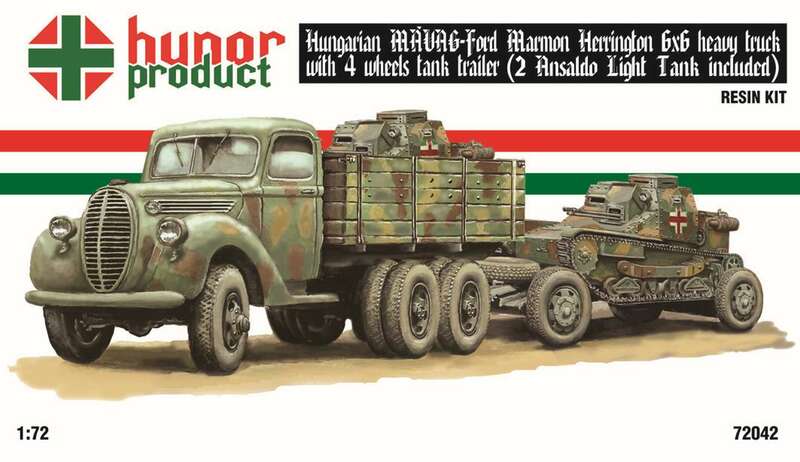 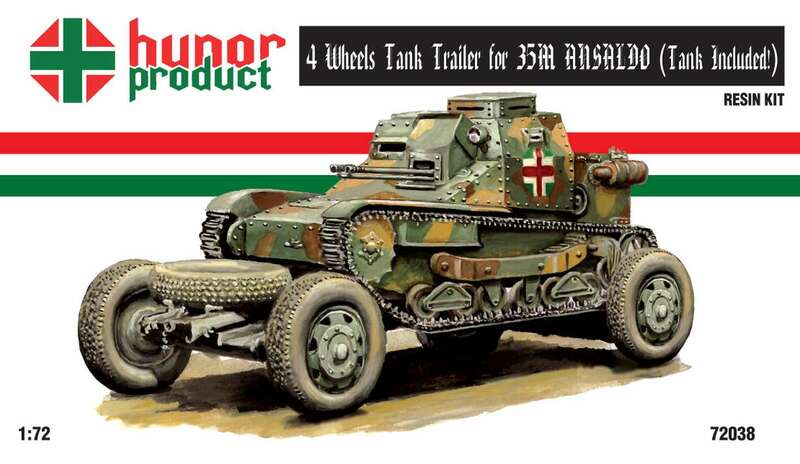 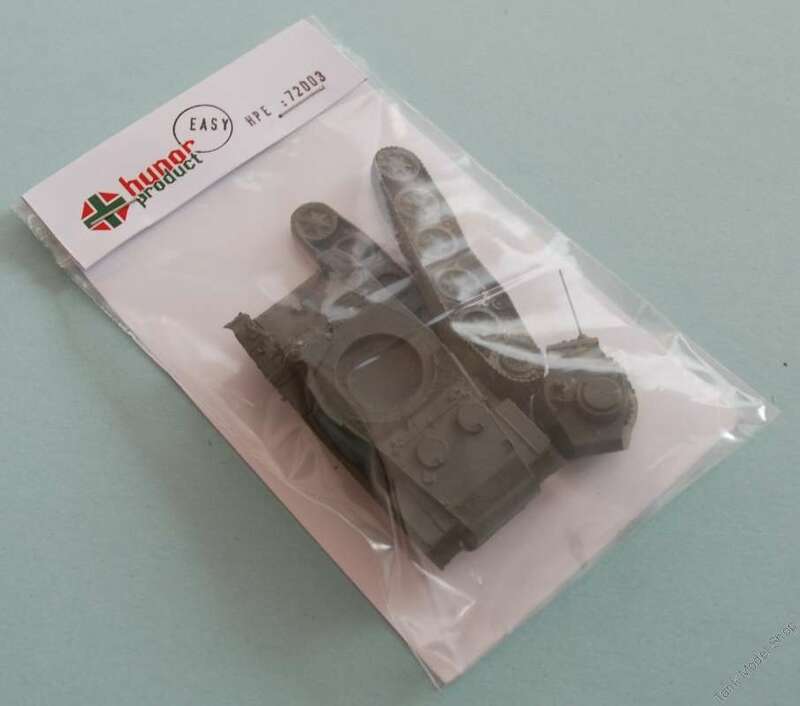 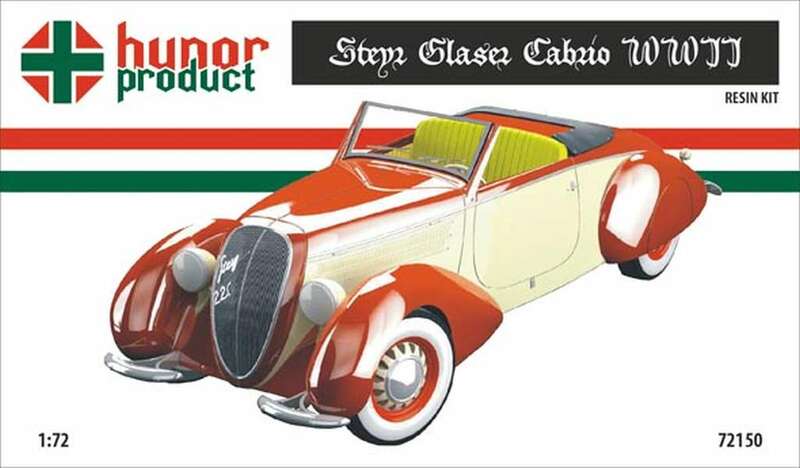 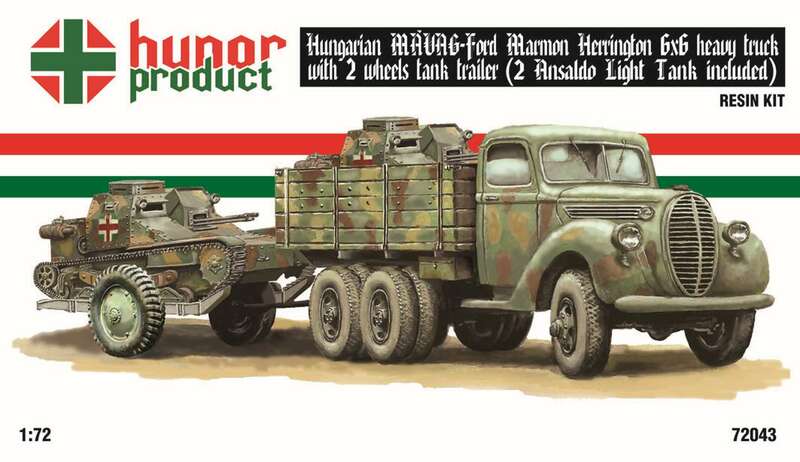 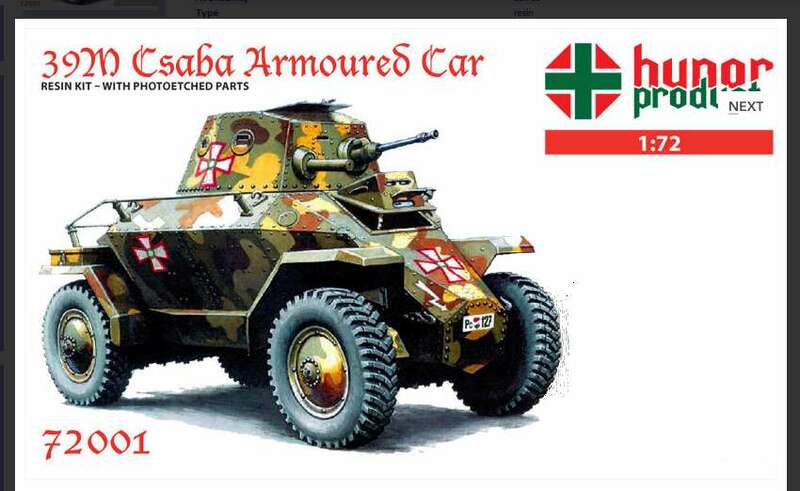 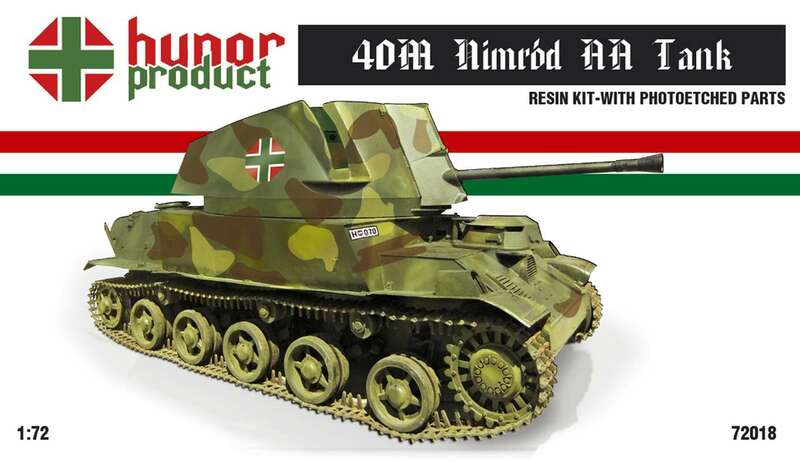 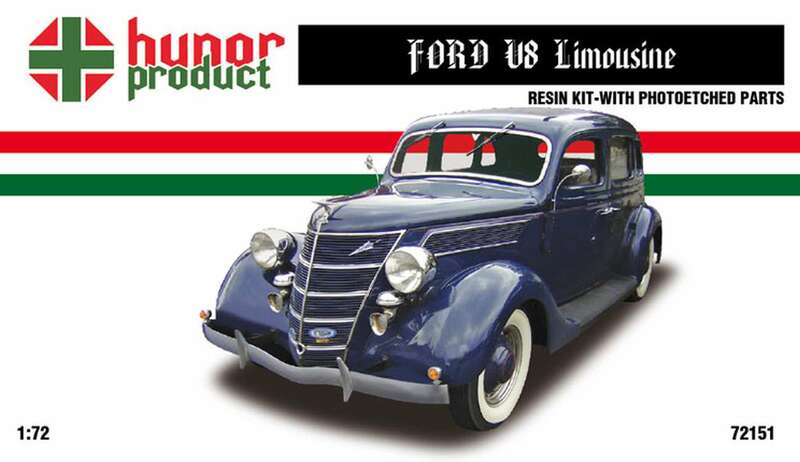 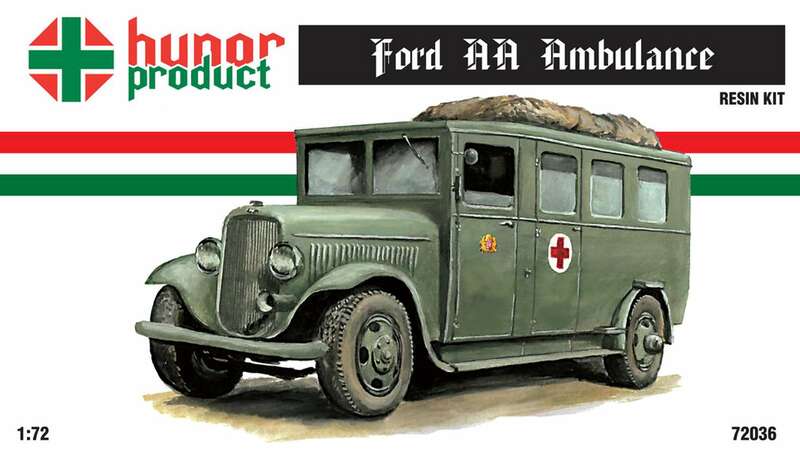 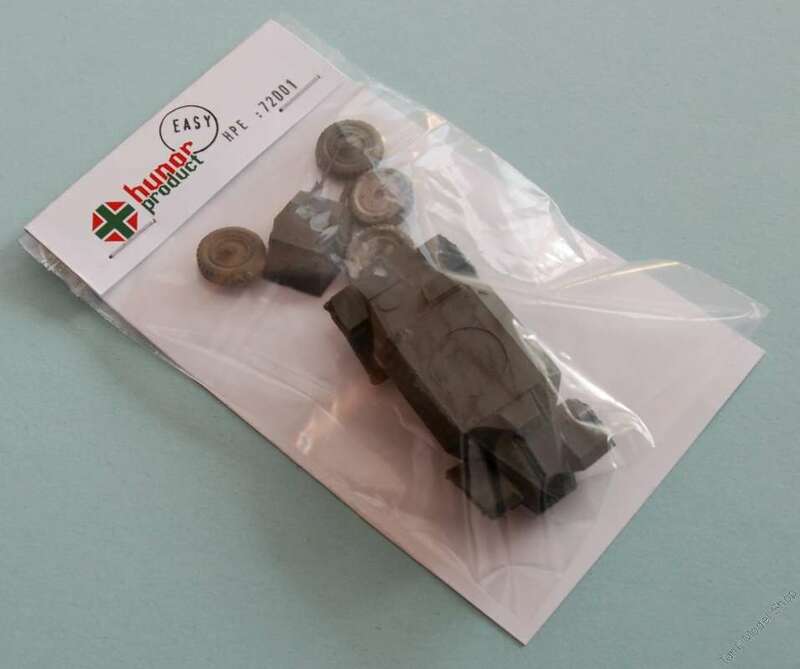 Hunor Product is a part of Armada Hobby & Hunor Figures, Hungary. 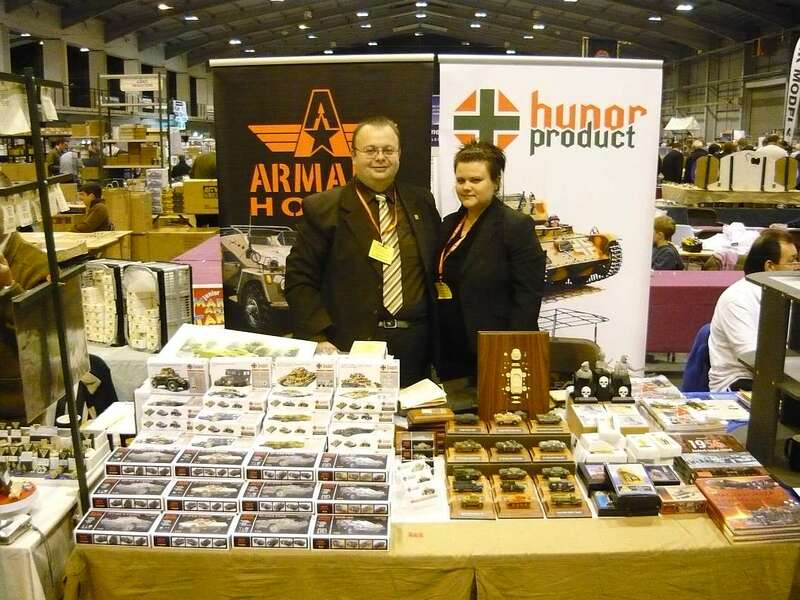 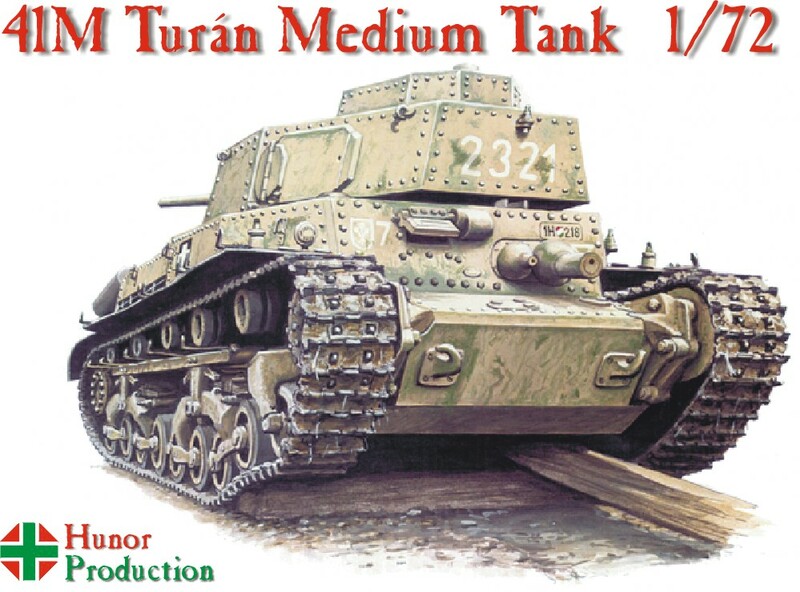 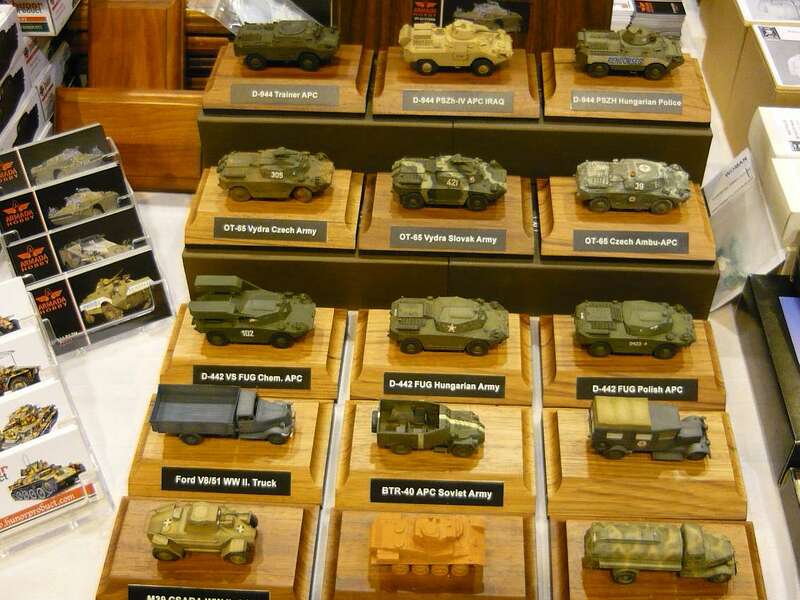 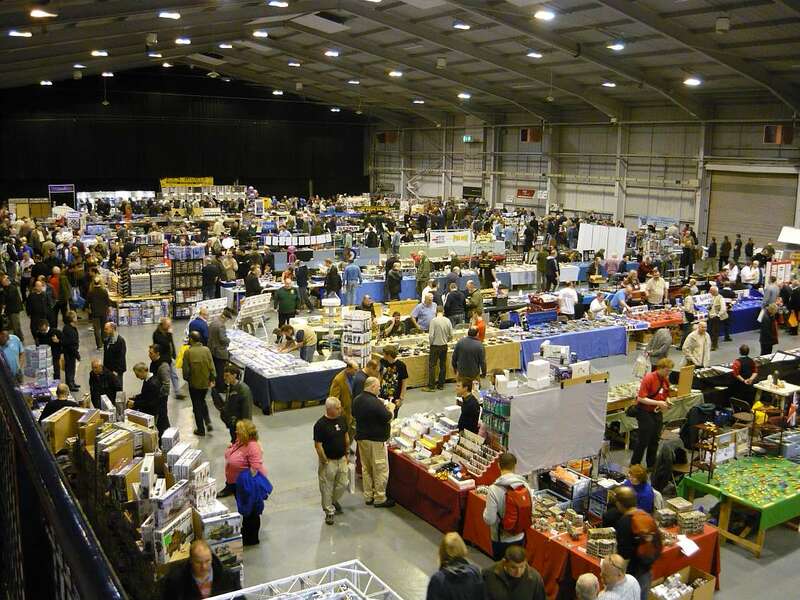 Hunor Product and Armada Hobby were introduced on 8-9 November 2009, on the modellingshow in Telford, UK. 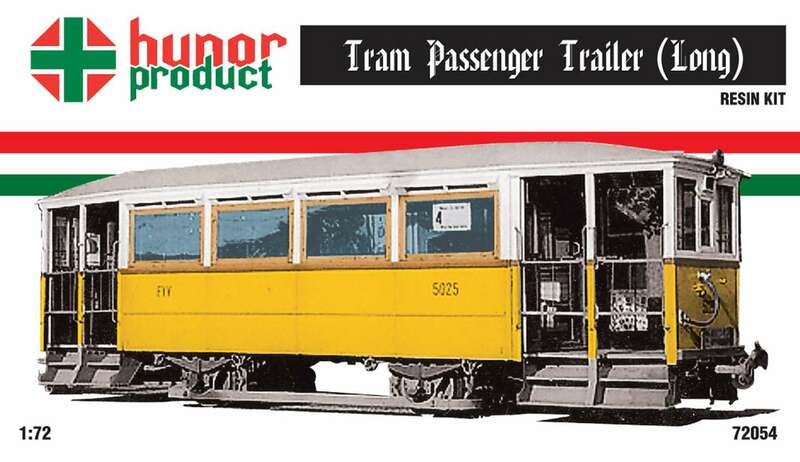 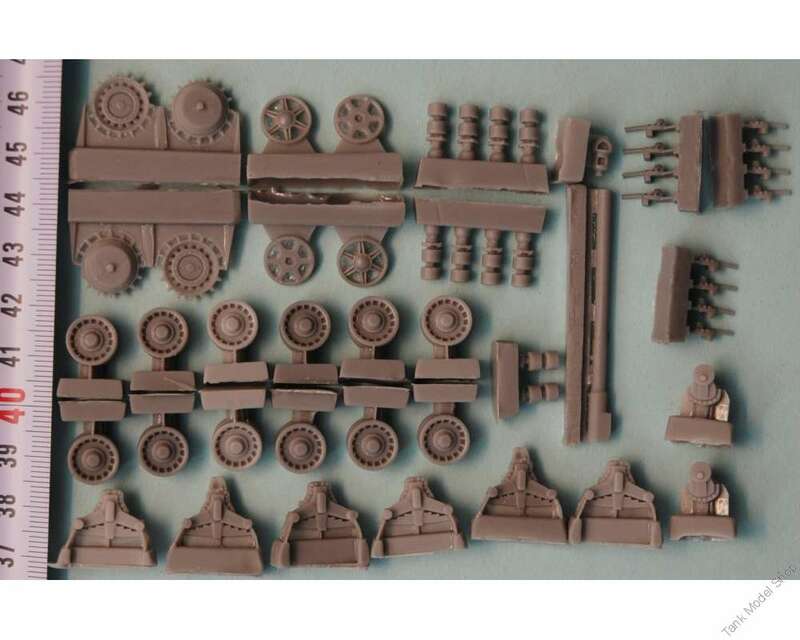 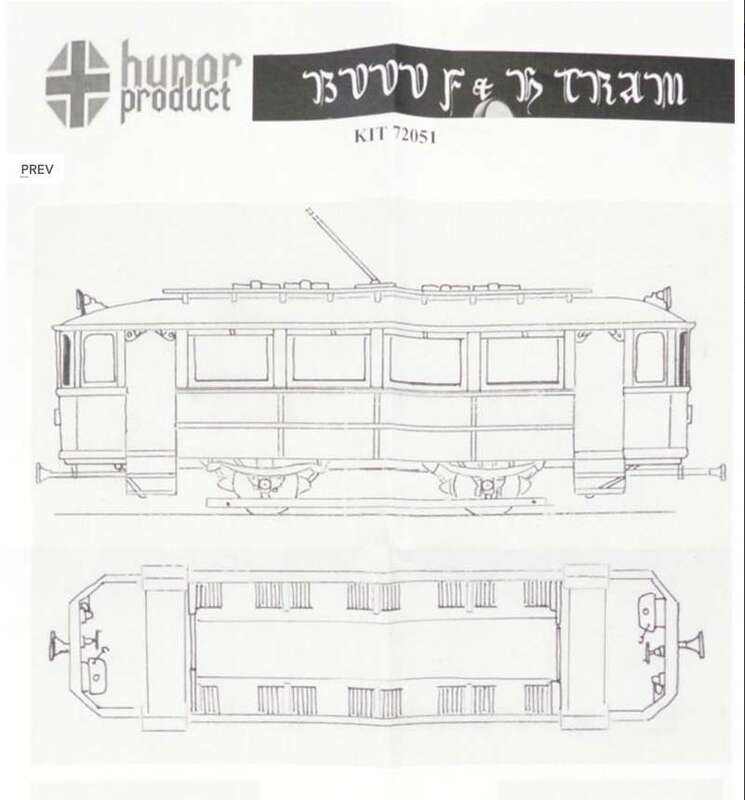 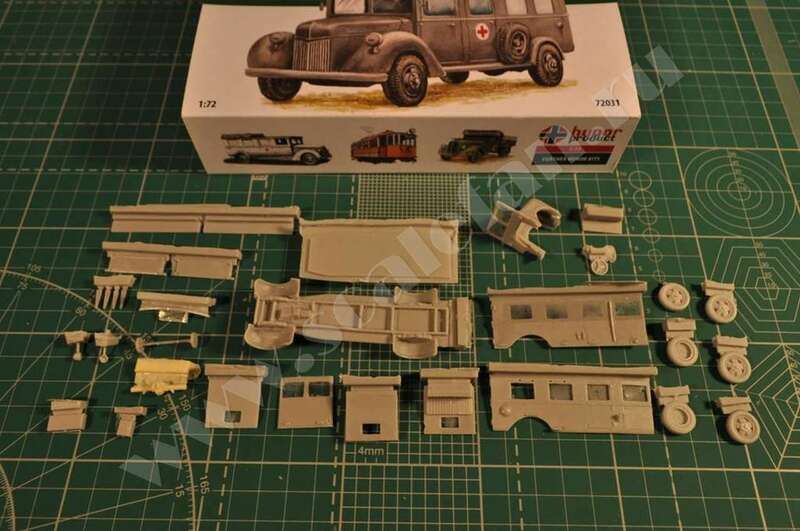 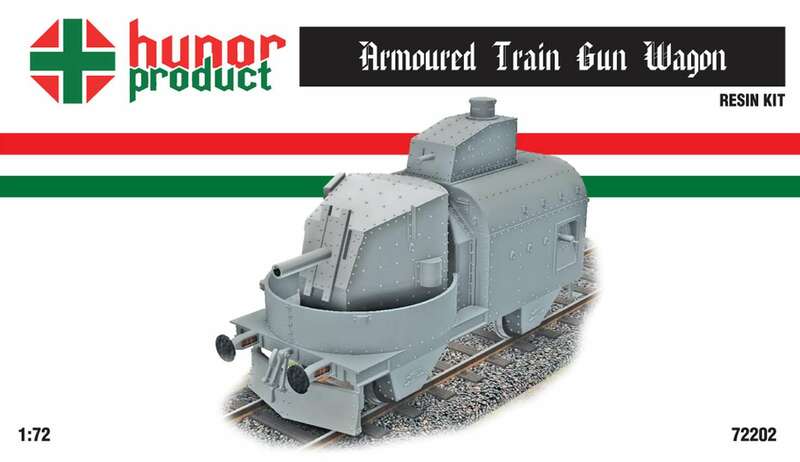 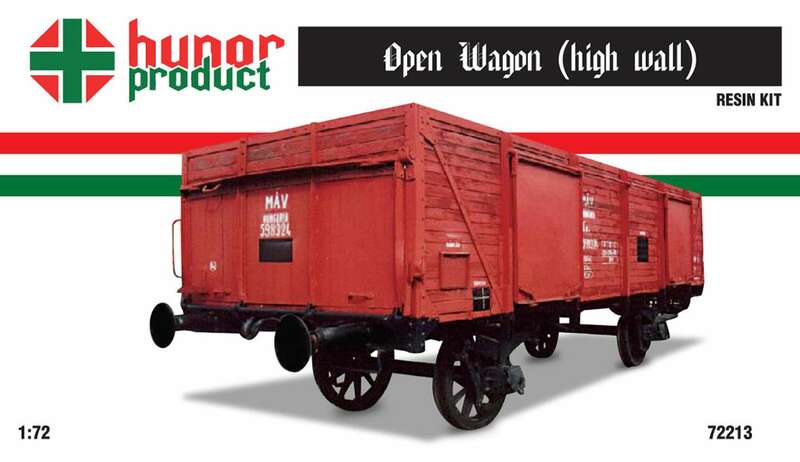 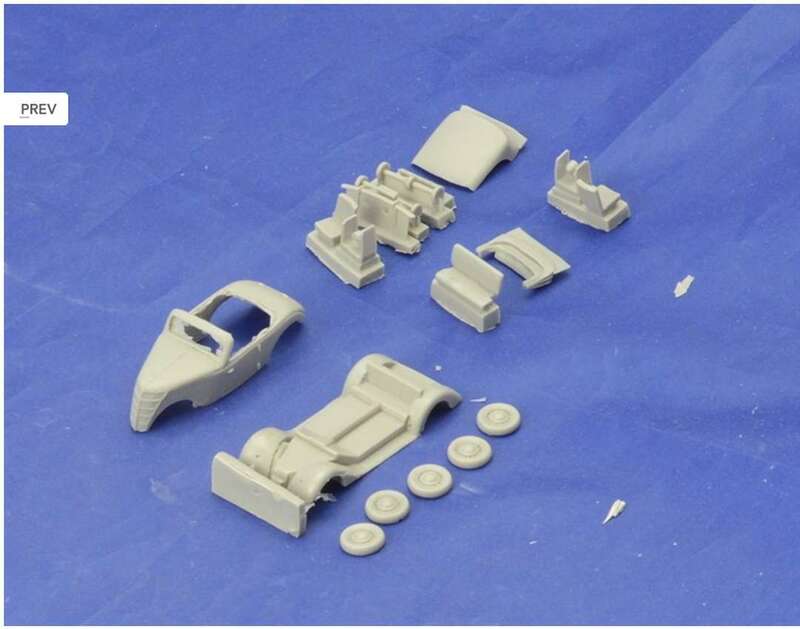 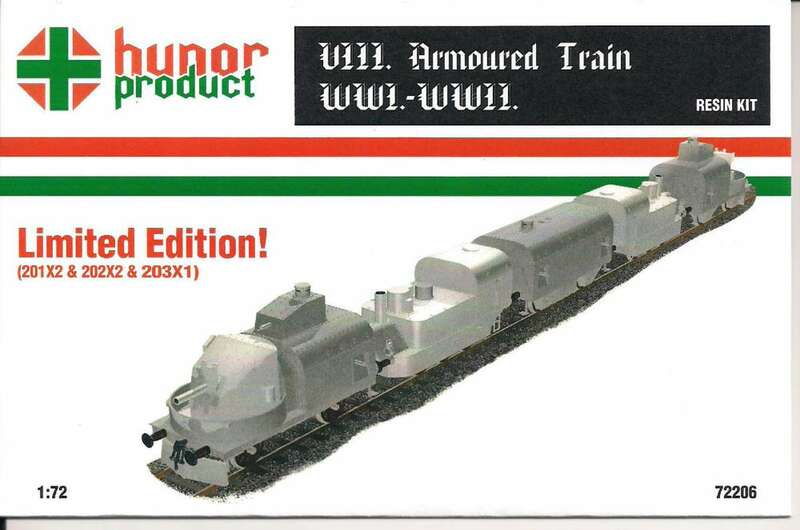 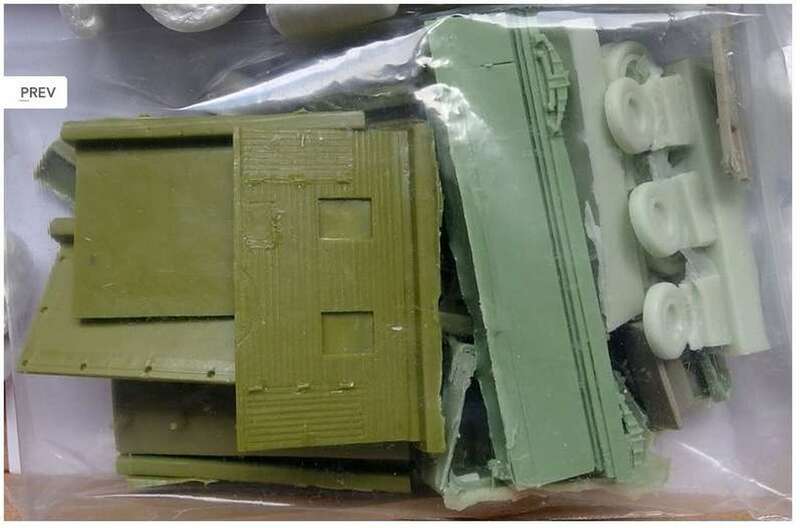 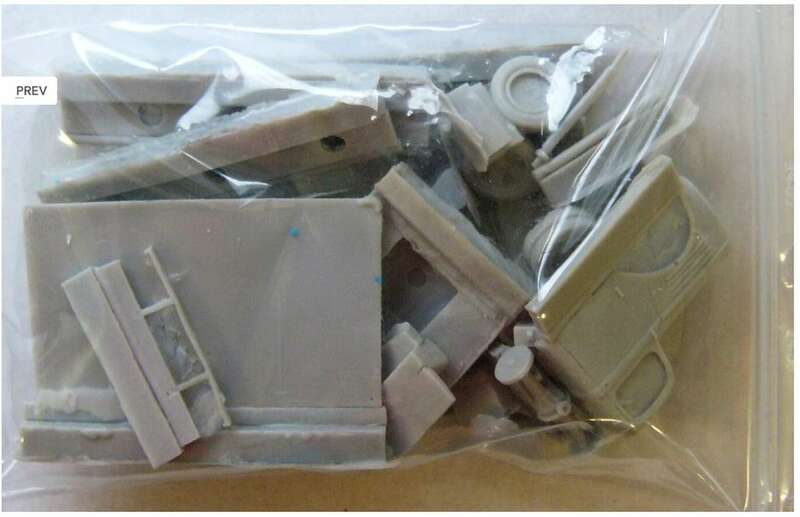 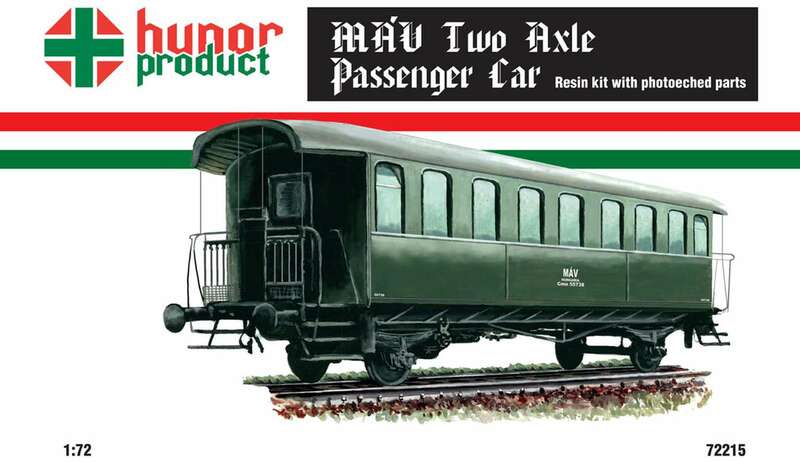 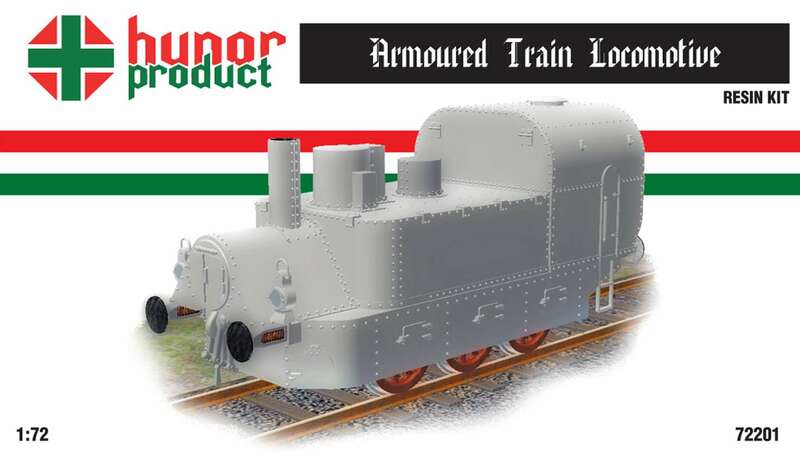 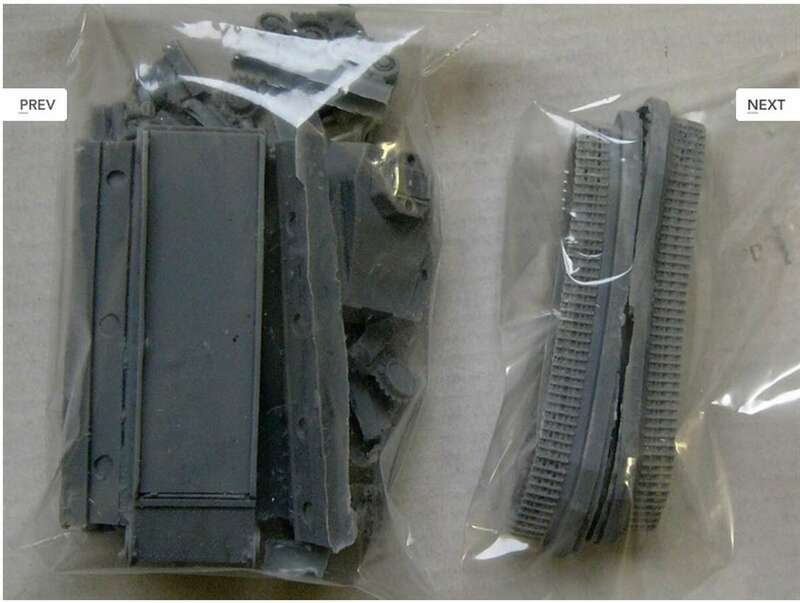 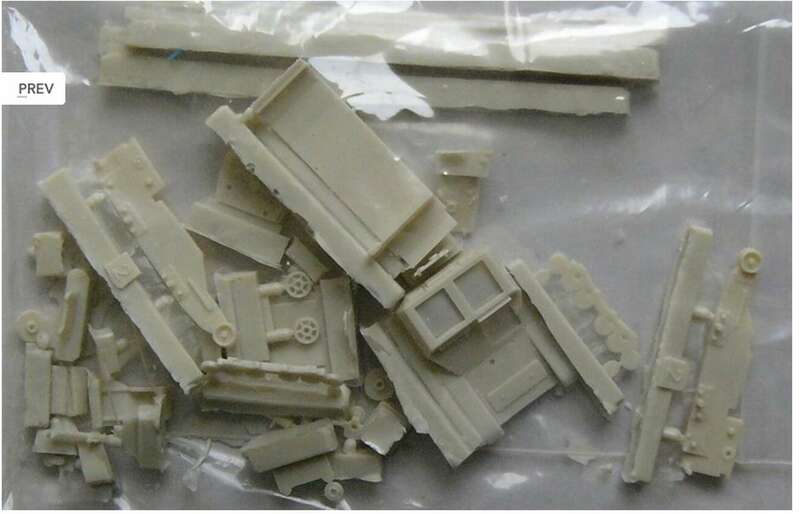 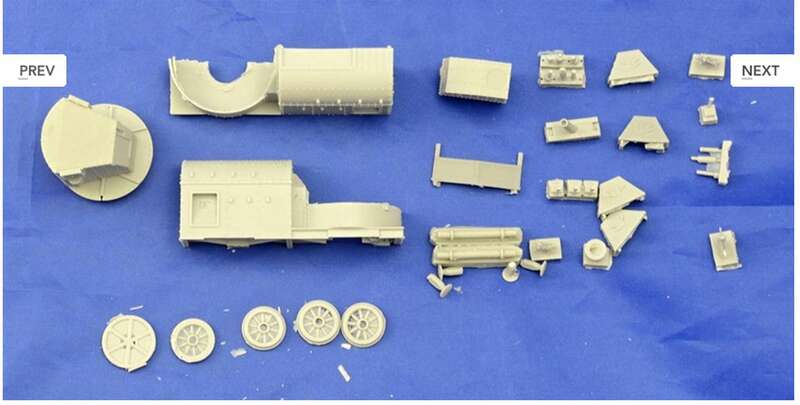 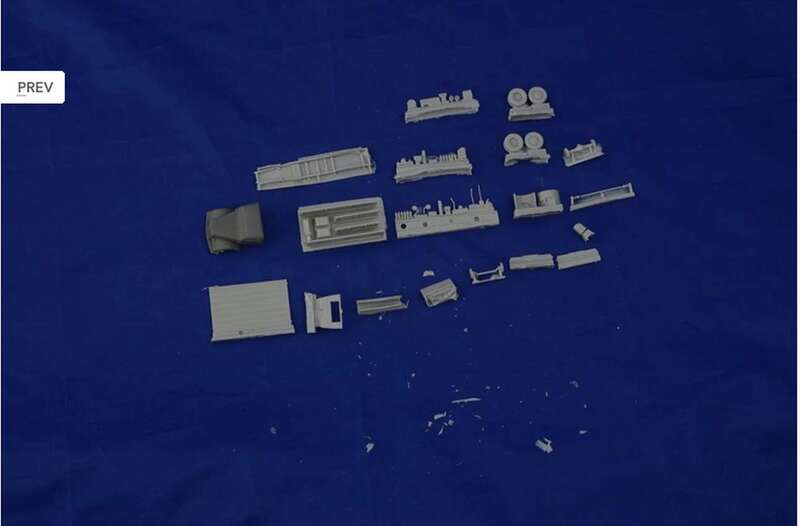 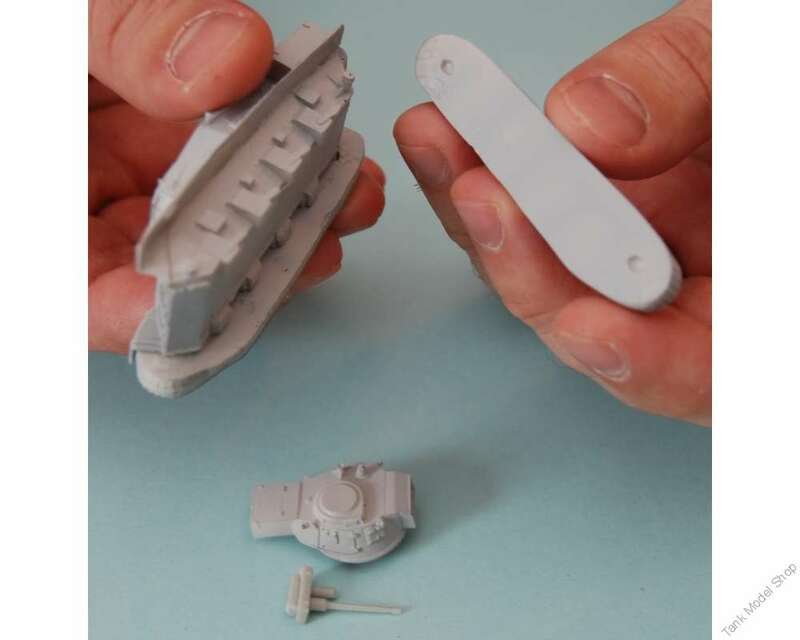 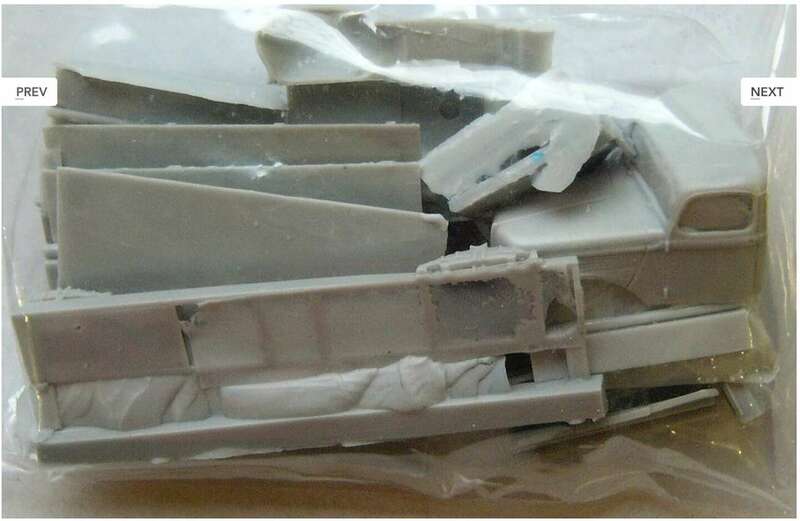 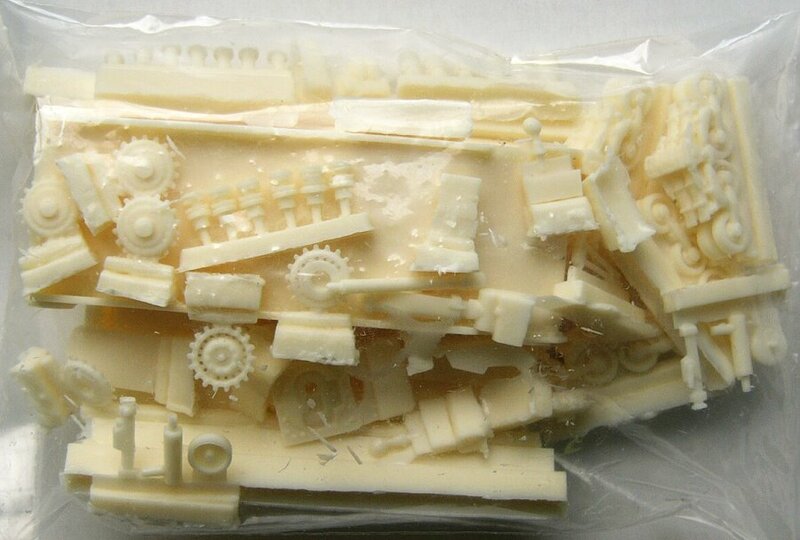 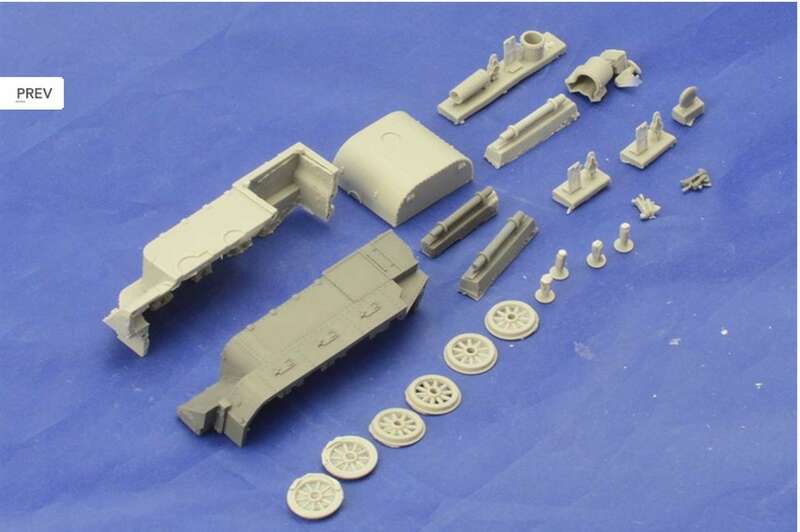 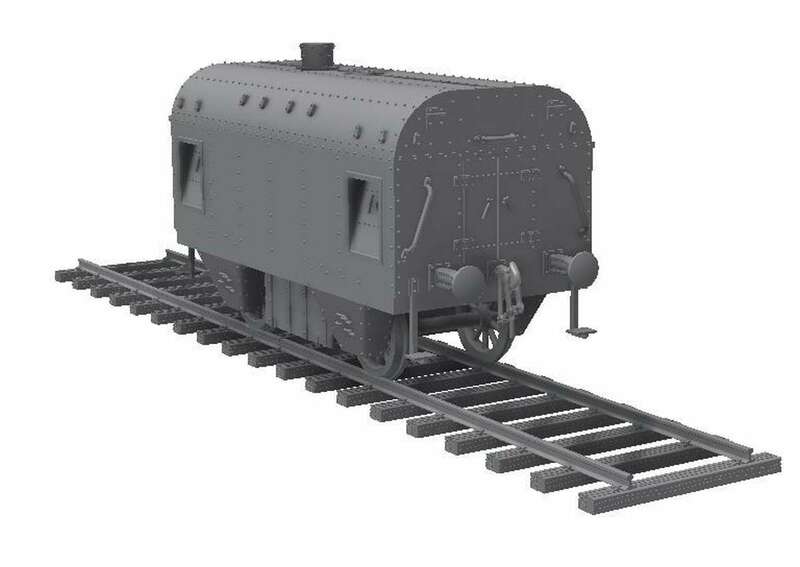 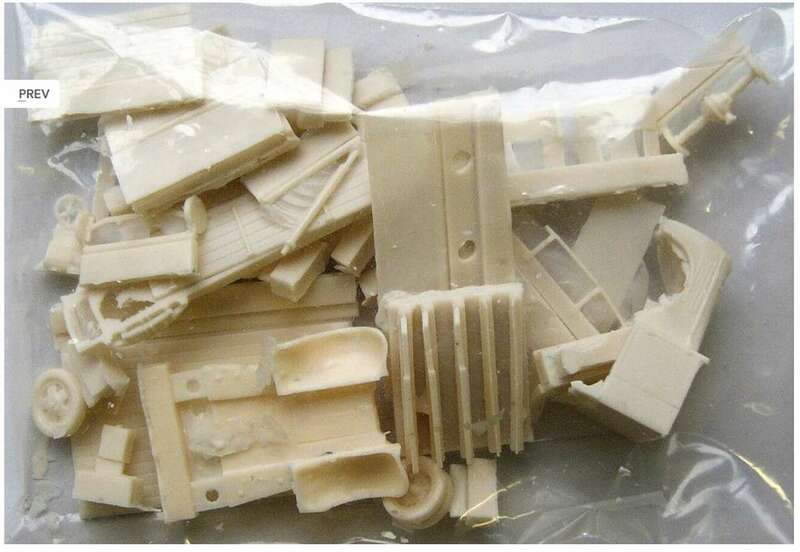 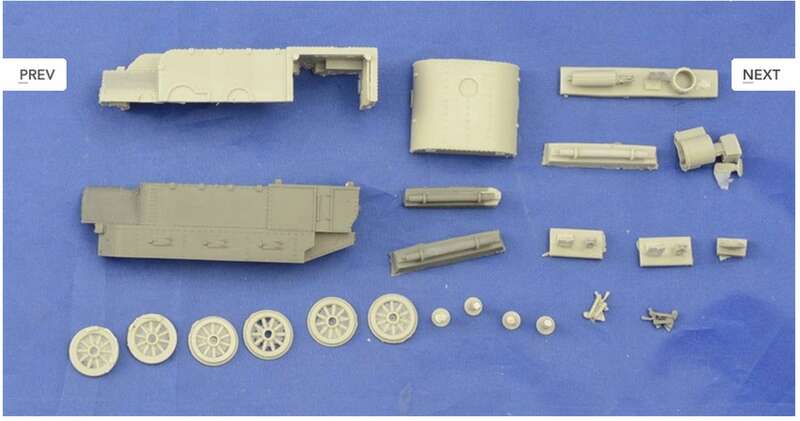 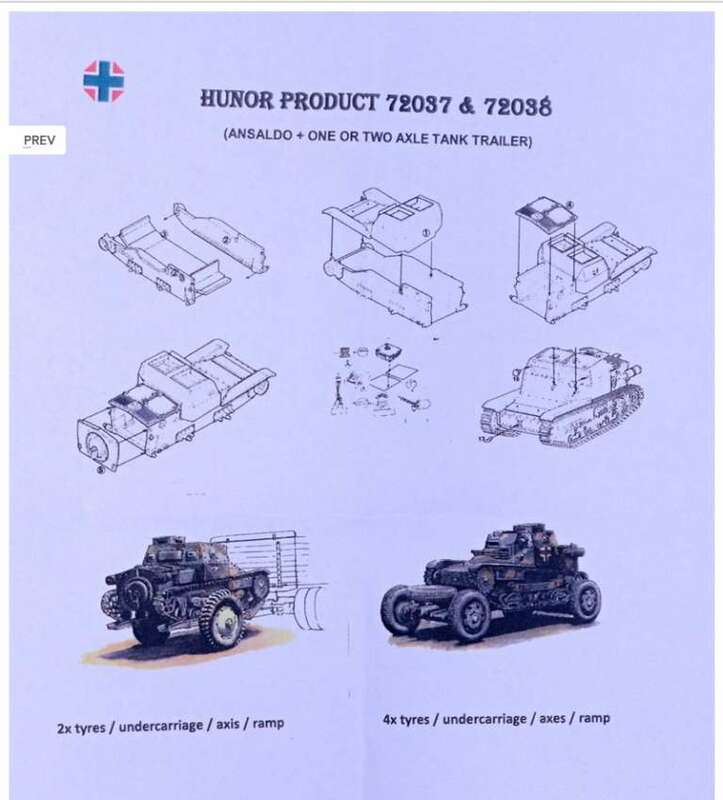 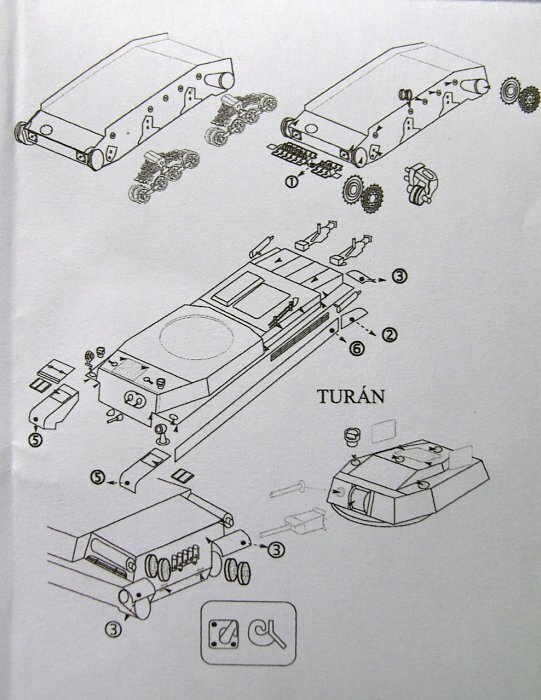 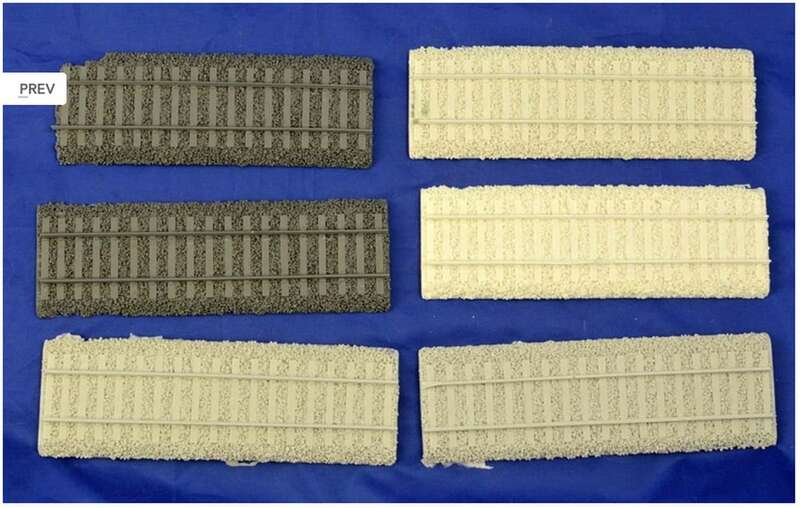 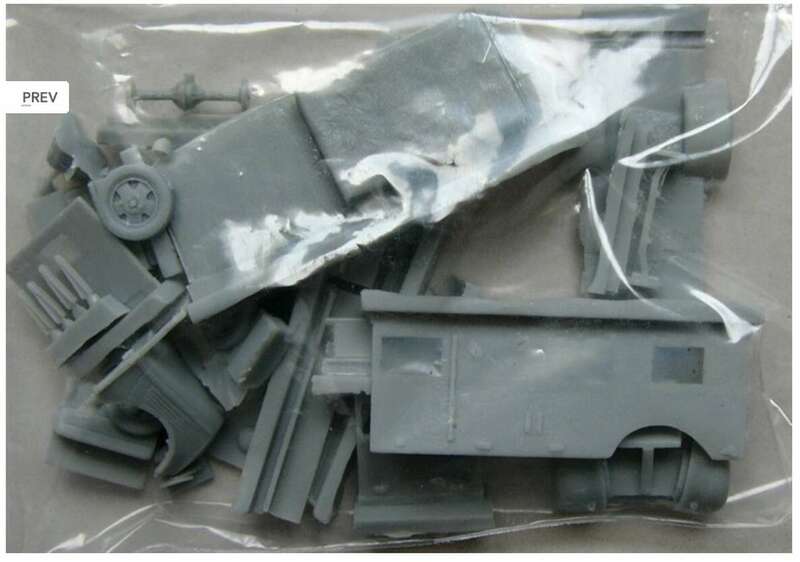 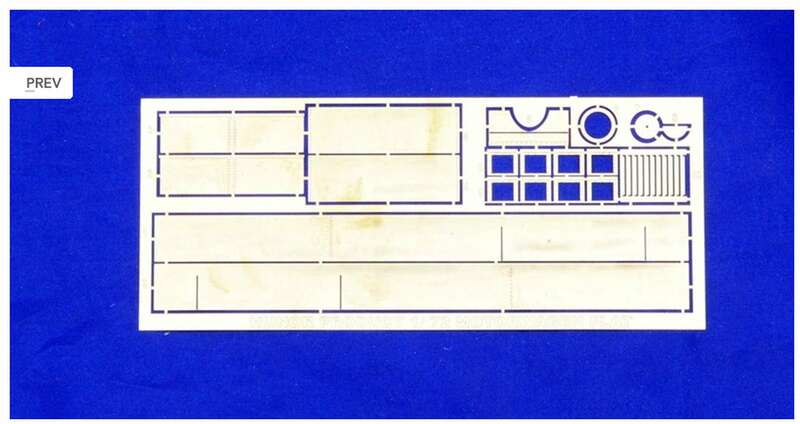 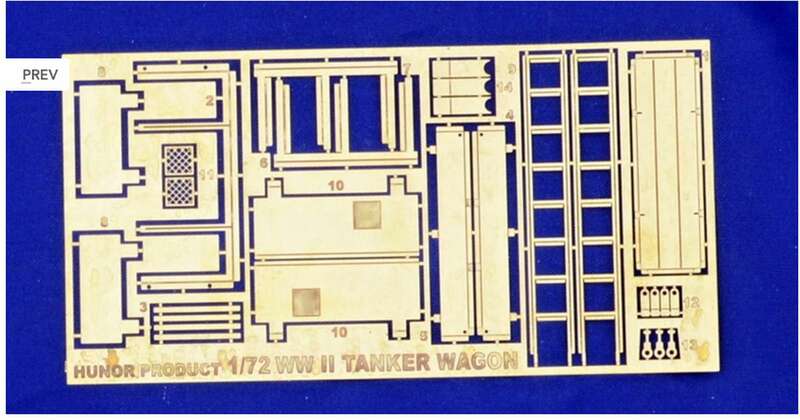 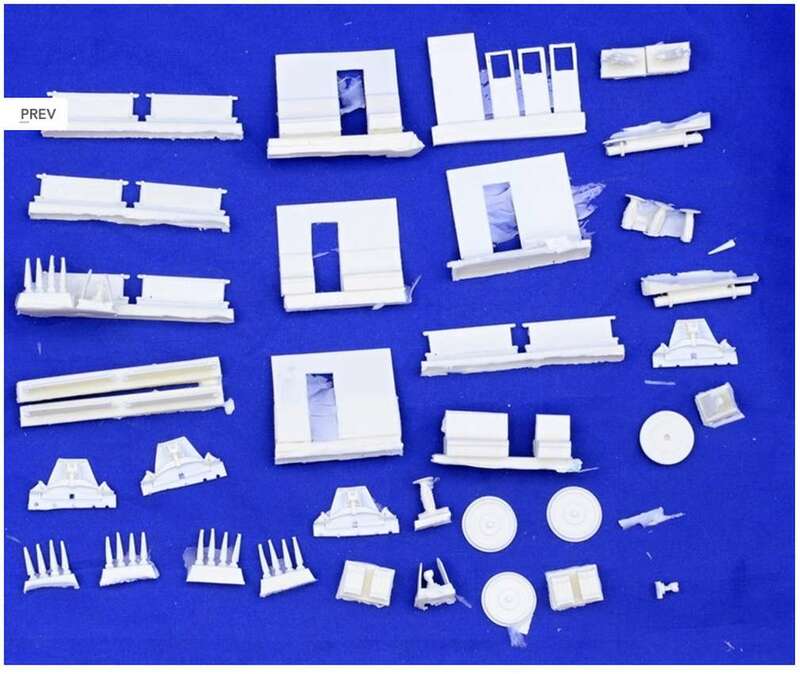 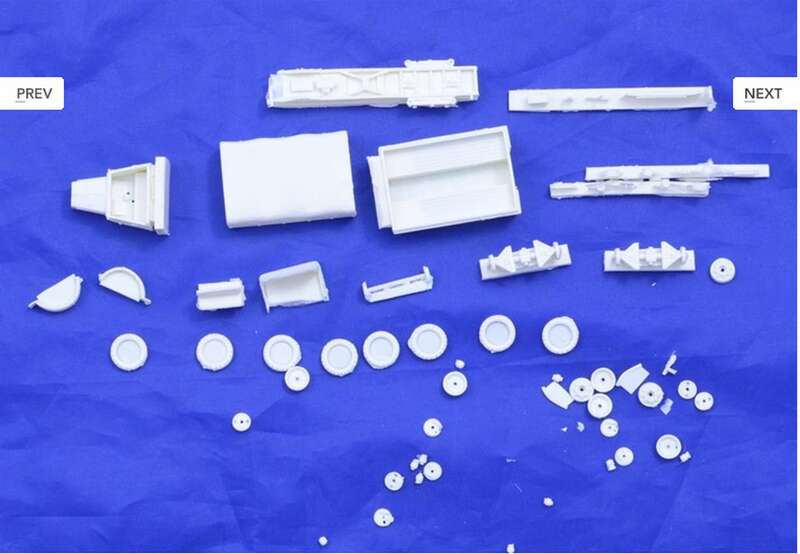 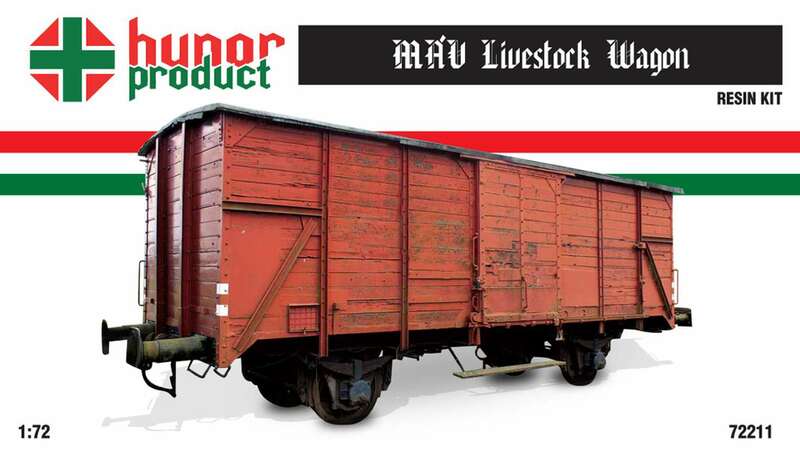 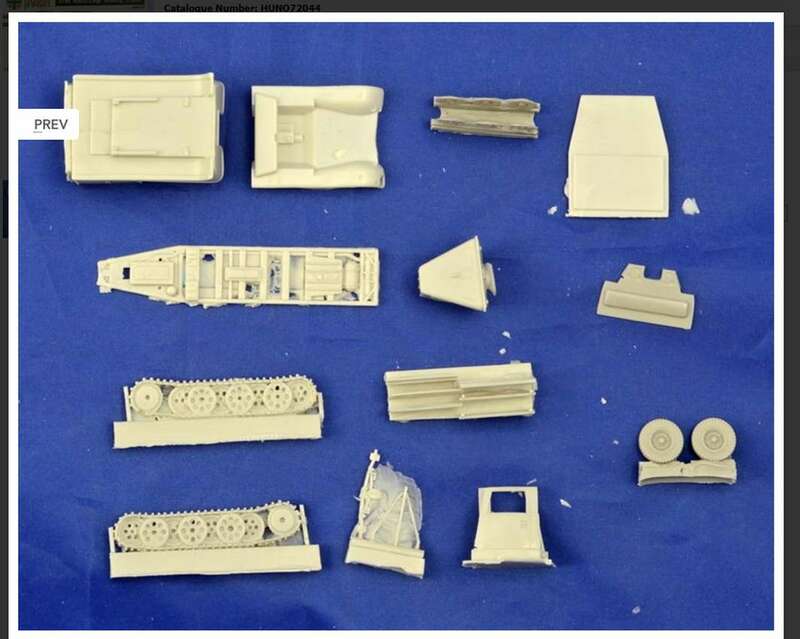 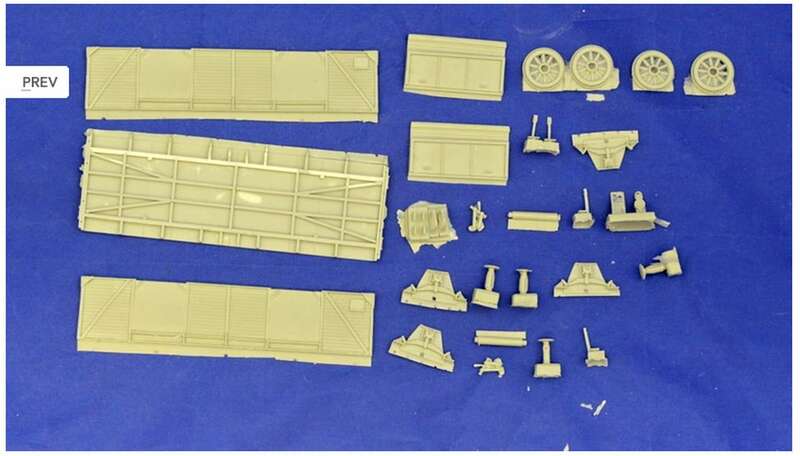 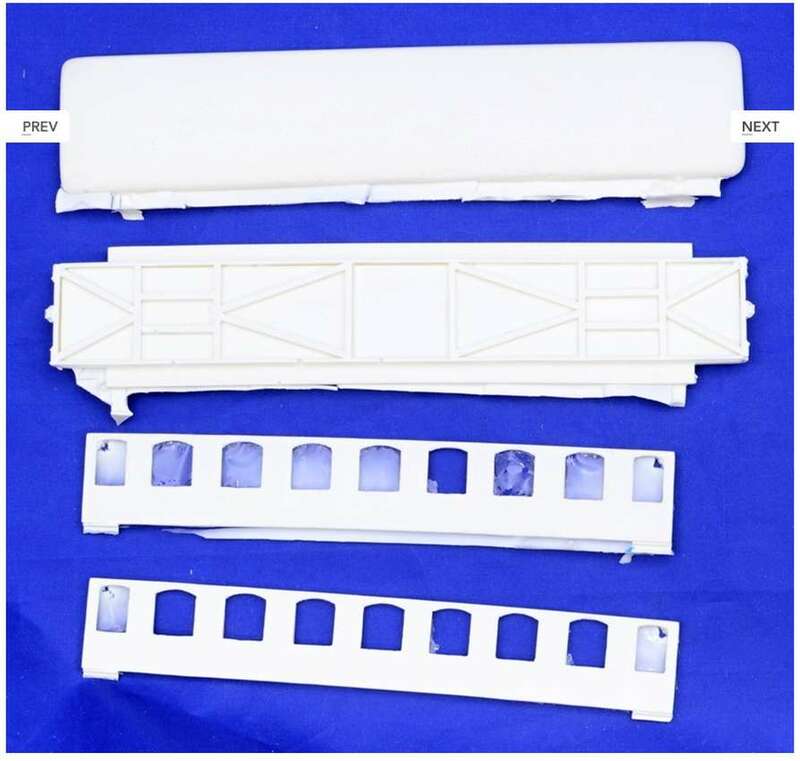 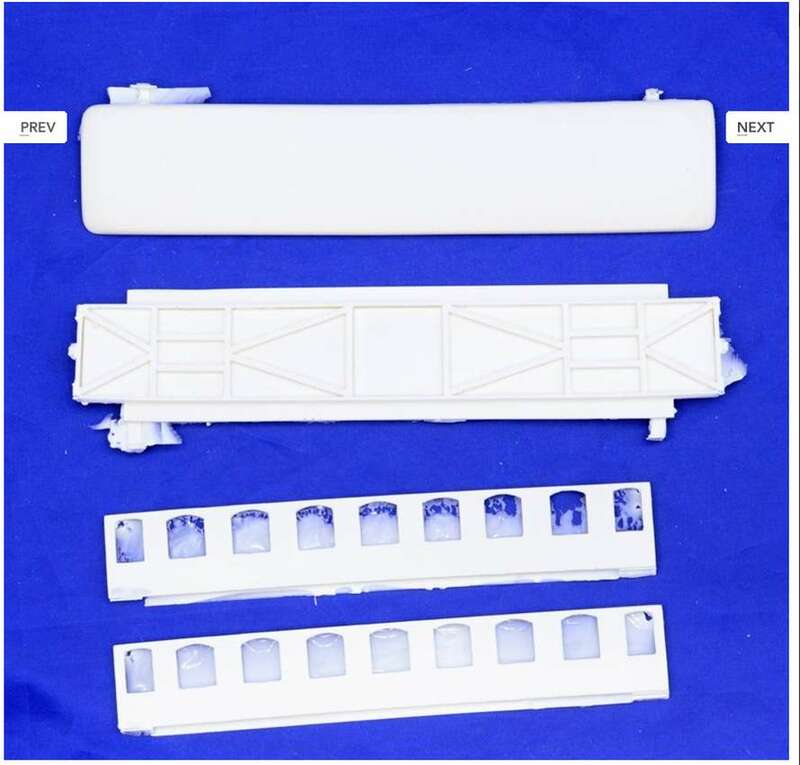 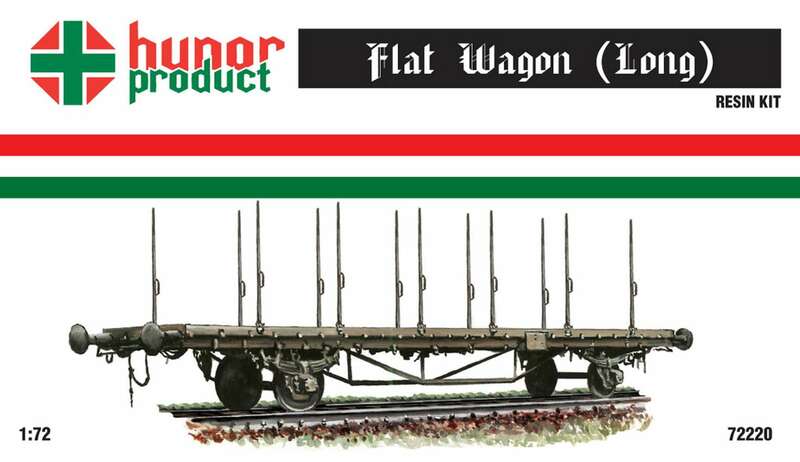 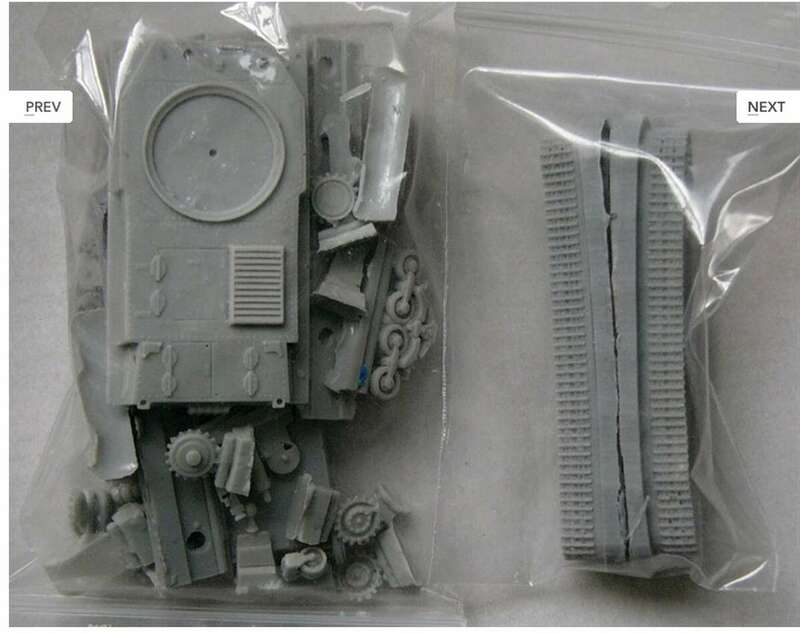 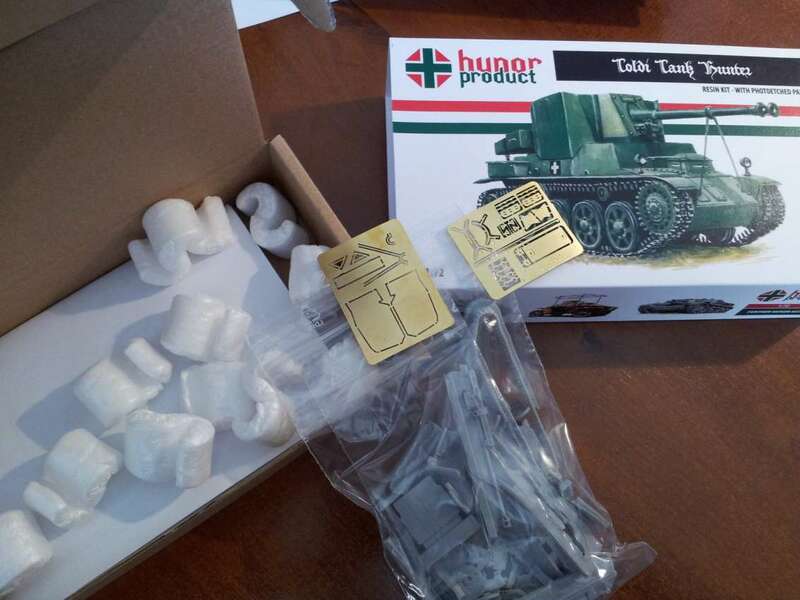 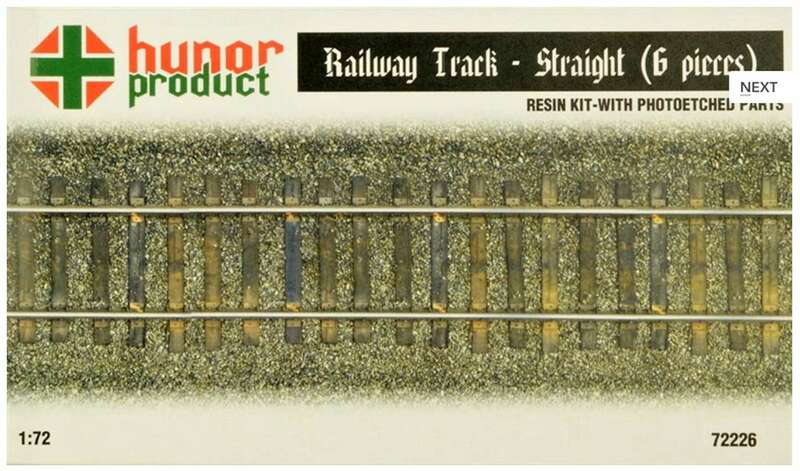 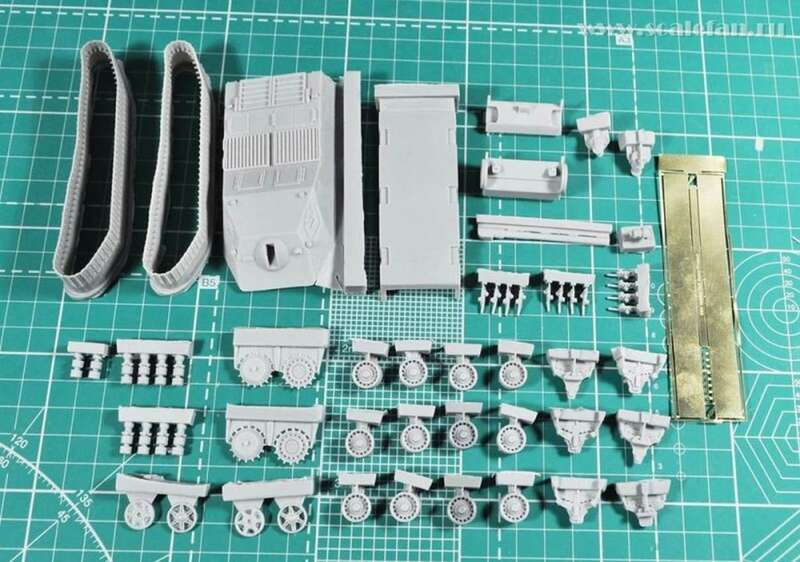 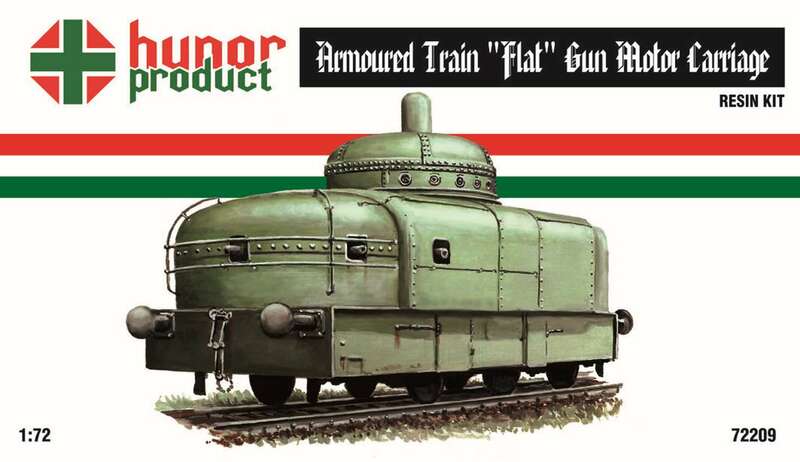 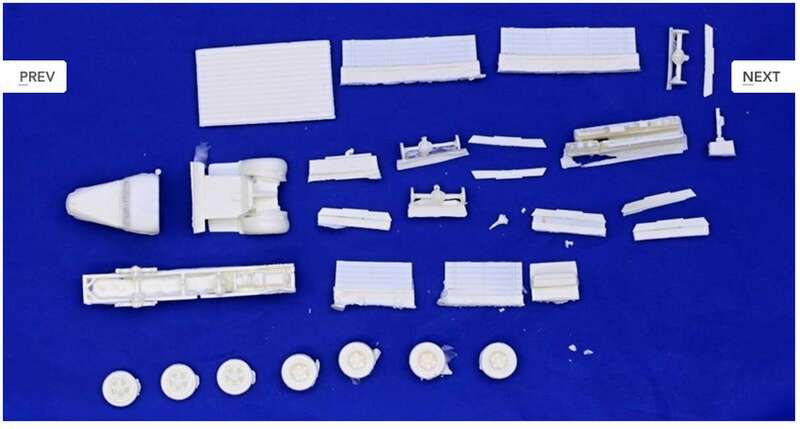 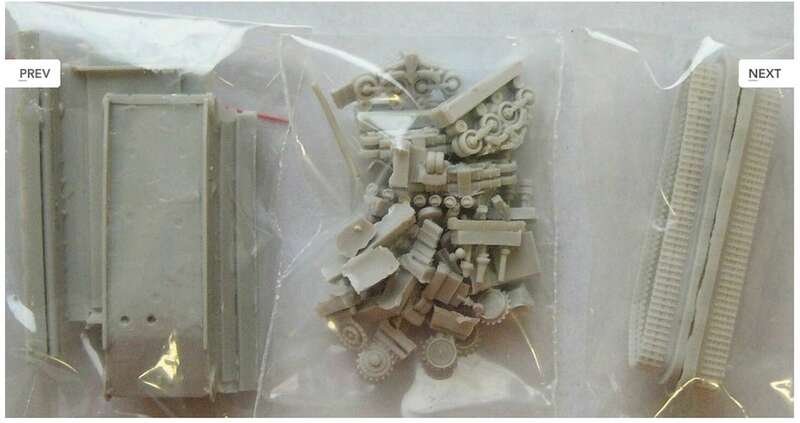 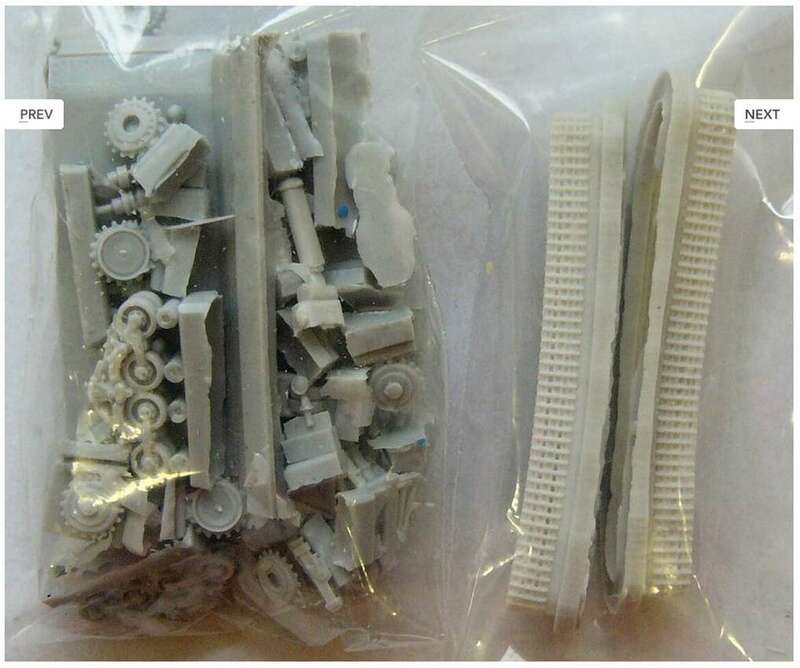 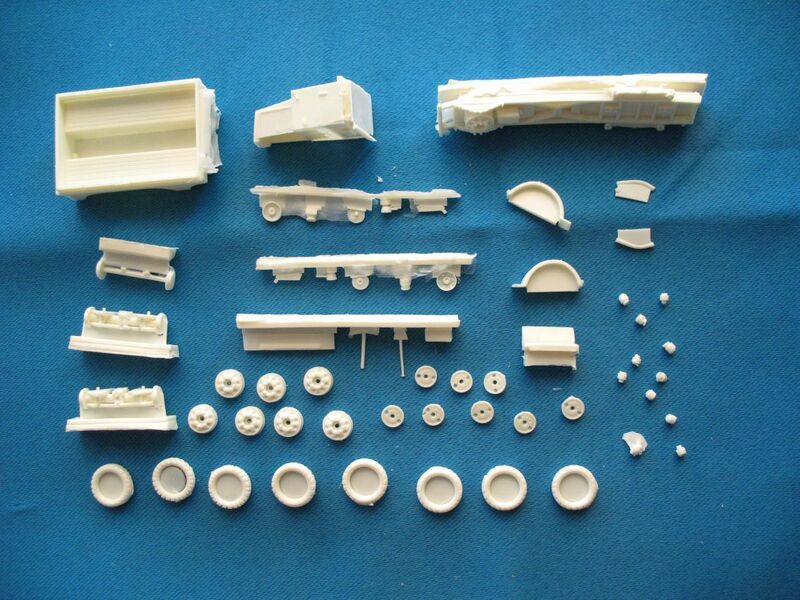 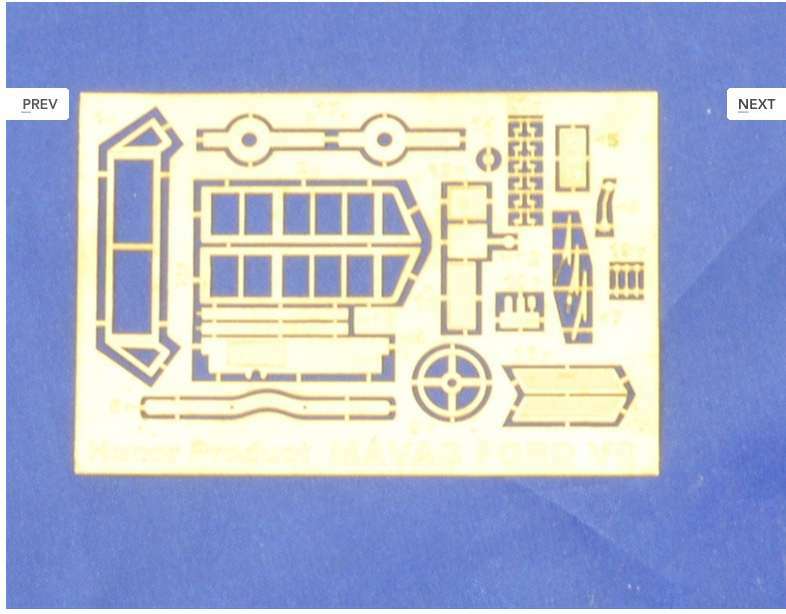 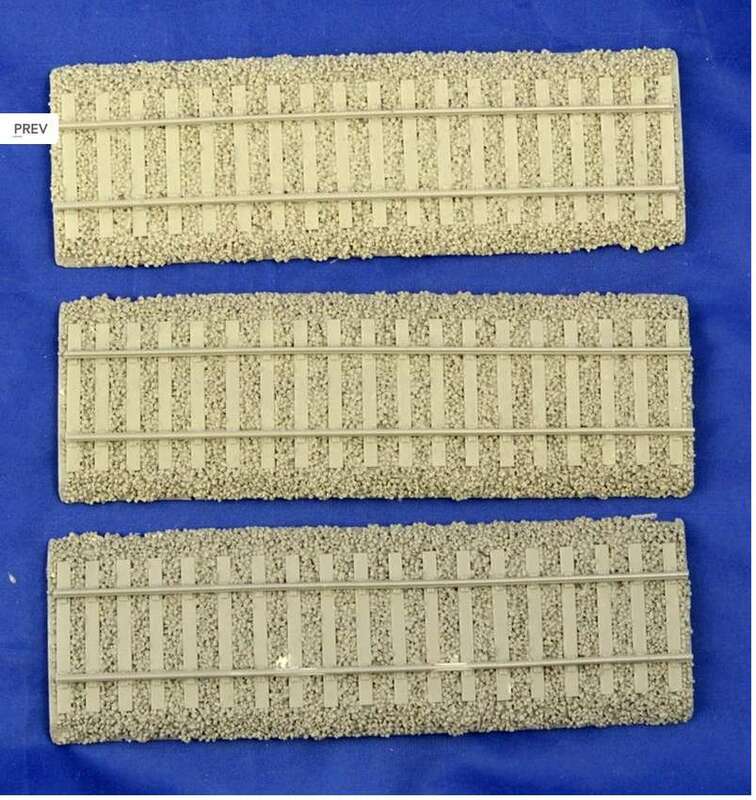 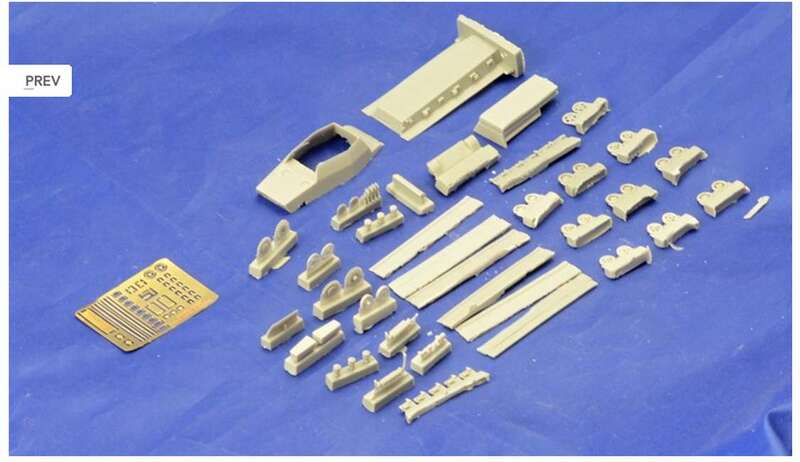 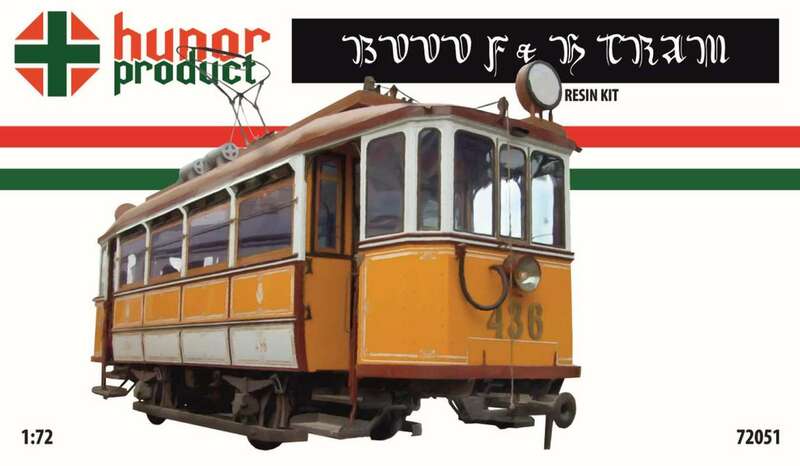 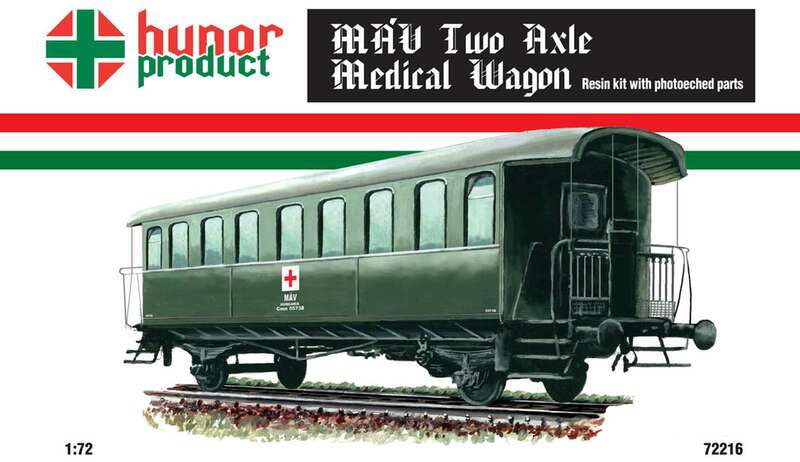 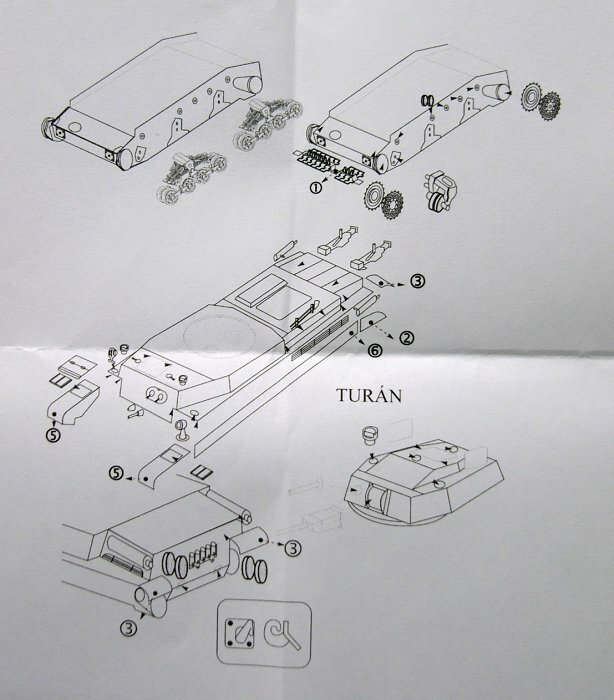 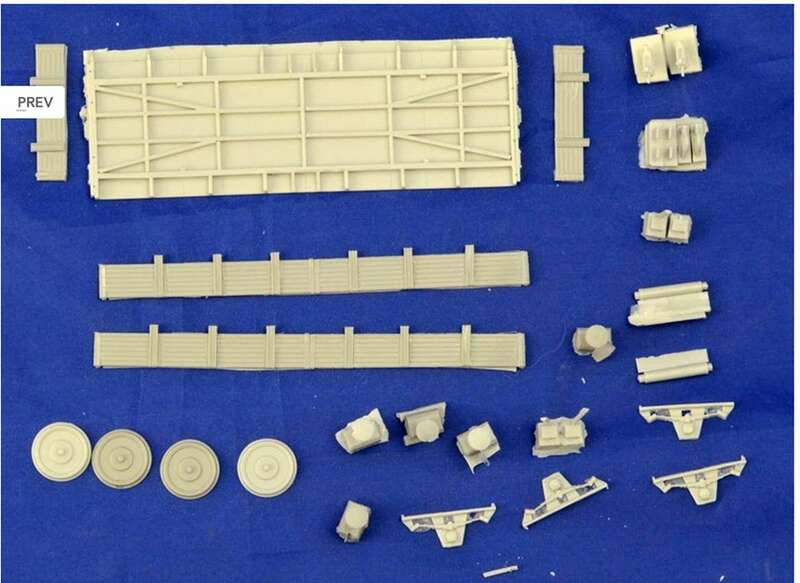 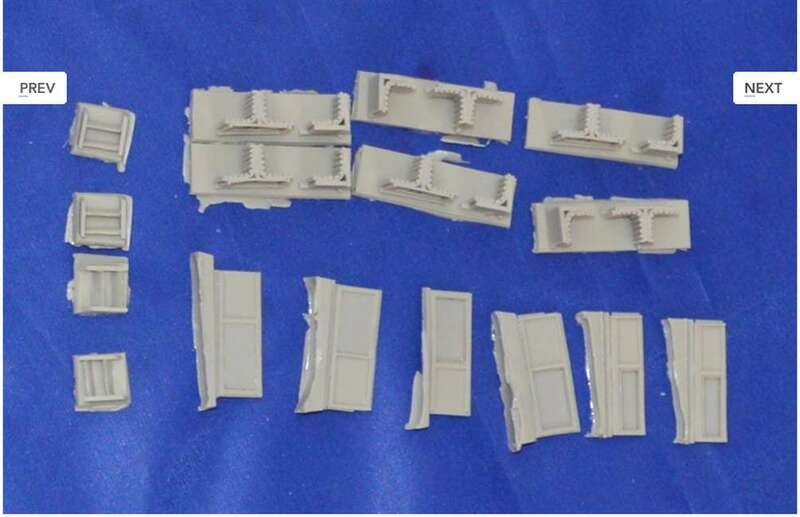 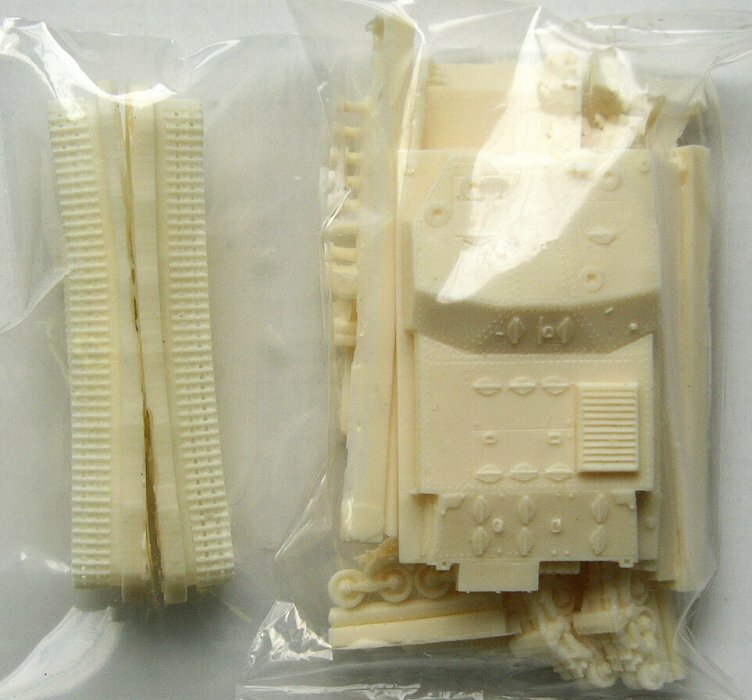 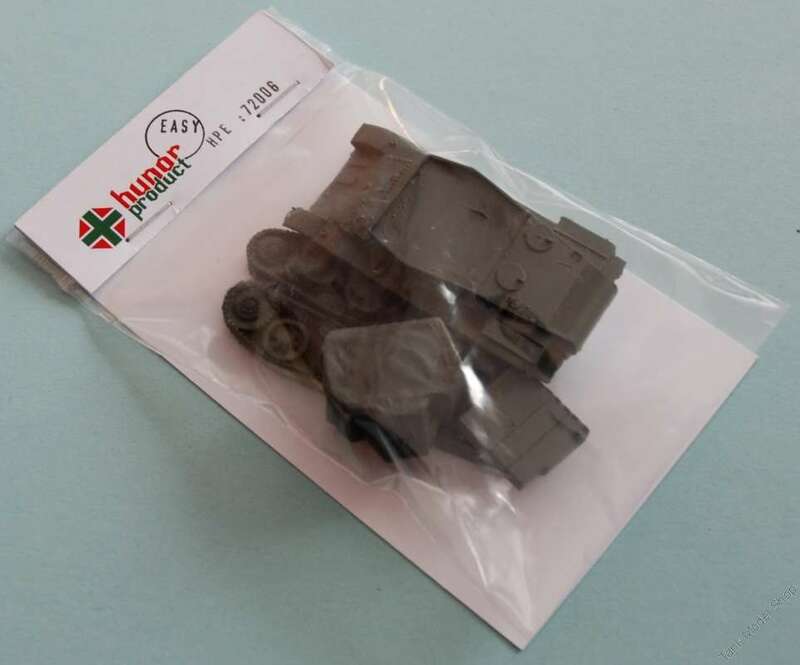 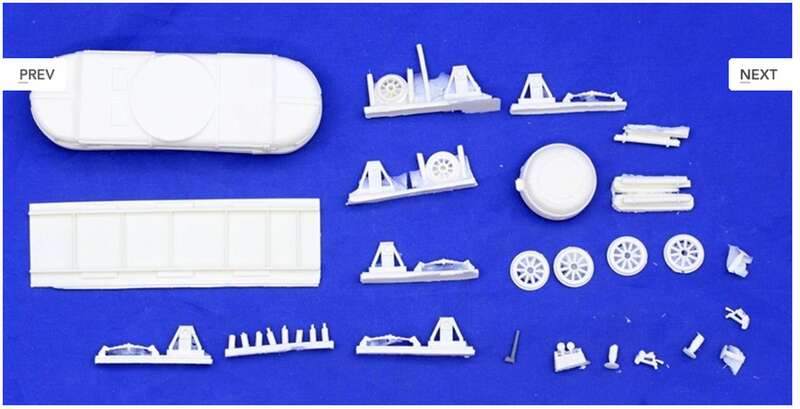 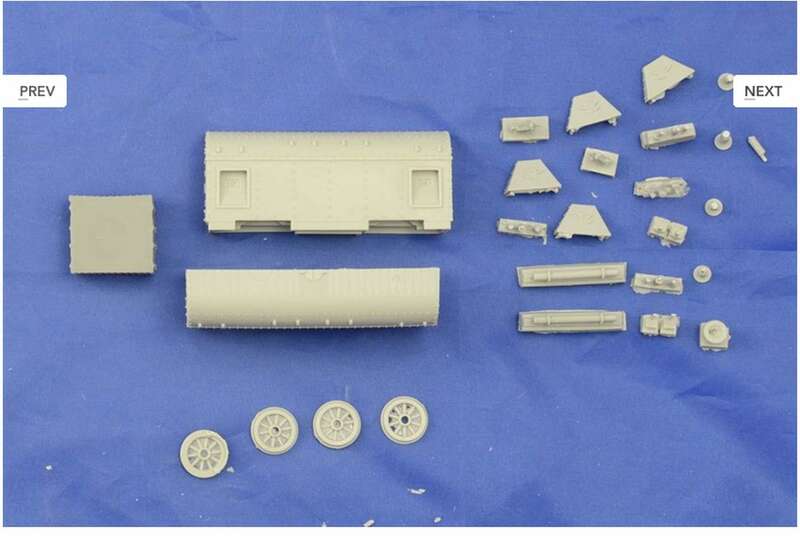 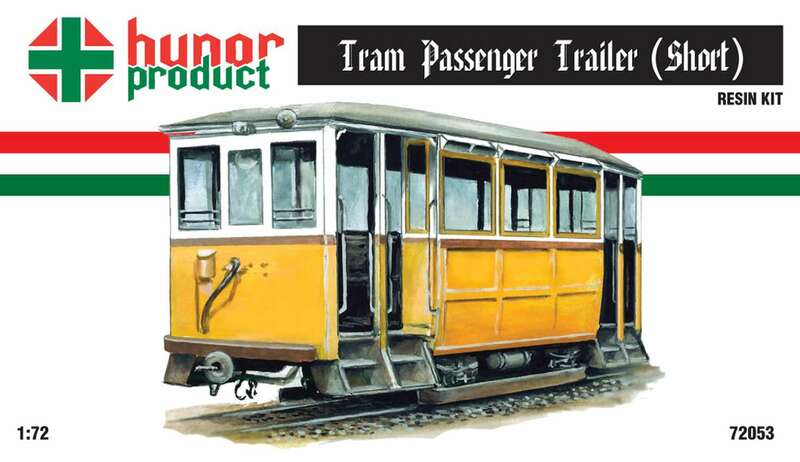 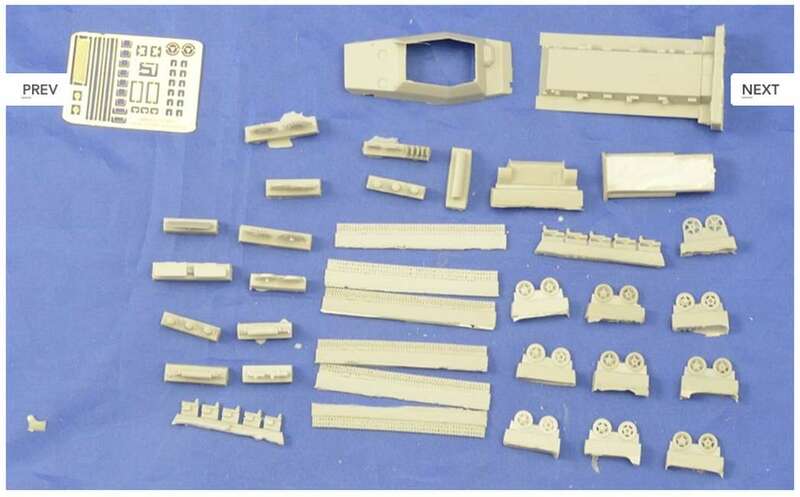 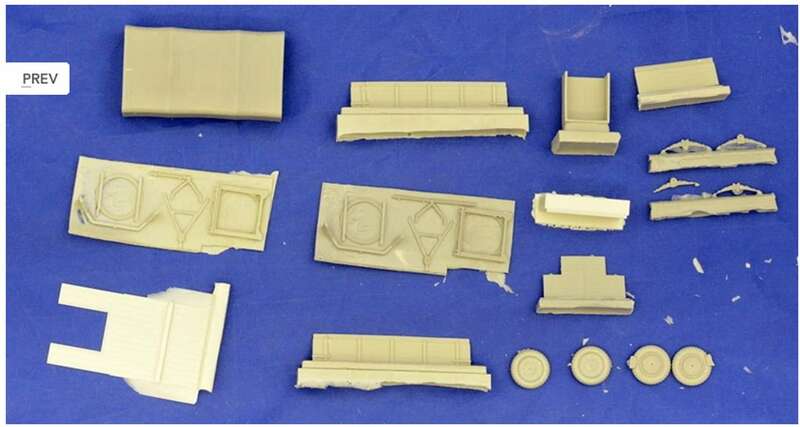 Note for kits HP72001 - HP72021 - "No decals included from 2010"
Kit 72033 - Trailer "Uhri"
These components can be used to make any of the 10 Austro-Hungarian Armoured trains that began to see service from 1914 through to the end of WWI. 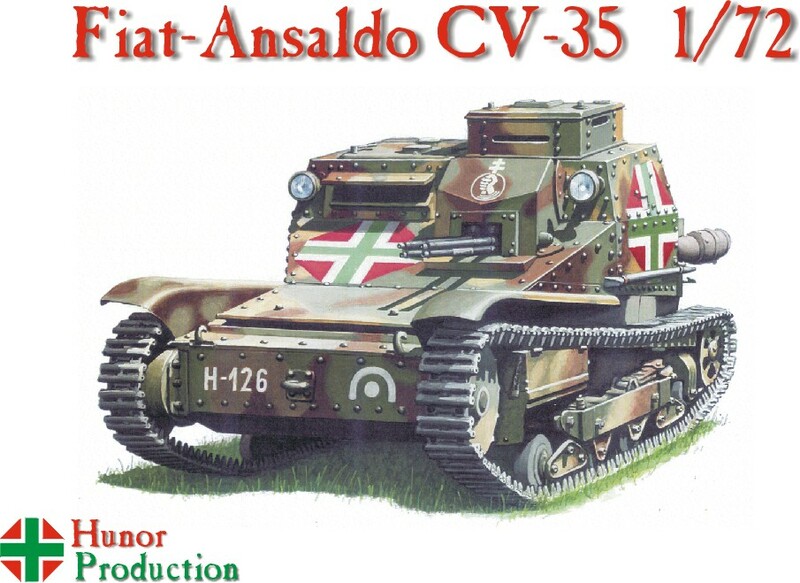 They saw service on all the fronts where the Austro Hungarian Armies fought. 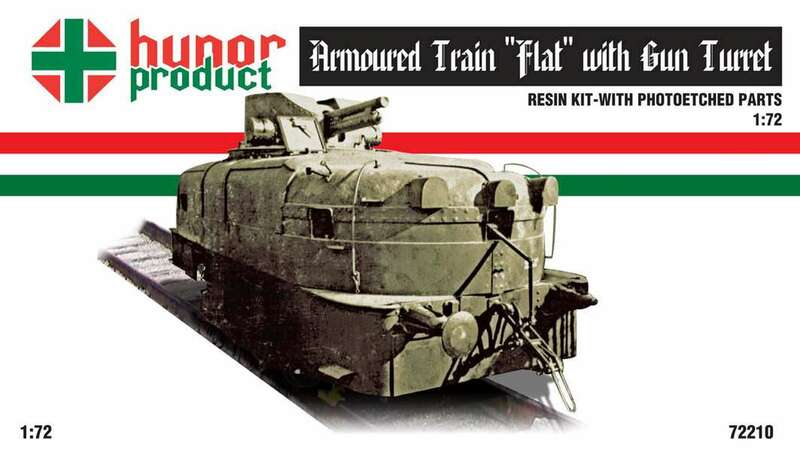 After WWI the surviving trains went to Yugoslavia, Poland, Hungary and Czechoslovakia. 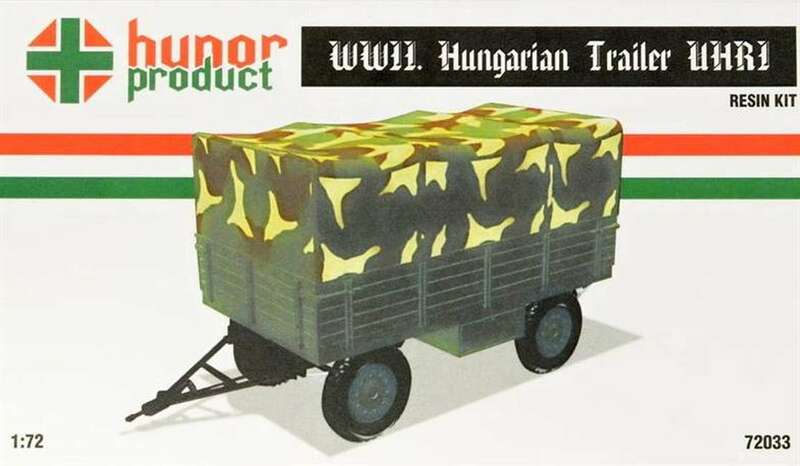 After WWII commenced, Hungary used its trains, and those of Poland, Yugoslavia and Czechoslovakia fell into German hands. 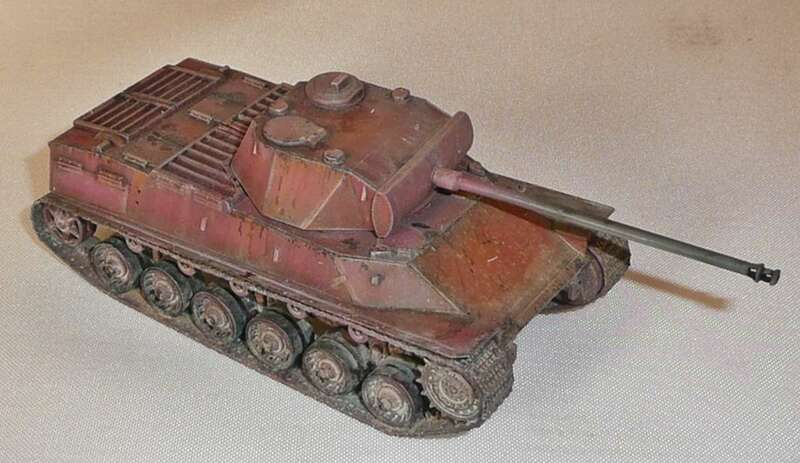 Panzerzug 24 was created from these captured trains and saw service from March 1940 to January 1945. 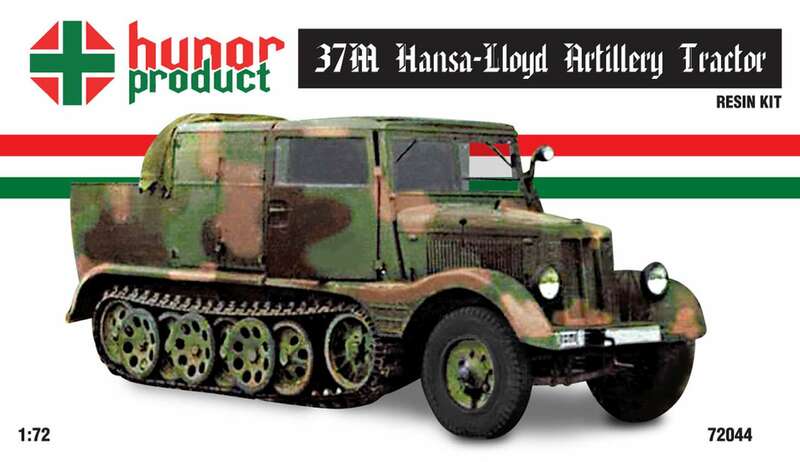 It served in Germany, briefly in Denmark, also in Serbia, Croatia, Italy, France, & Poland However it underwent many upgrades during the WWII and the Hunor pieces are good for 1914 up till mid 1940. 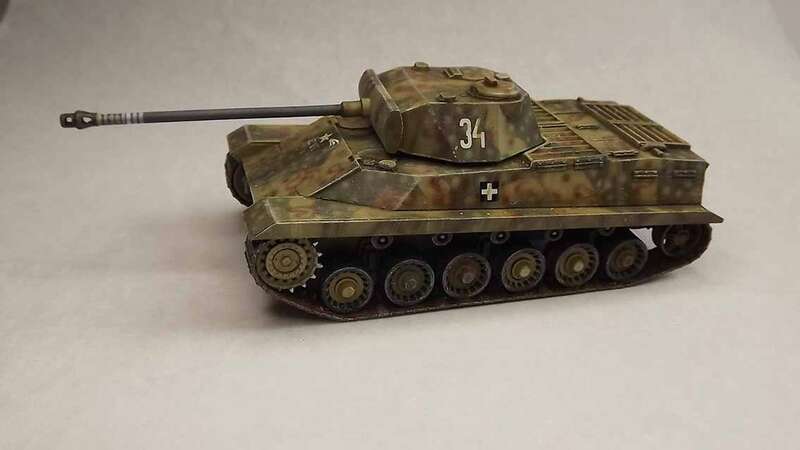 In January 1945 along with Panzerzug 62 (a BP 42 type),the trains were cut off by the Russians and the crews blew the trains up around 07.45h on January 16, and accompanied by their 38(t) tanks the crew marched off to regain their own lines, harrassed constantly by Russian air attacks. 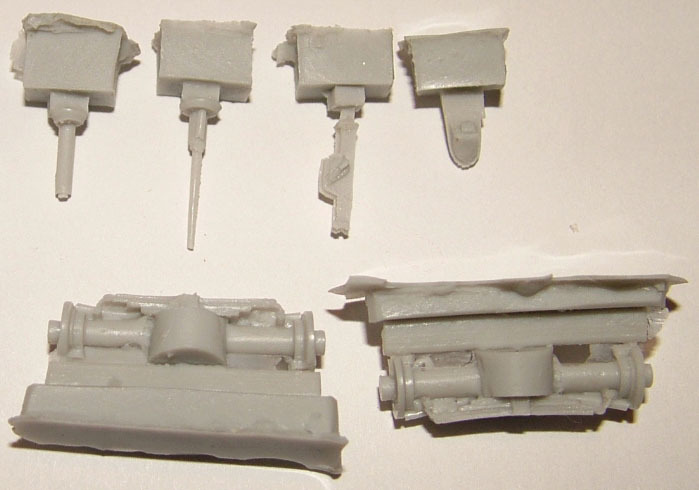 However by 1945 Panzerzug 24 no longer resembled the Hunor train pieces, having been upgraded with replacement stock and larger locomotives. 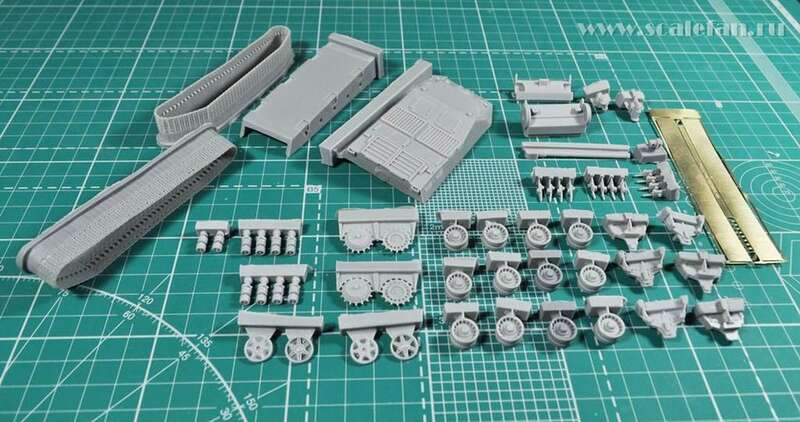 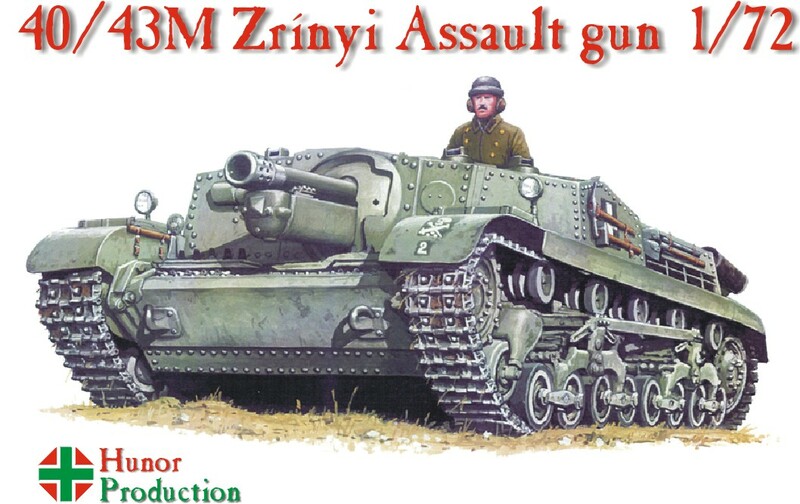 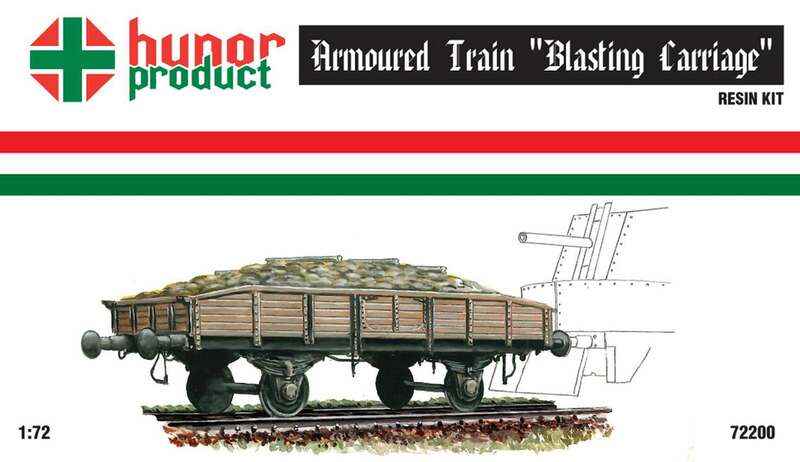 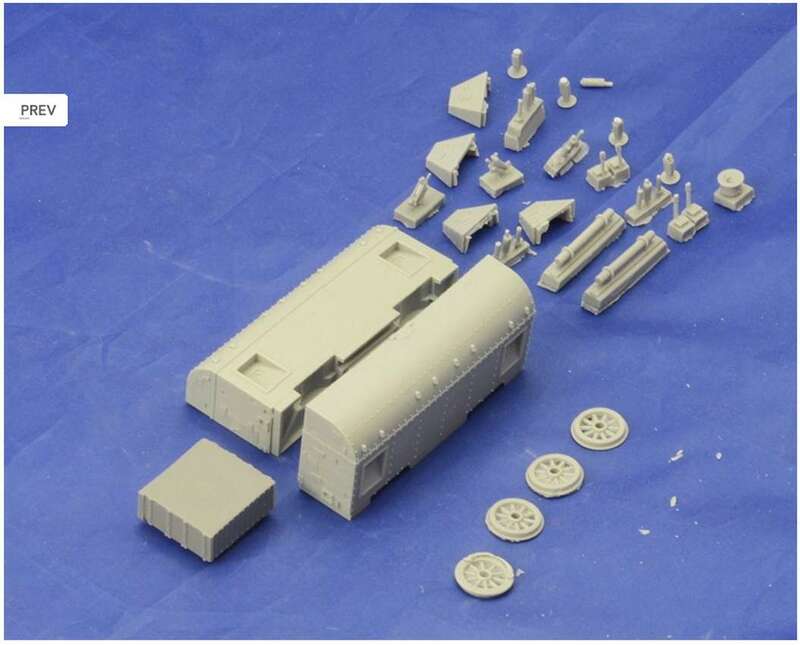 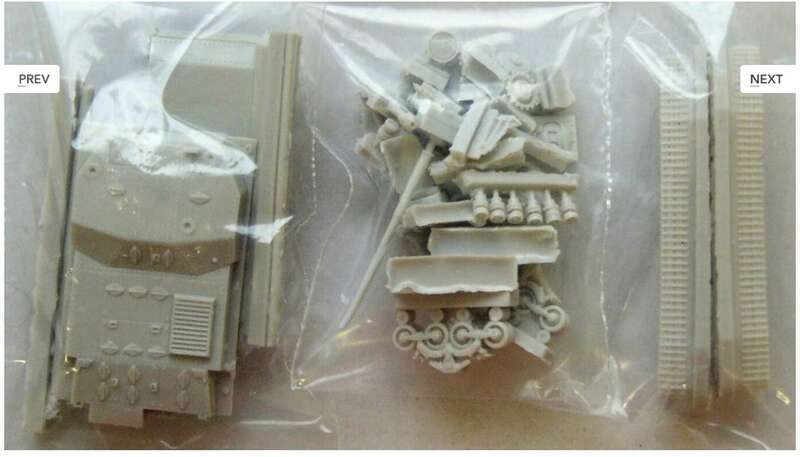 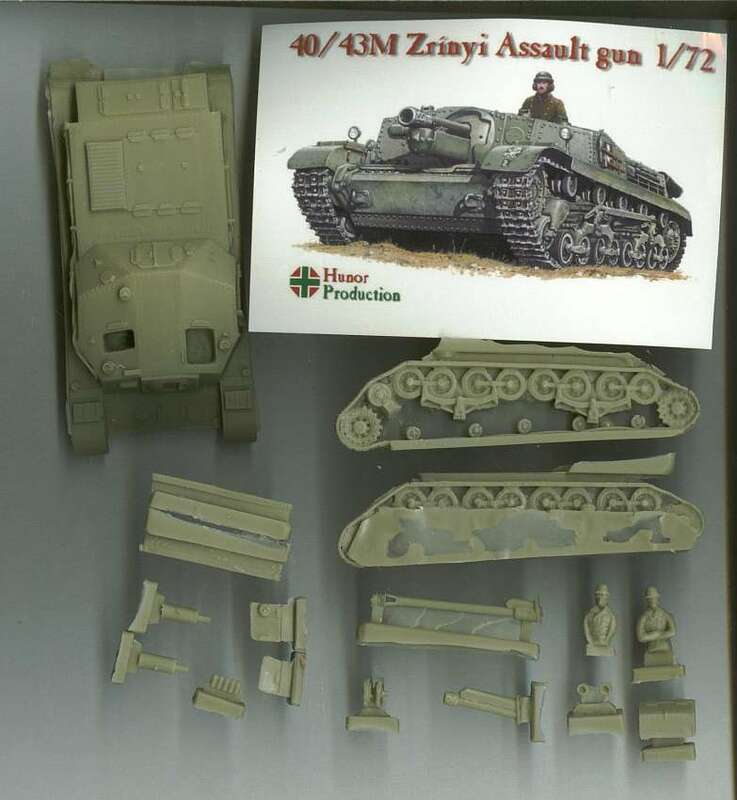 Kit 72200 - Armoured Train "Blasting Carriage"
August 2017: "Out of Production"
The Zrinyi kits with the 75mm an the 105 mm guns are the same kit, exept from the guns. 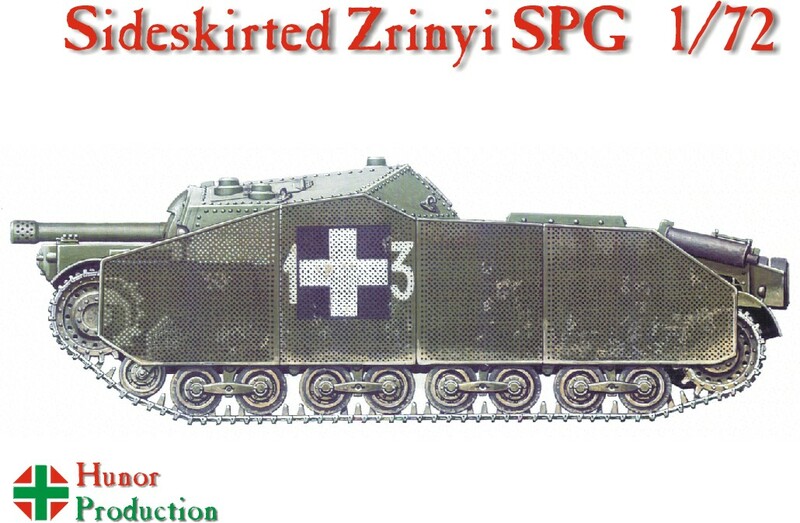 The 44M Zrínyi I, incorporated a long 43M 75mm gun, but it did not pass the prototype stage. 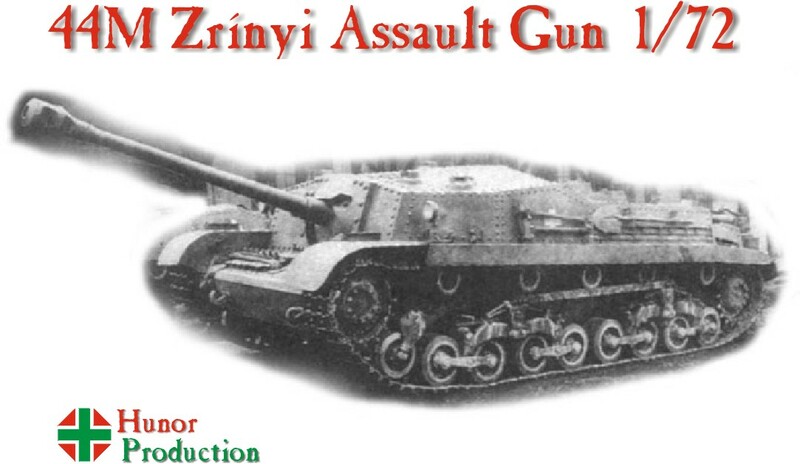 The 40/43M Zrínyi II was armed with a 40M 105mm L/20 howitzer. 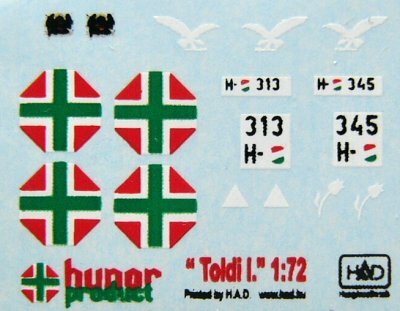 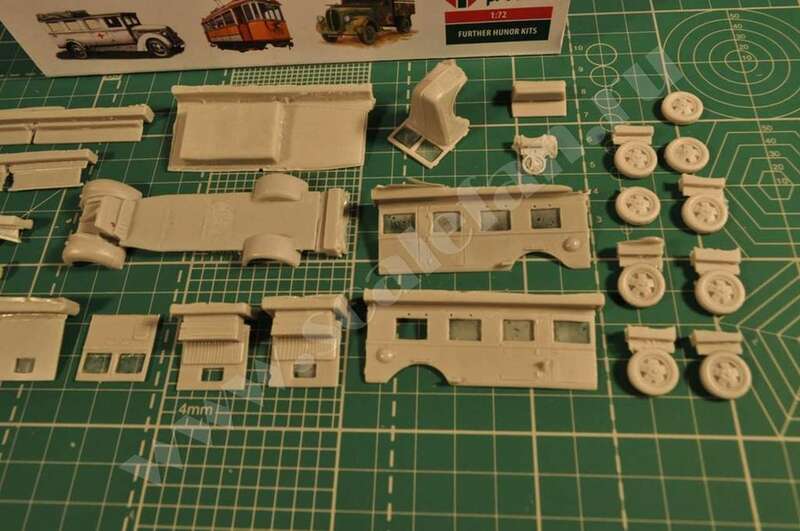 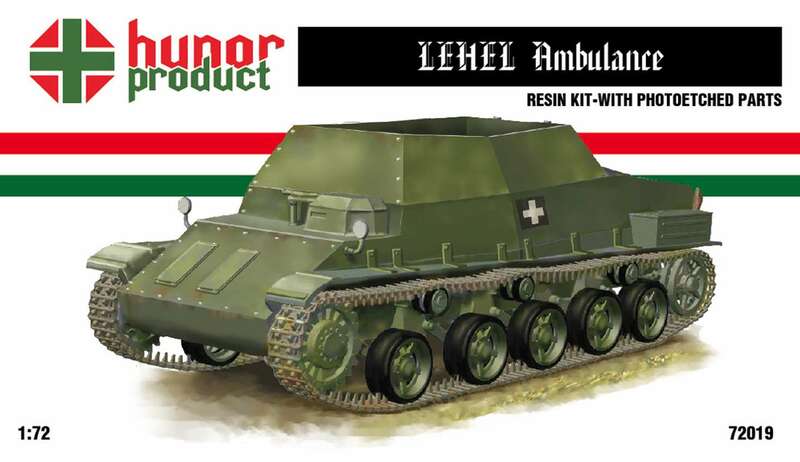 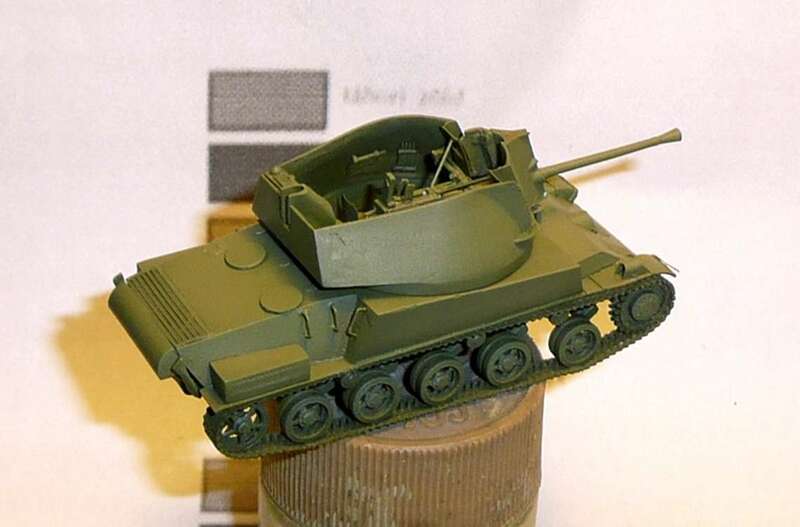 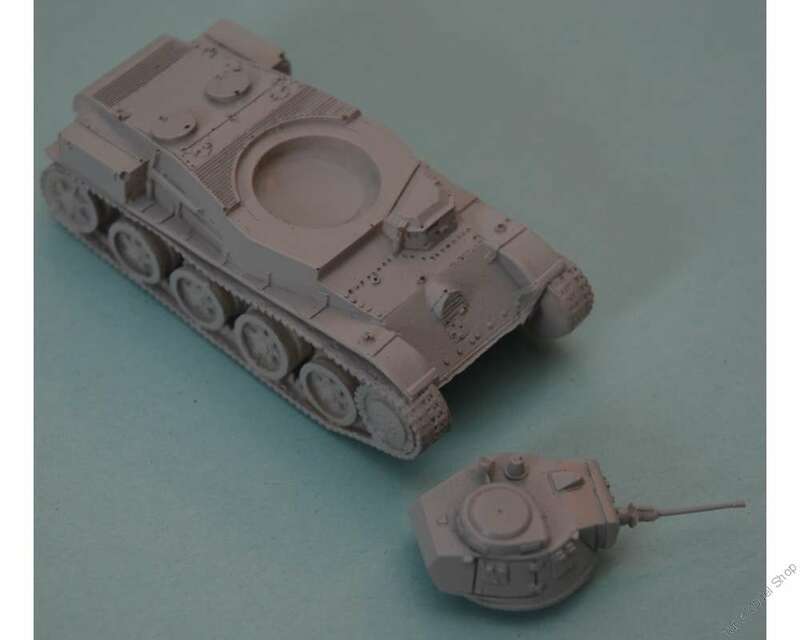 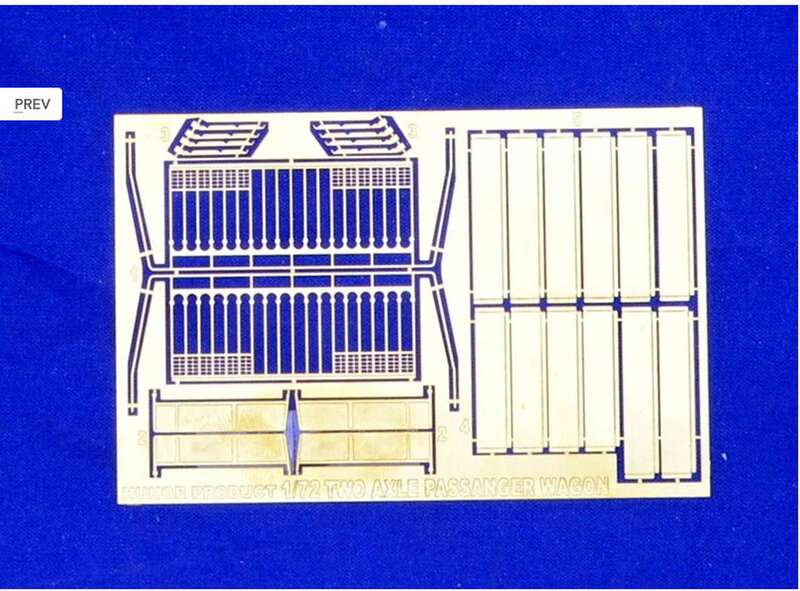 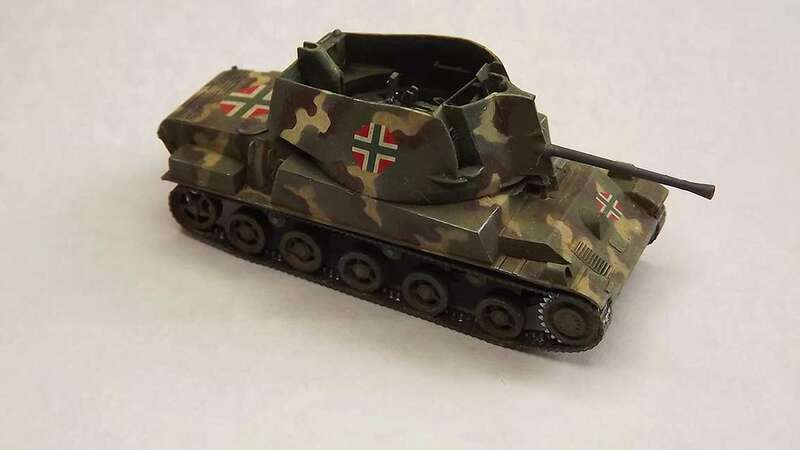 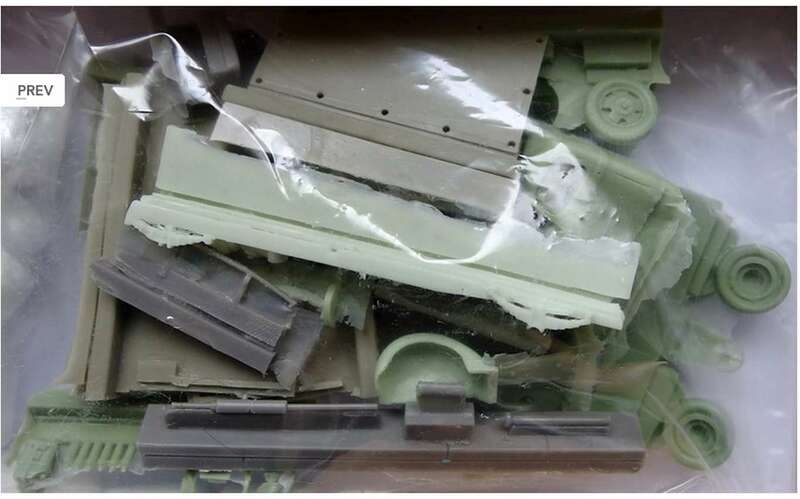 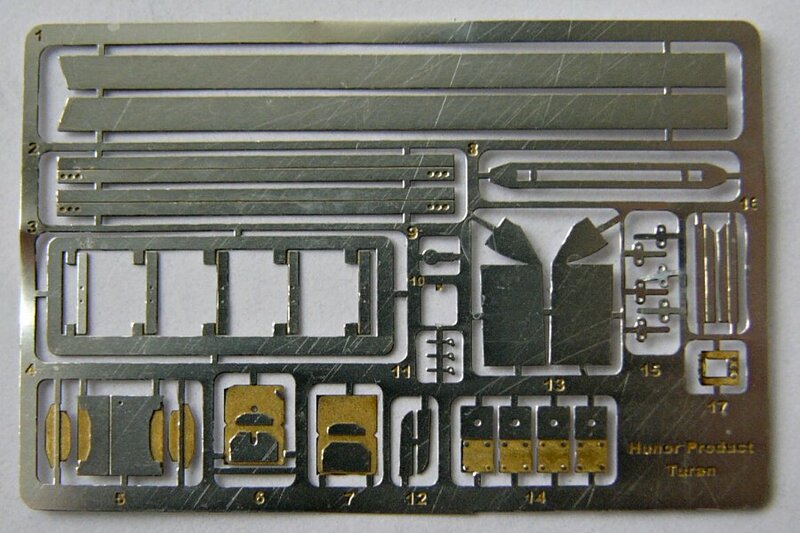 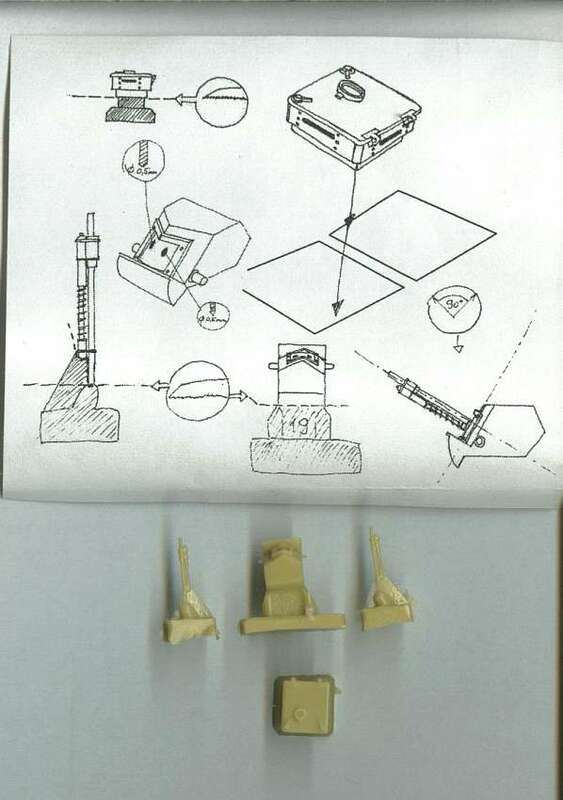 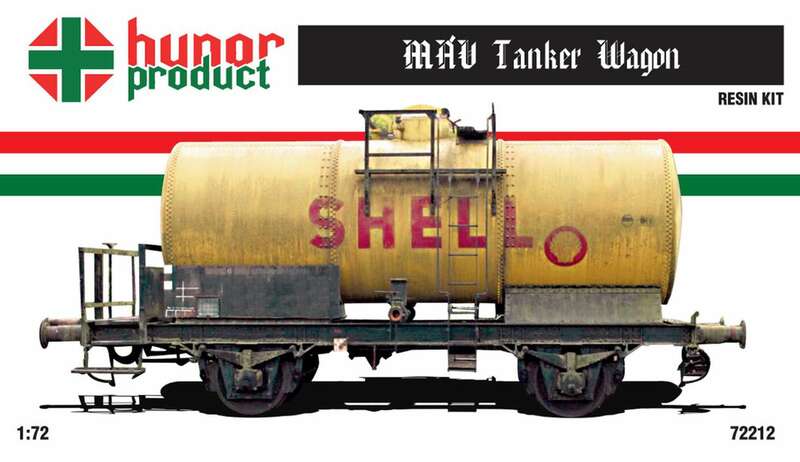 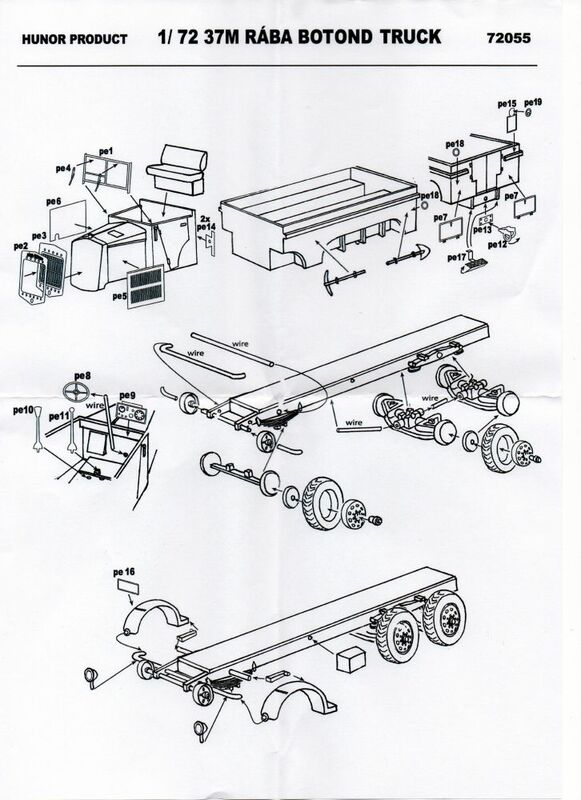 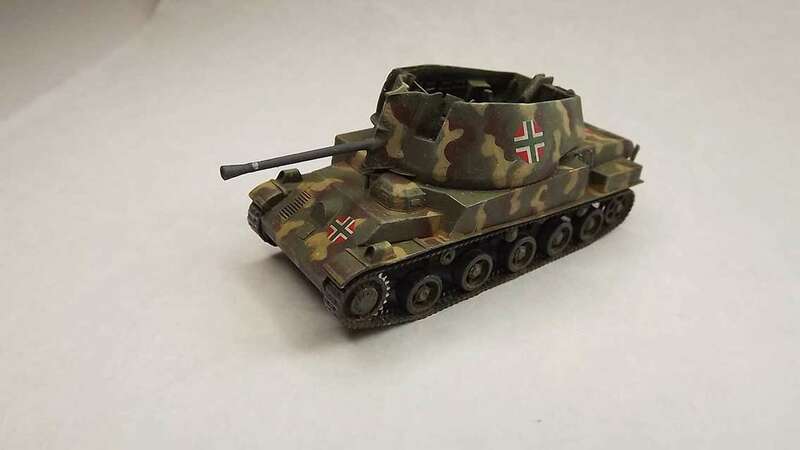 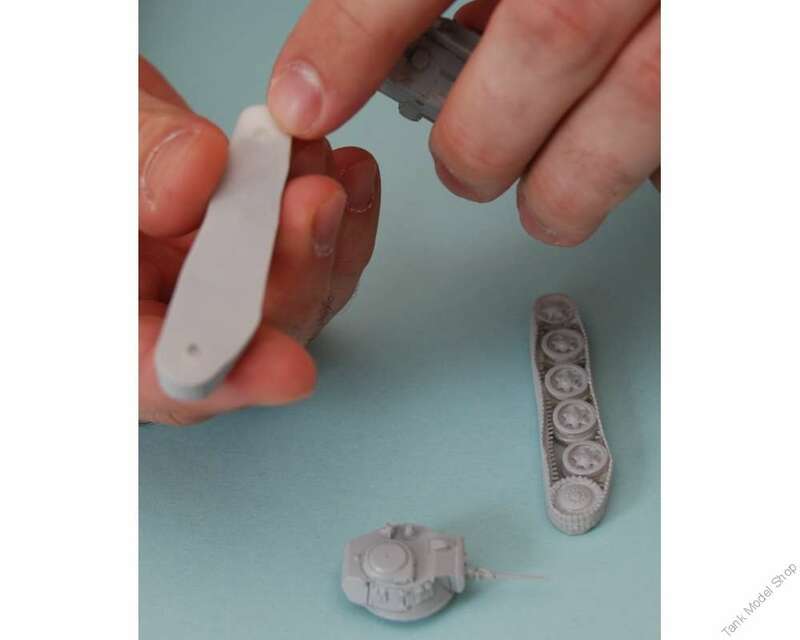 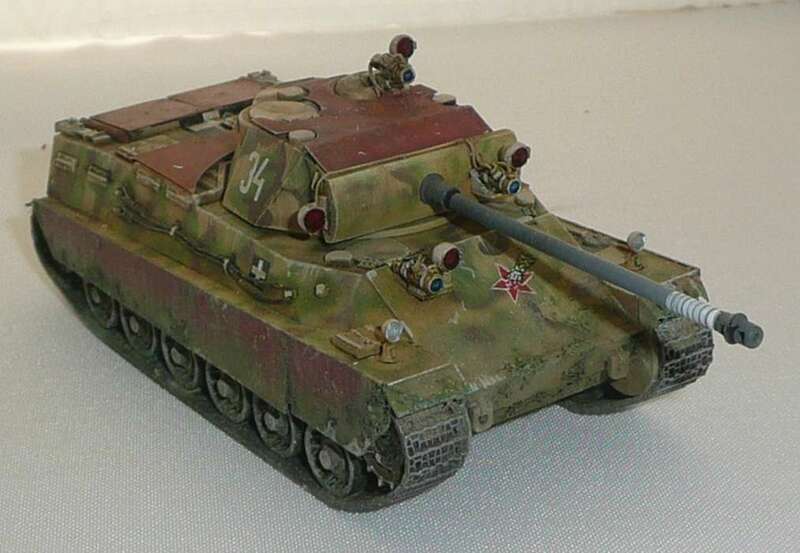 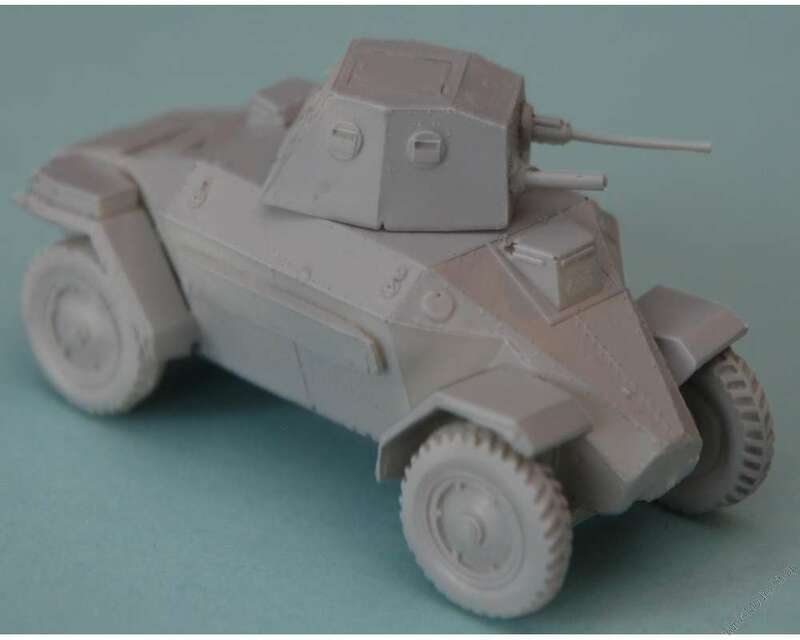 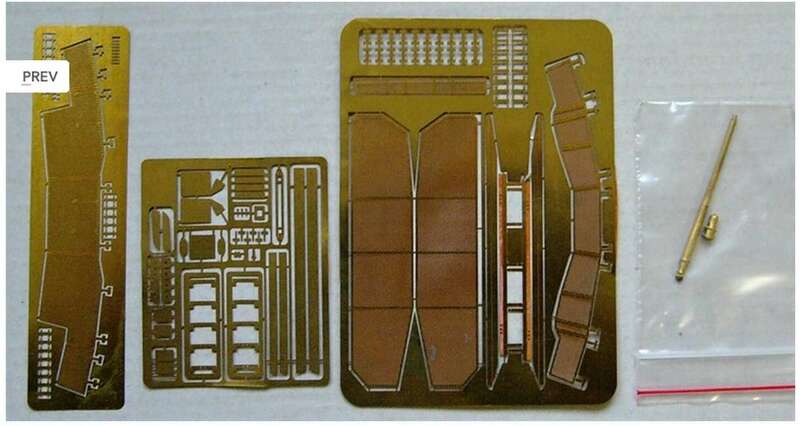 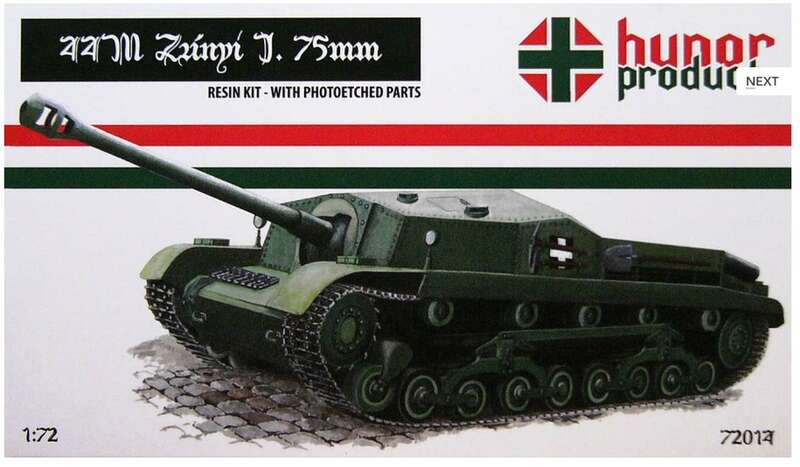 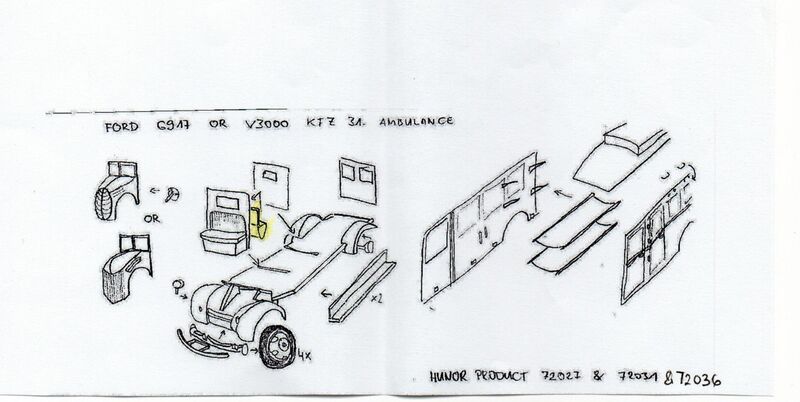 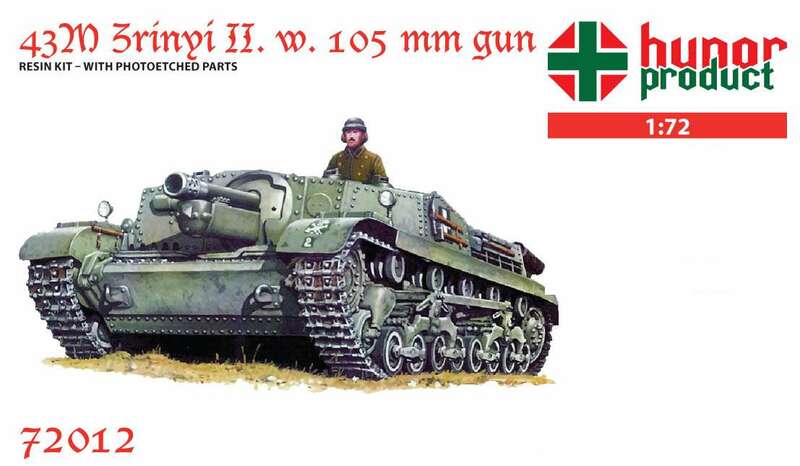 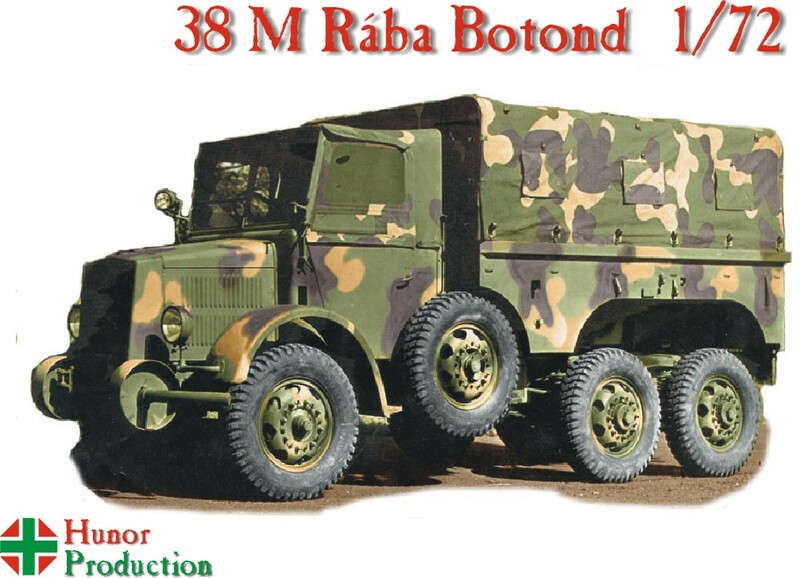 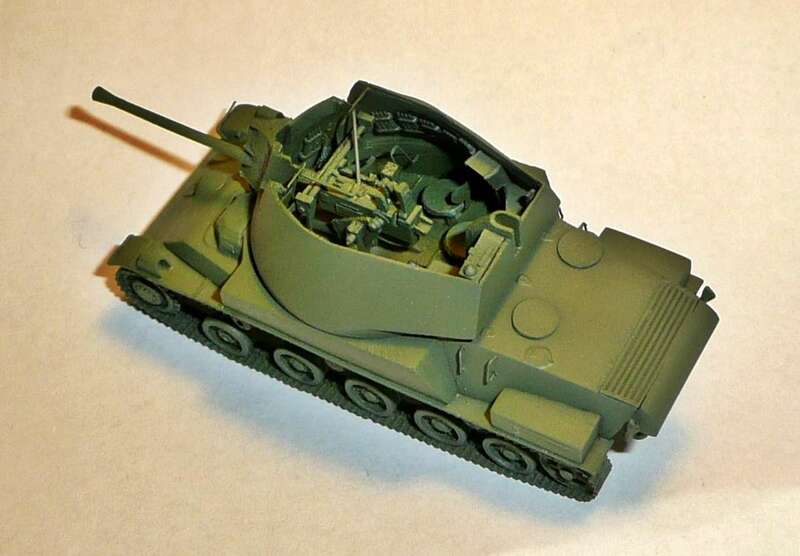 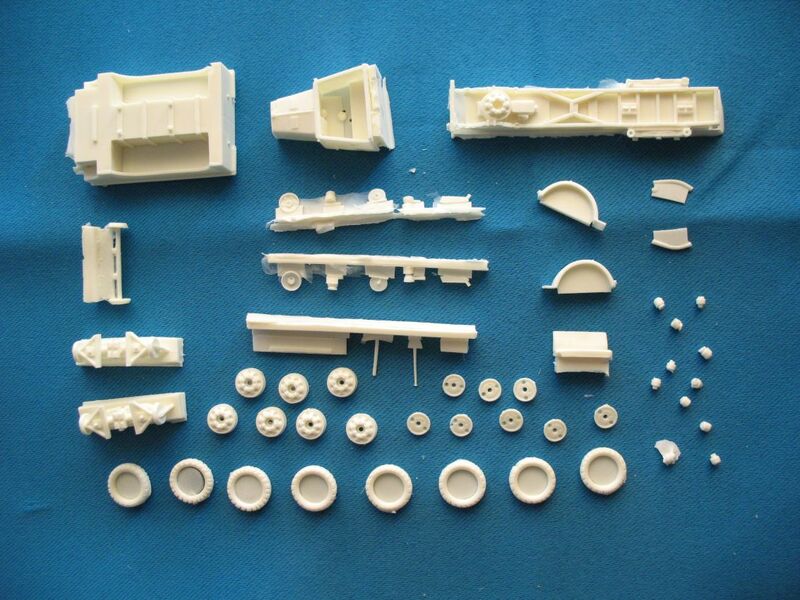 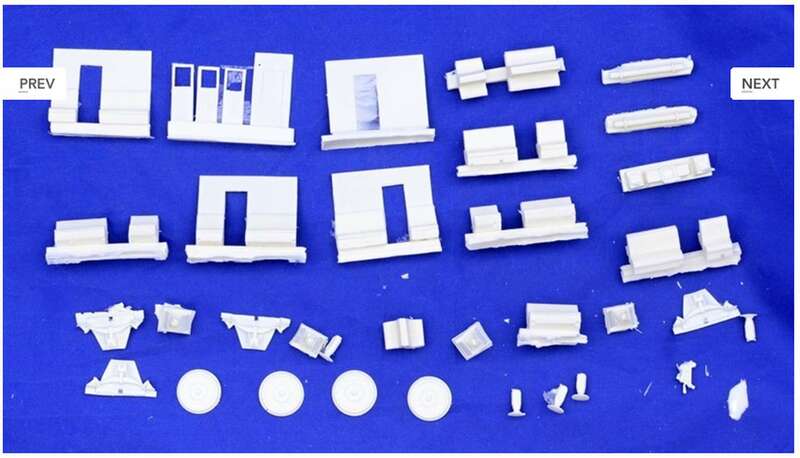 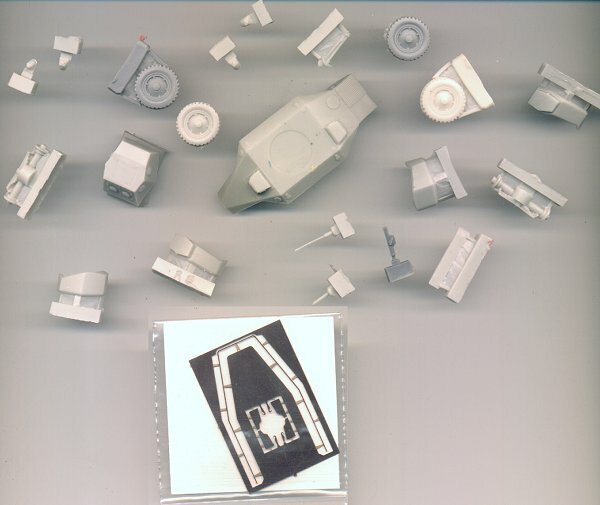 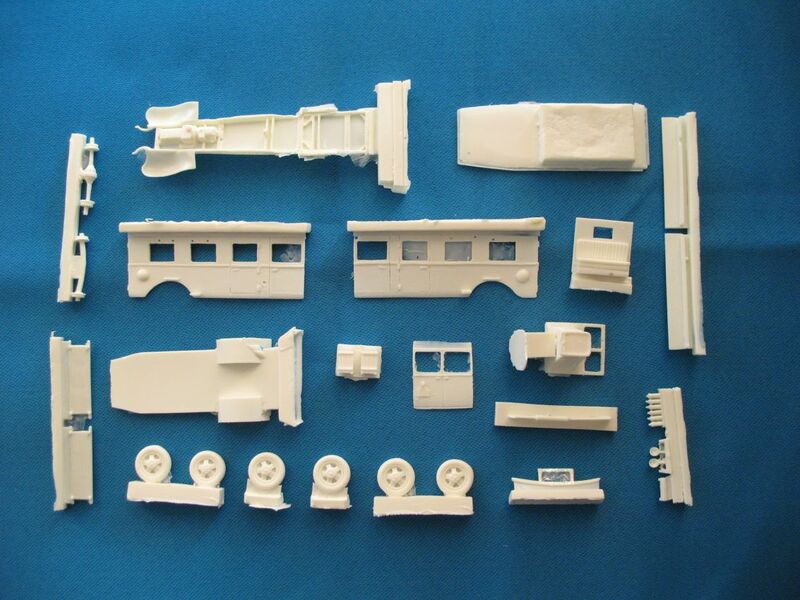 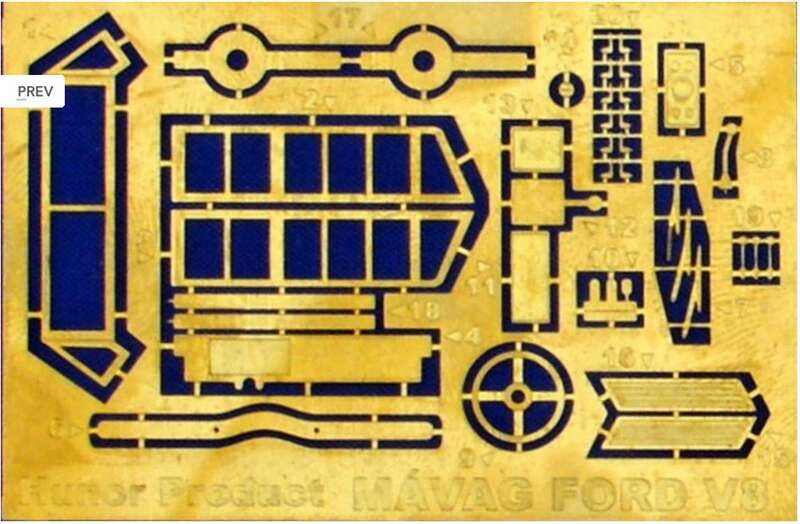 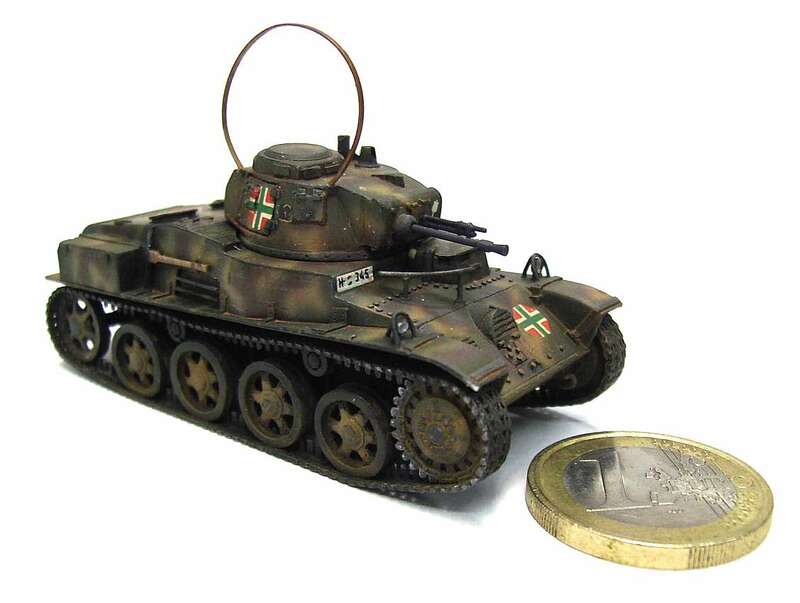 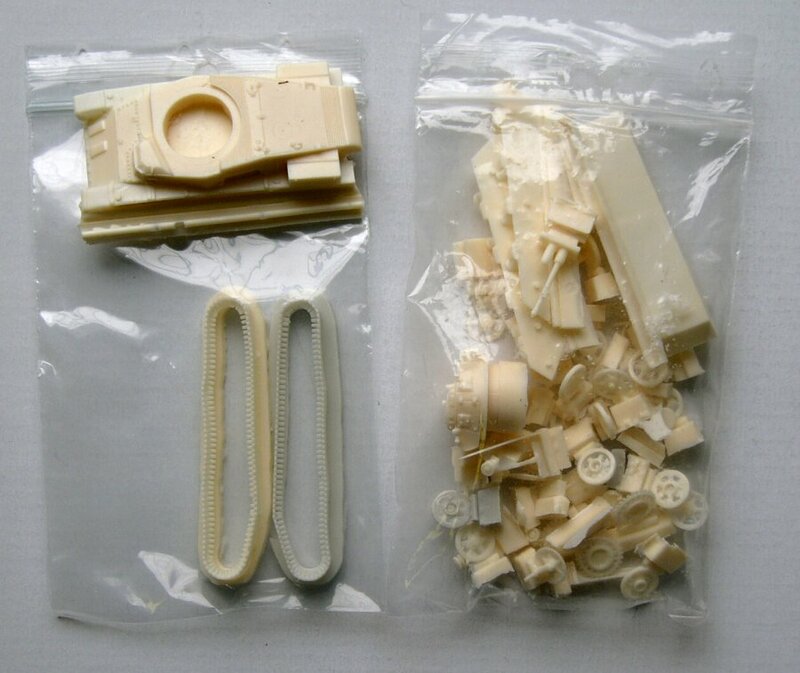 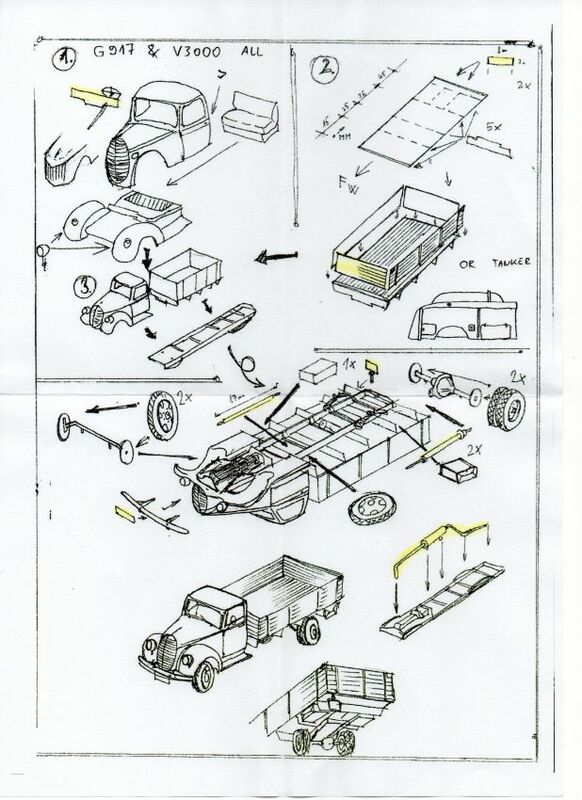 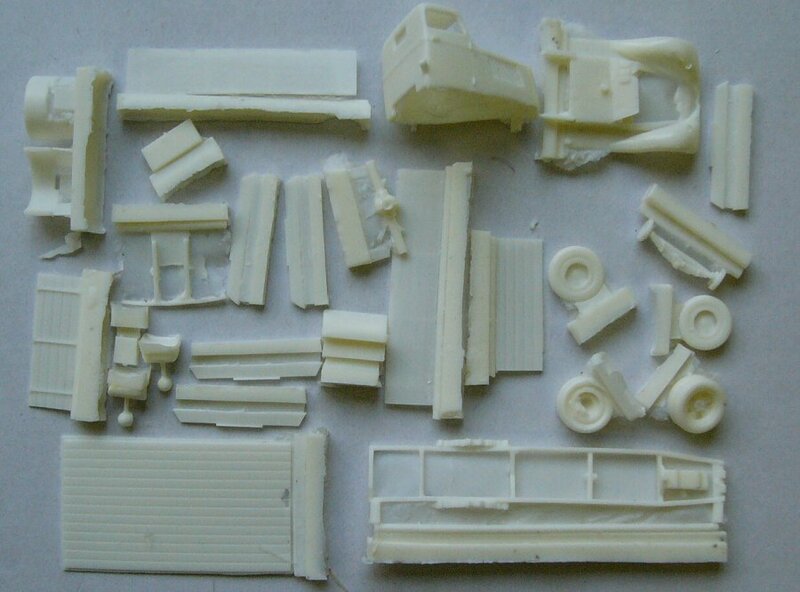 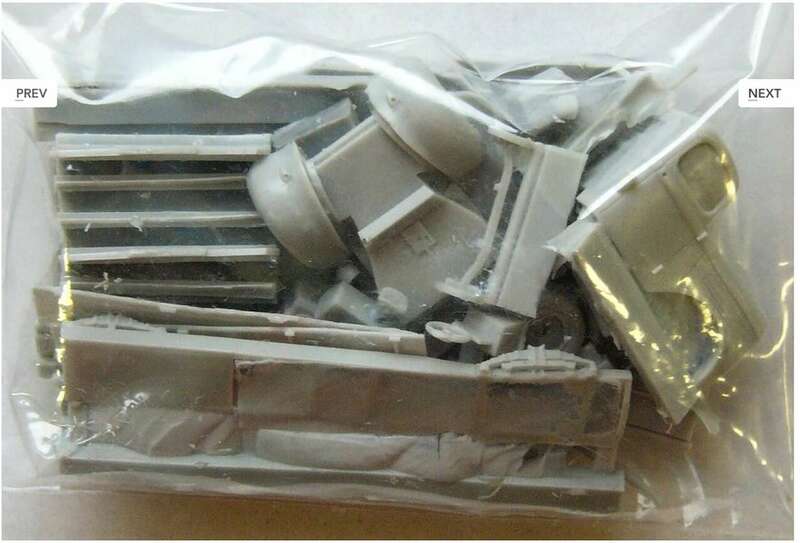 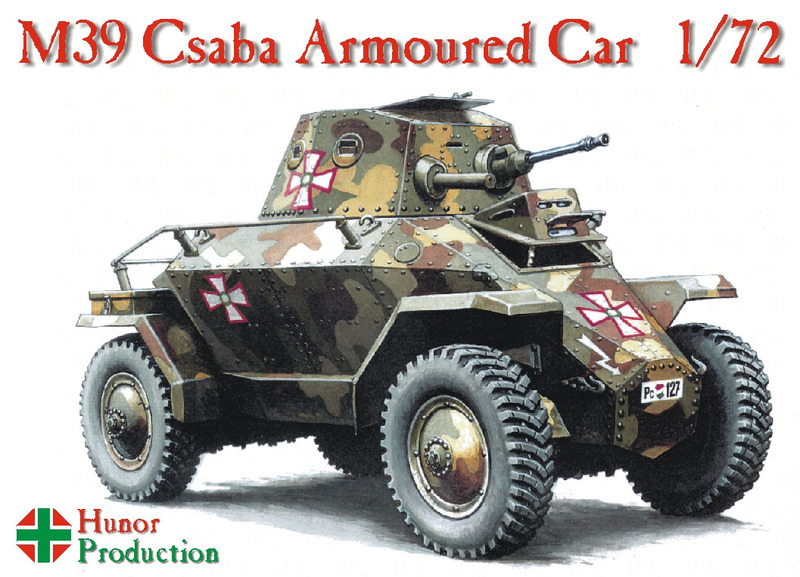 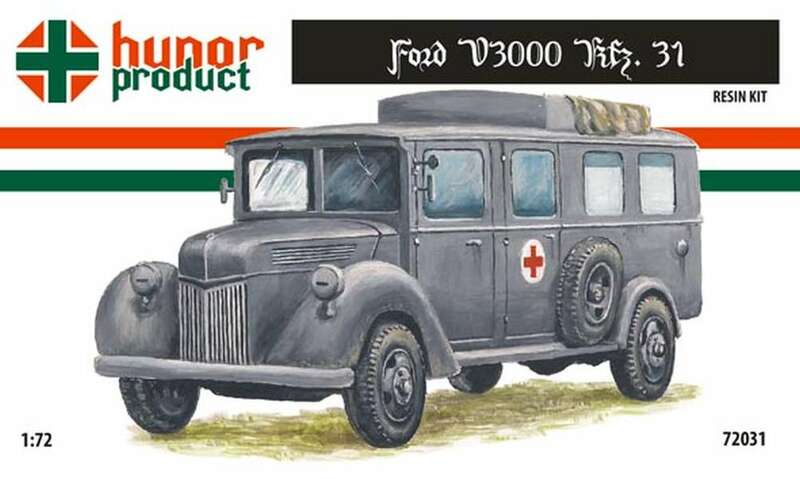 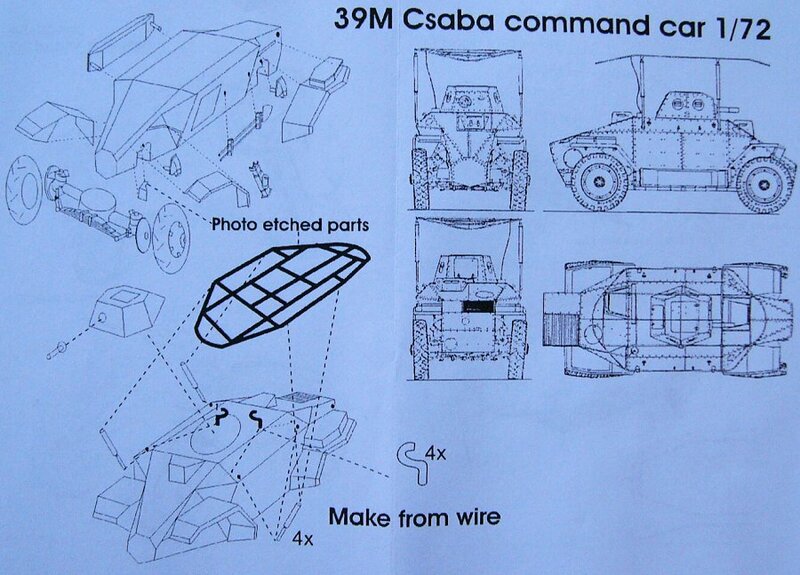 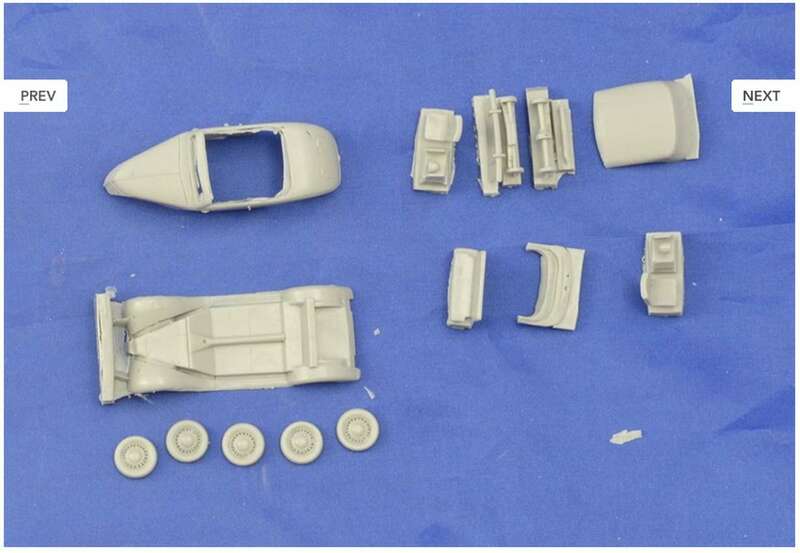 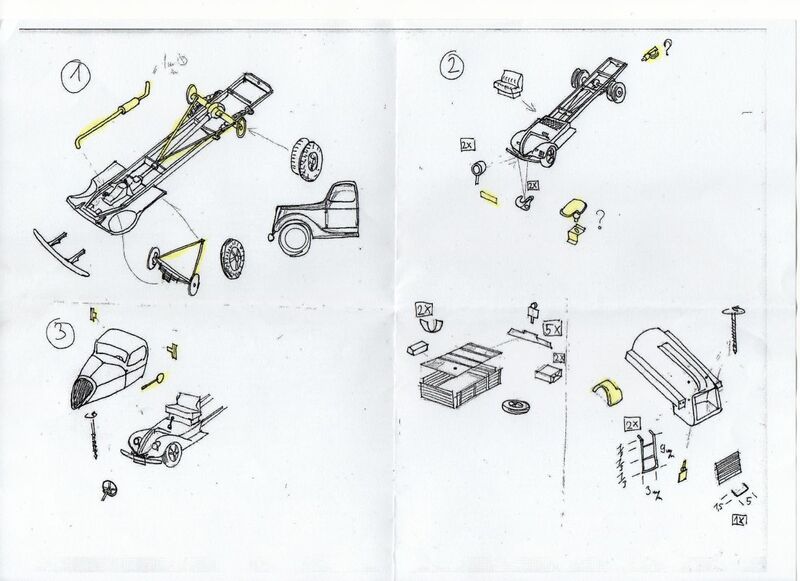 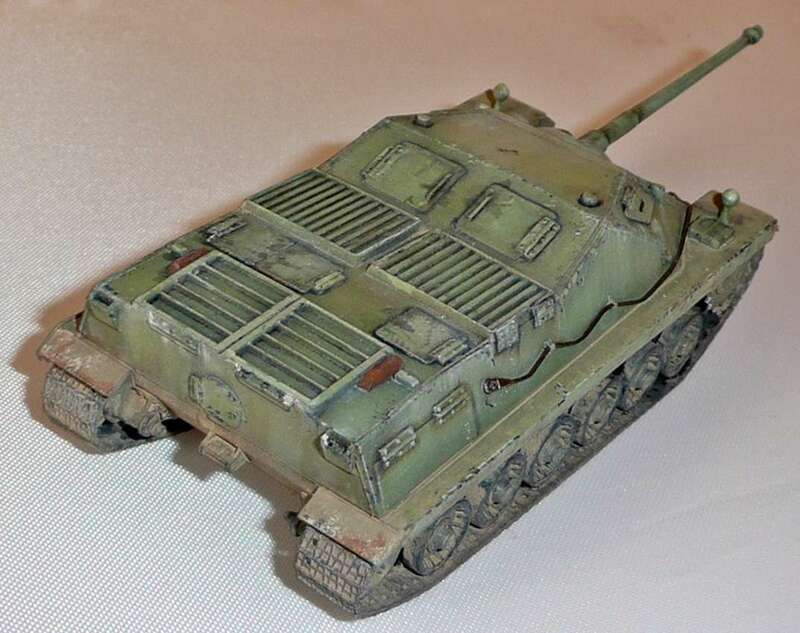 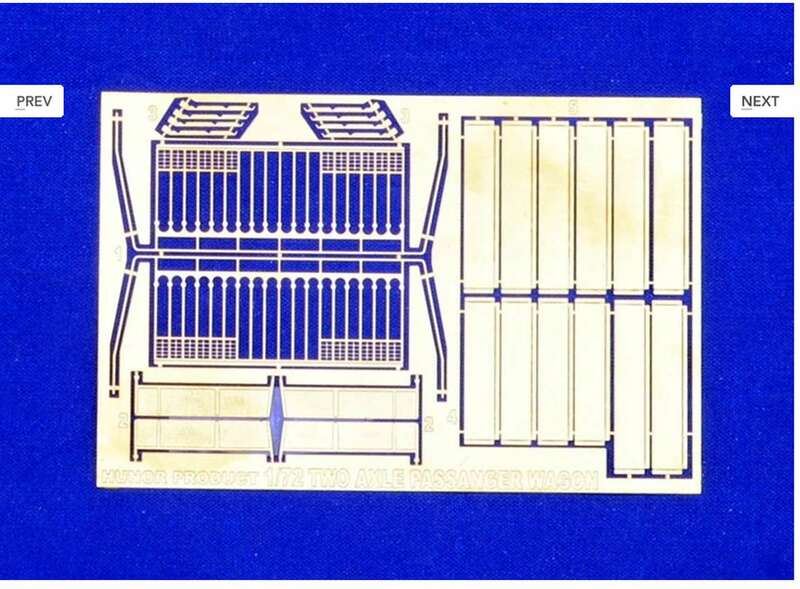 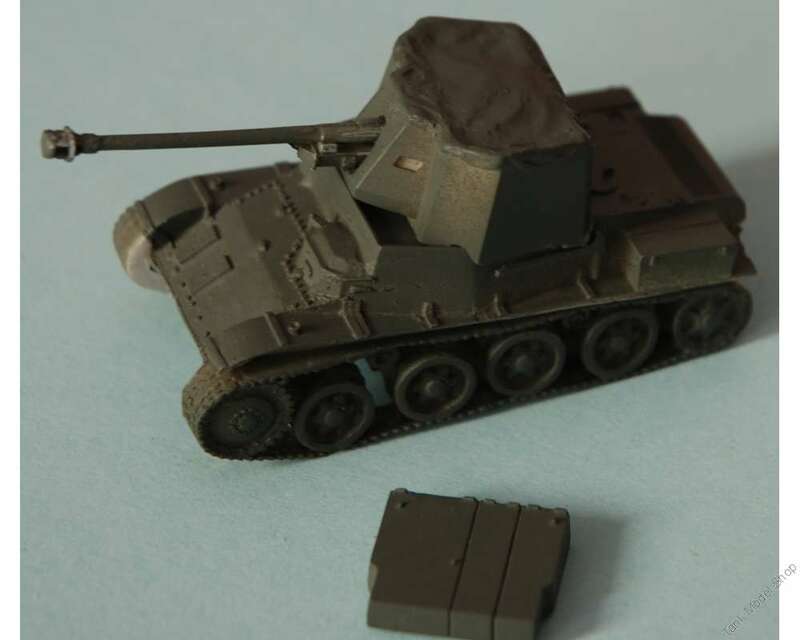 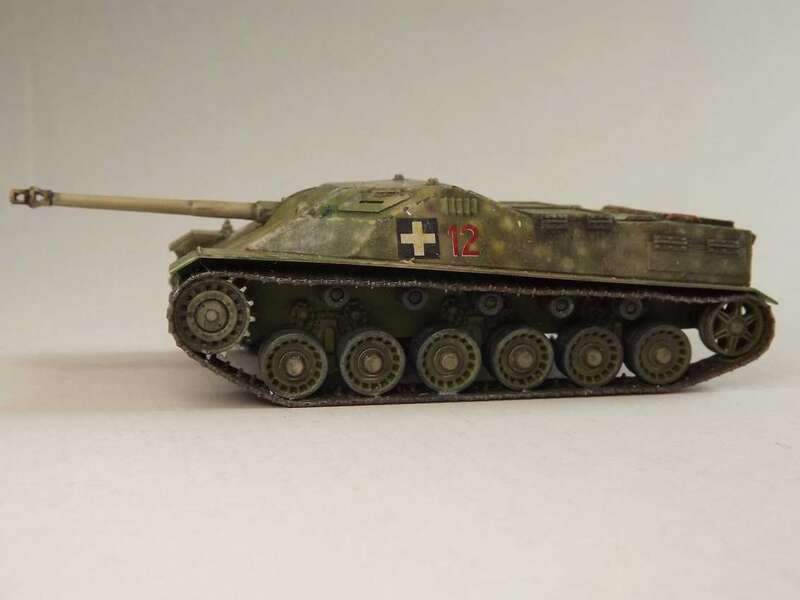 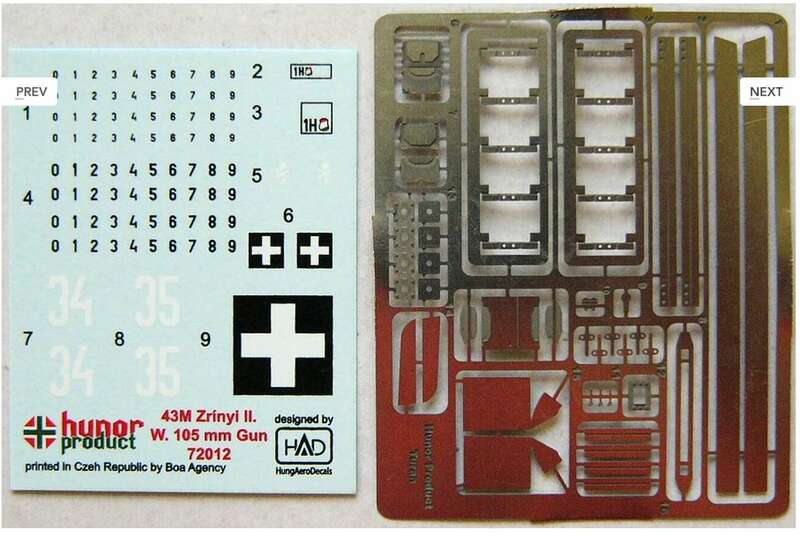 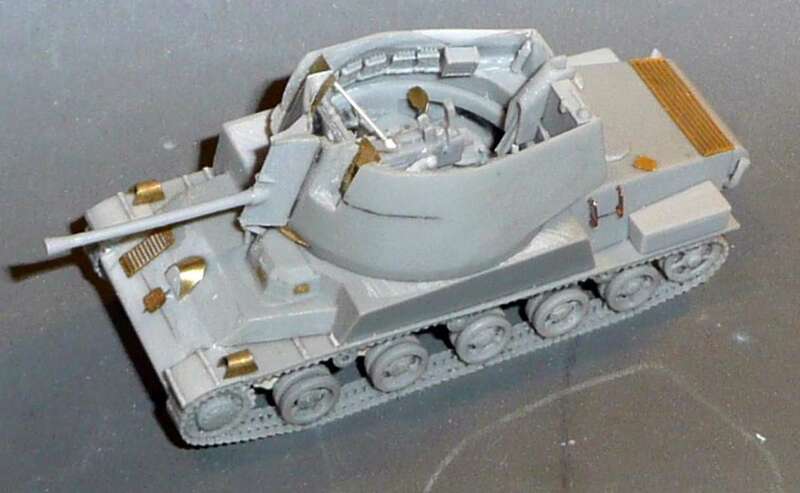 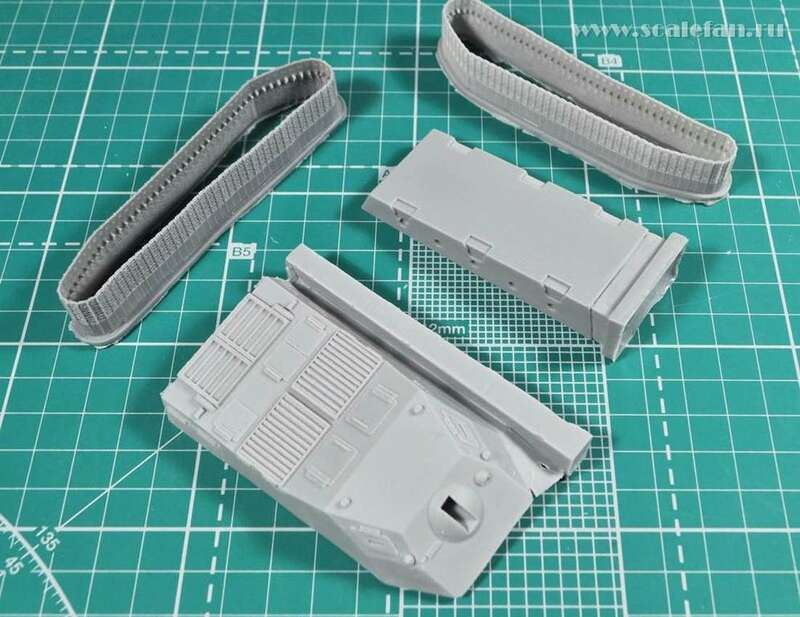 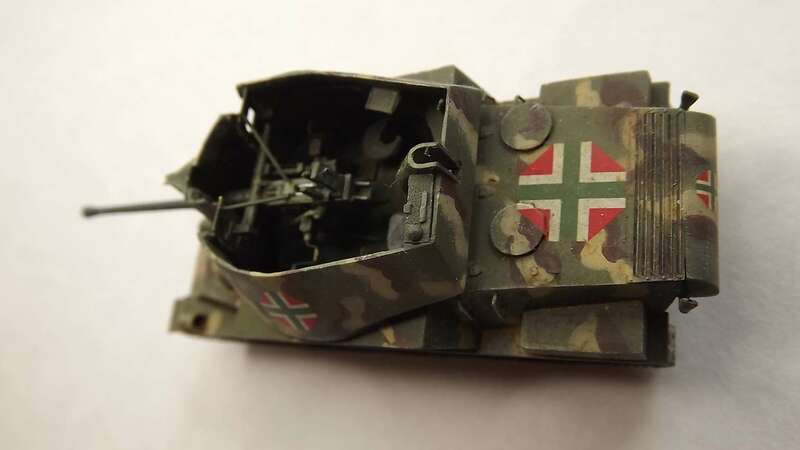 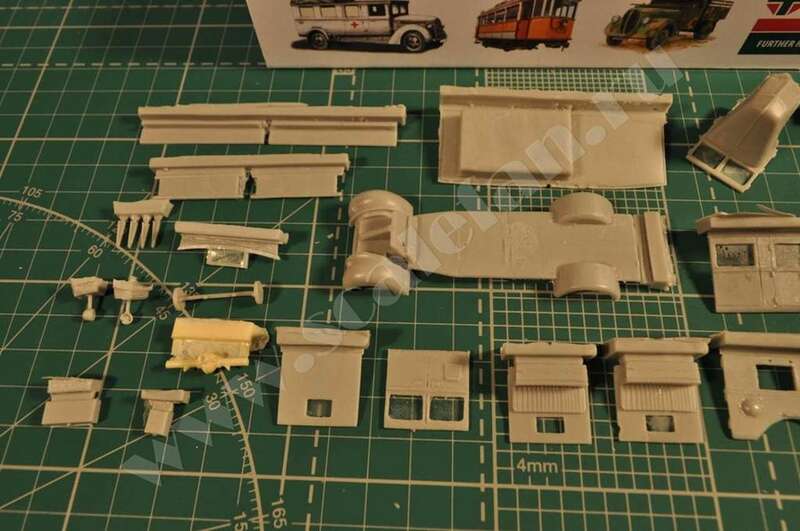 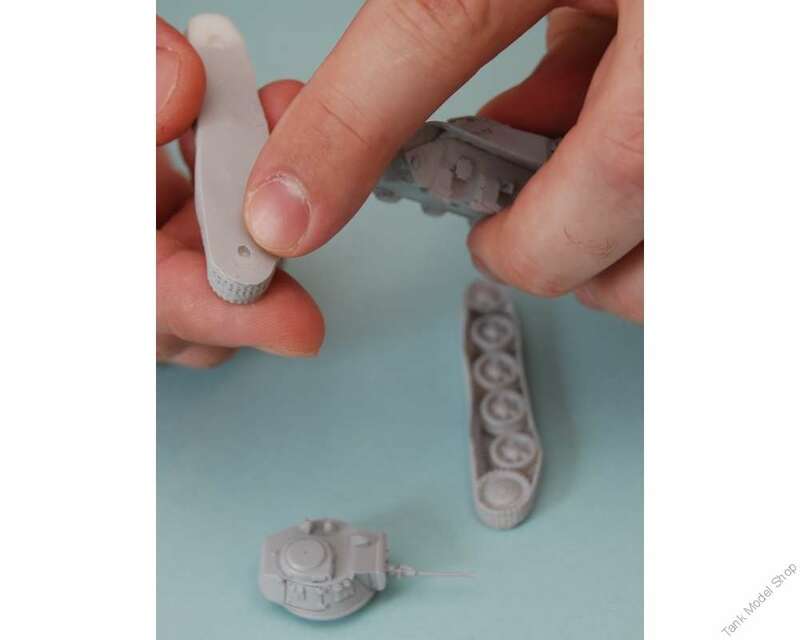 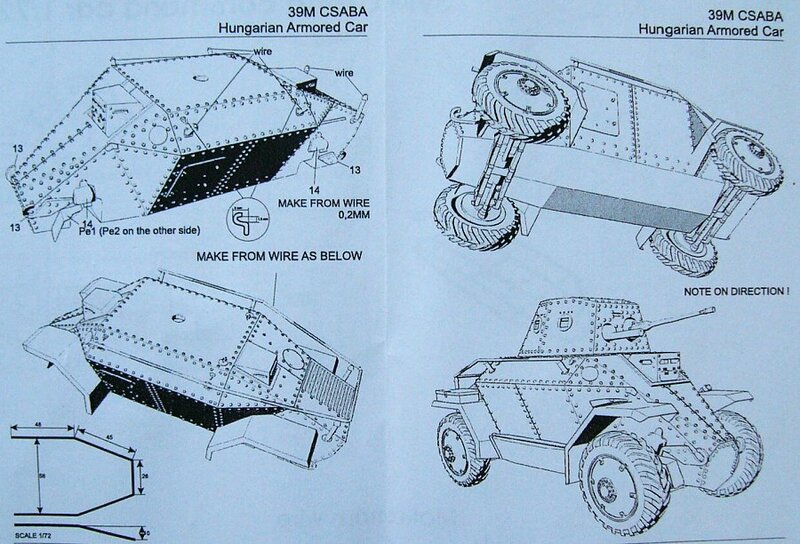 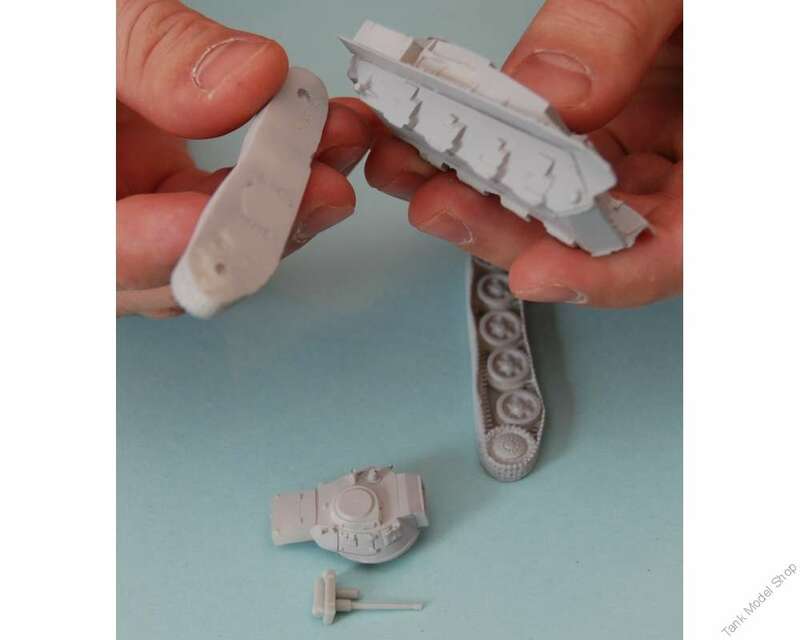 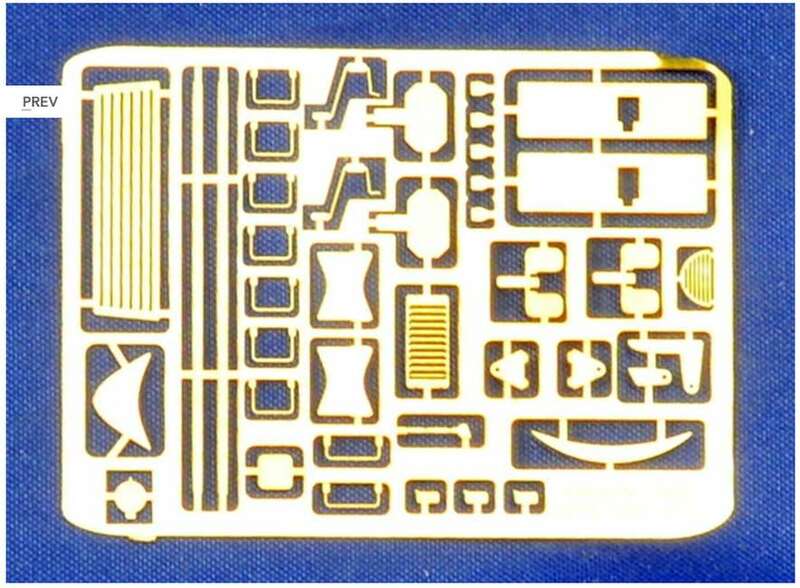 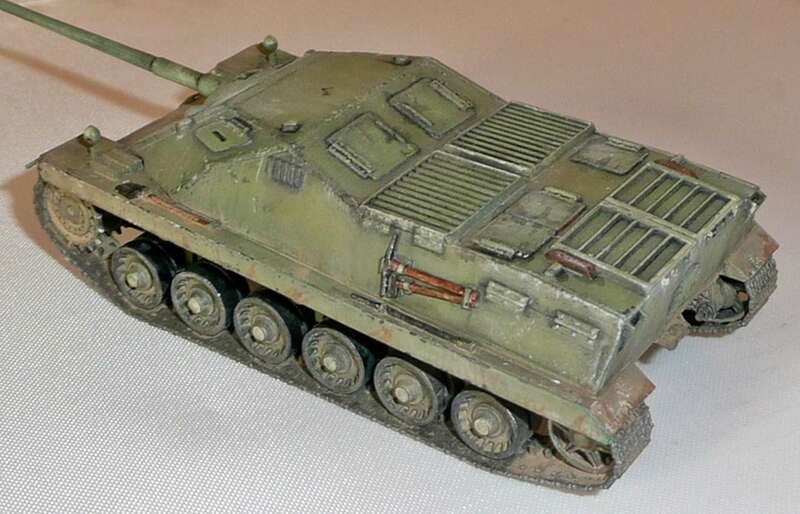 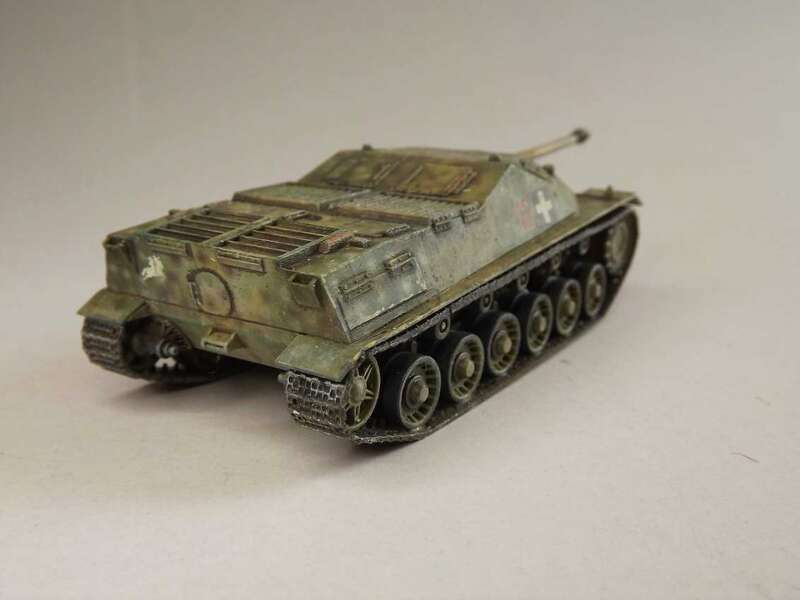 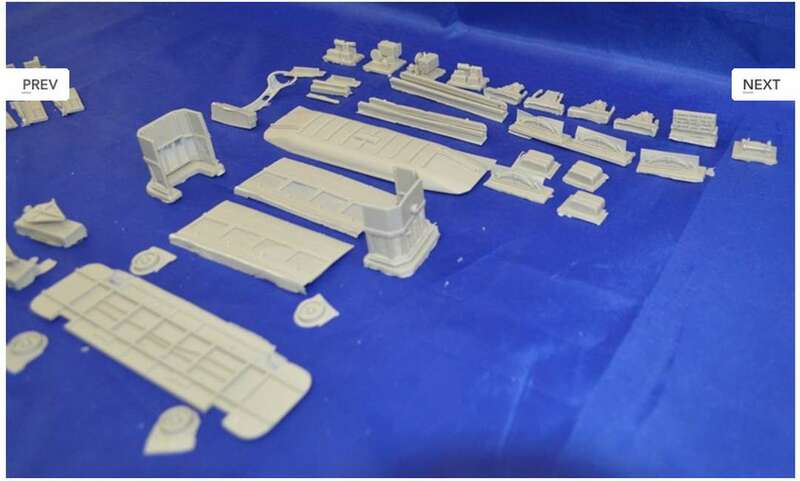 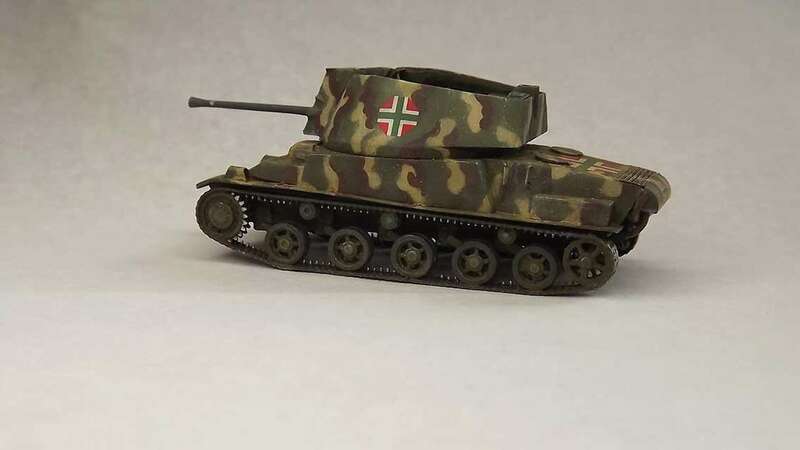 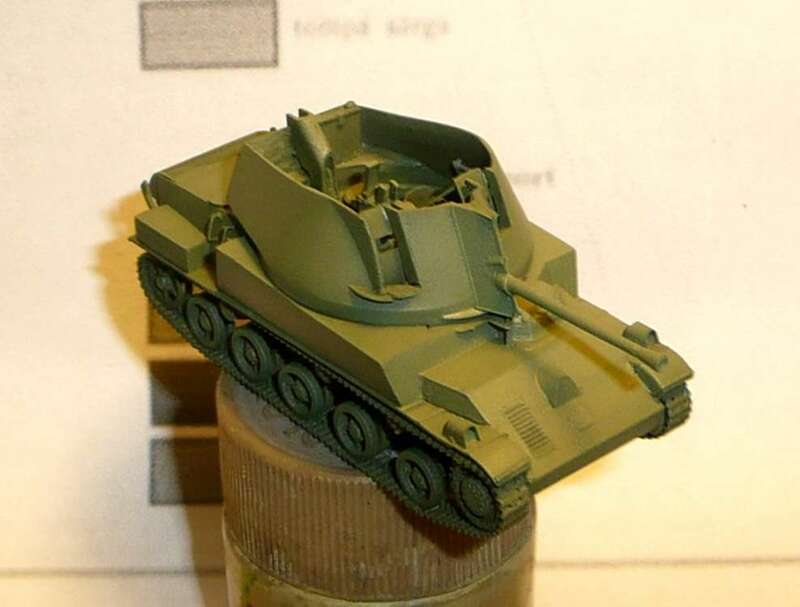 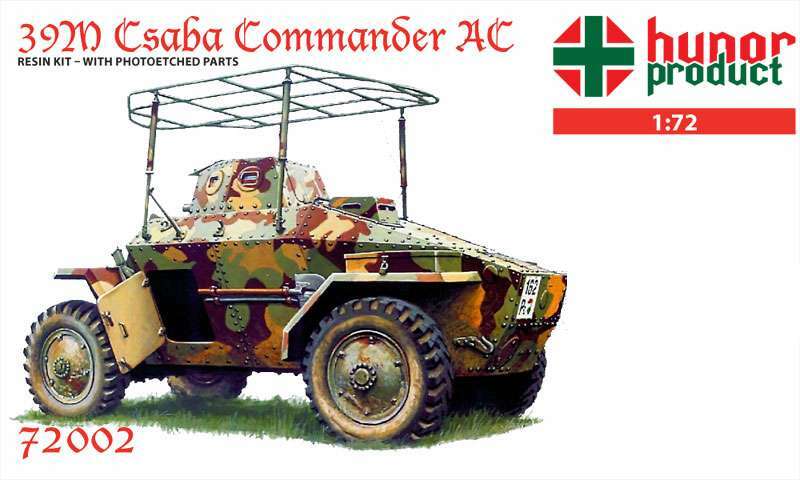 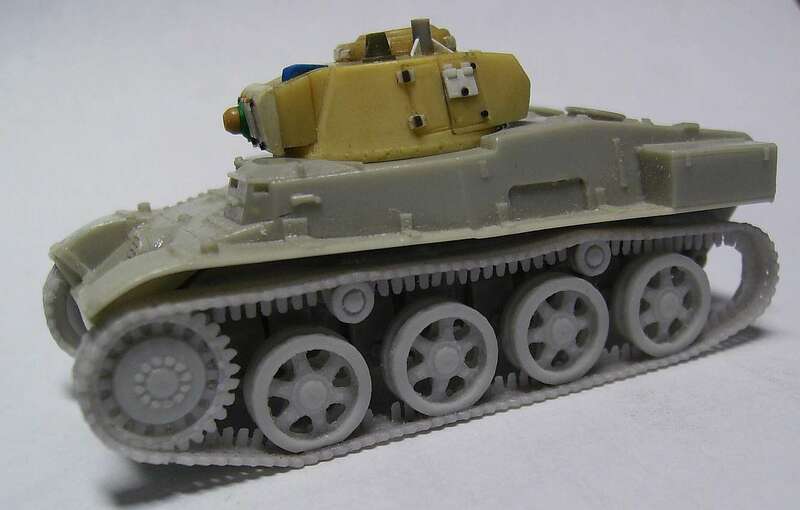 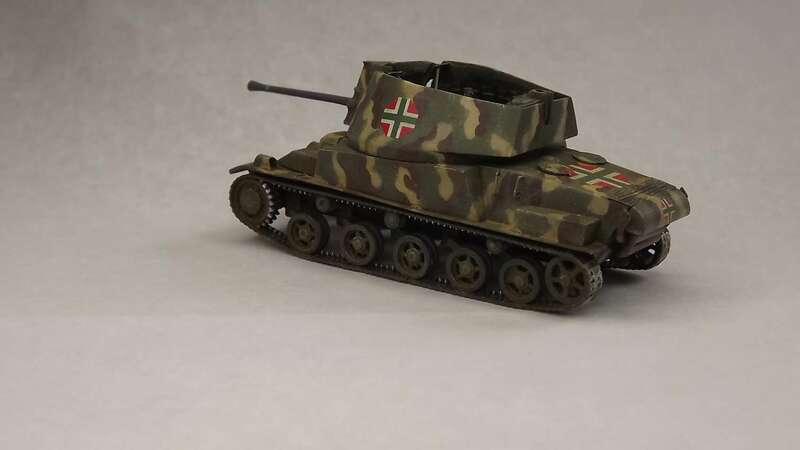 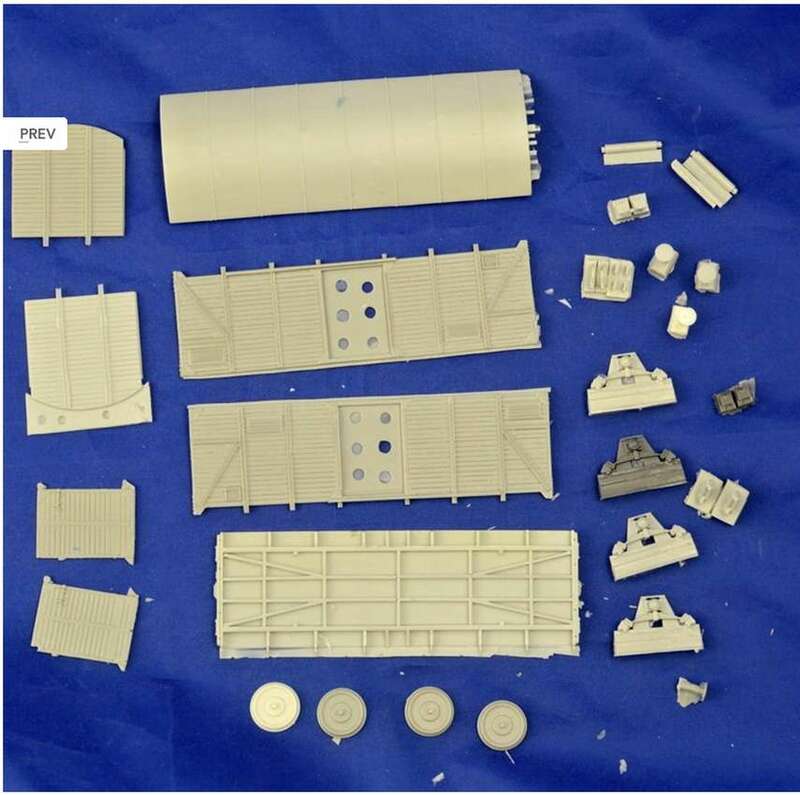 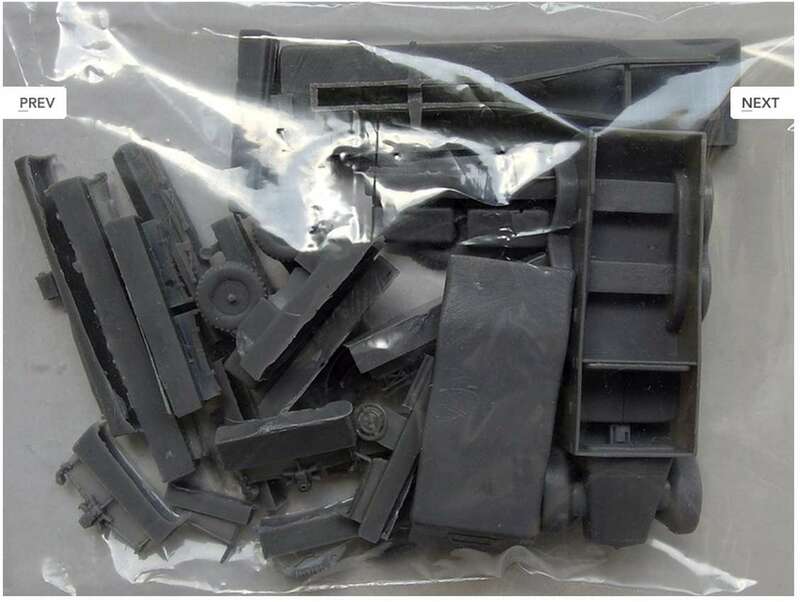 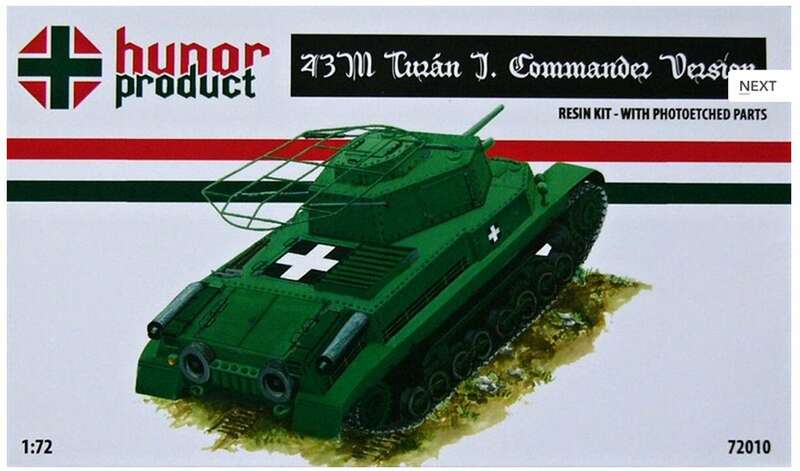 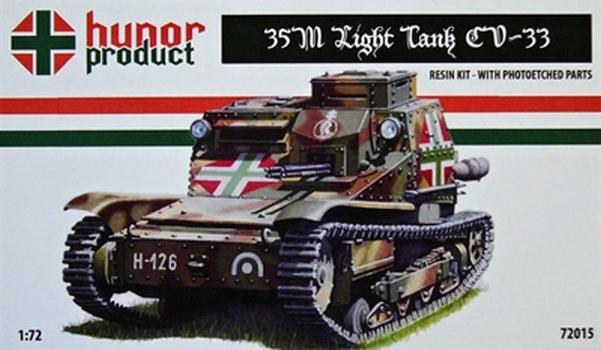 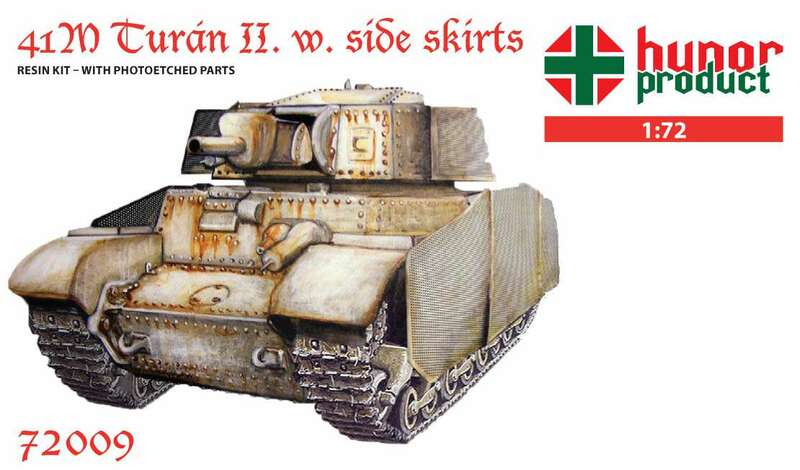 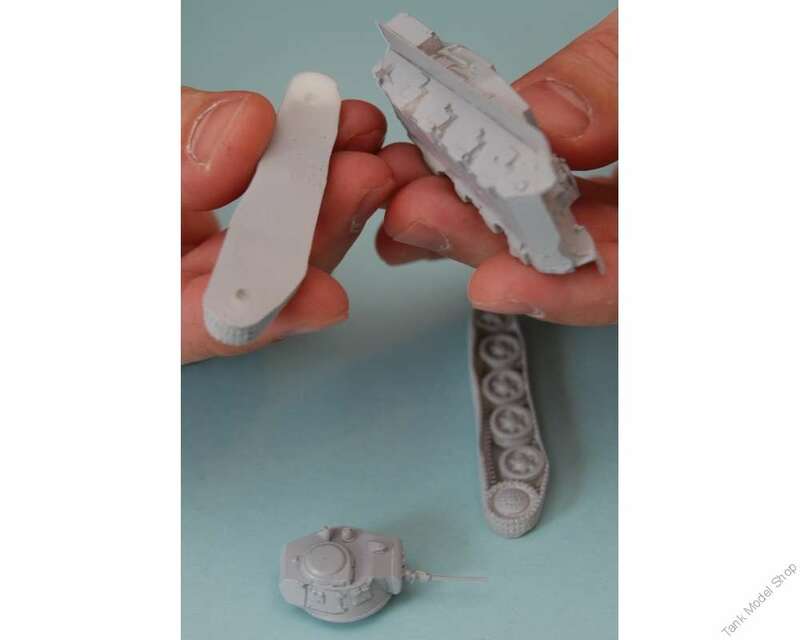 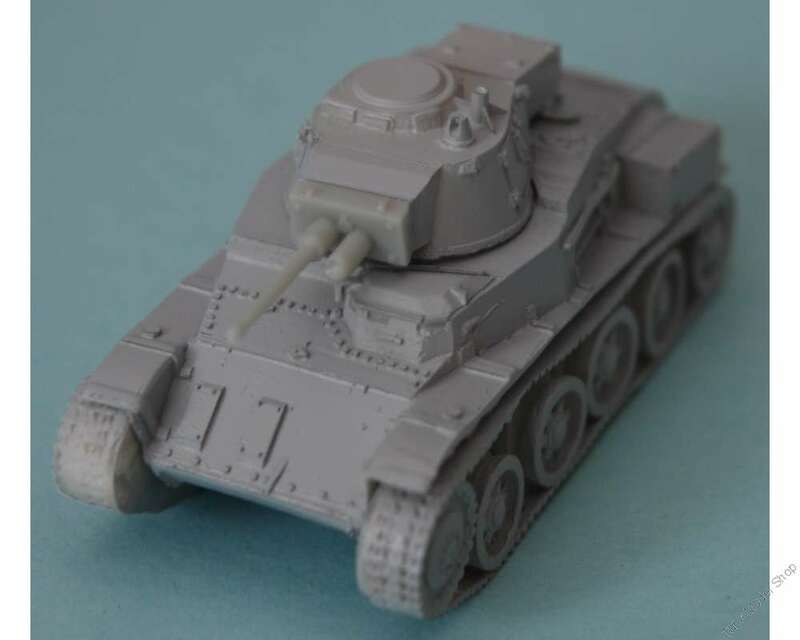 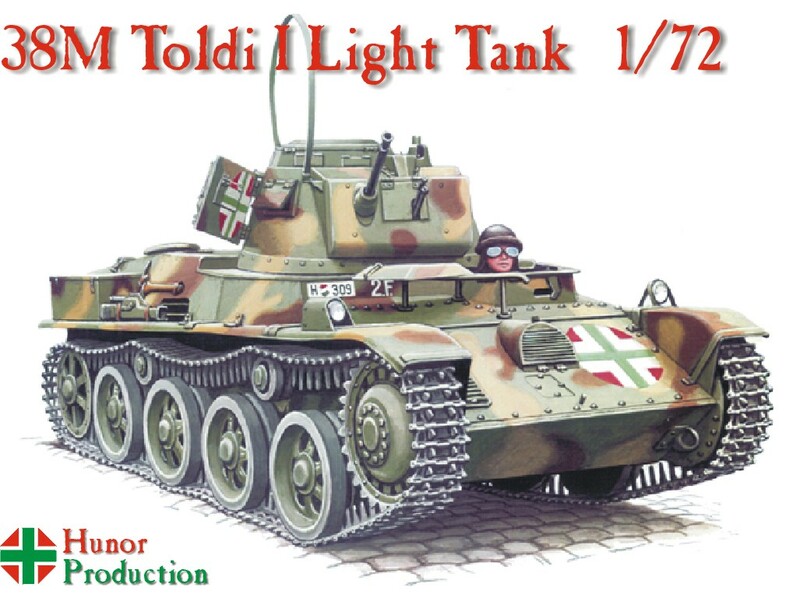 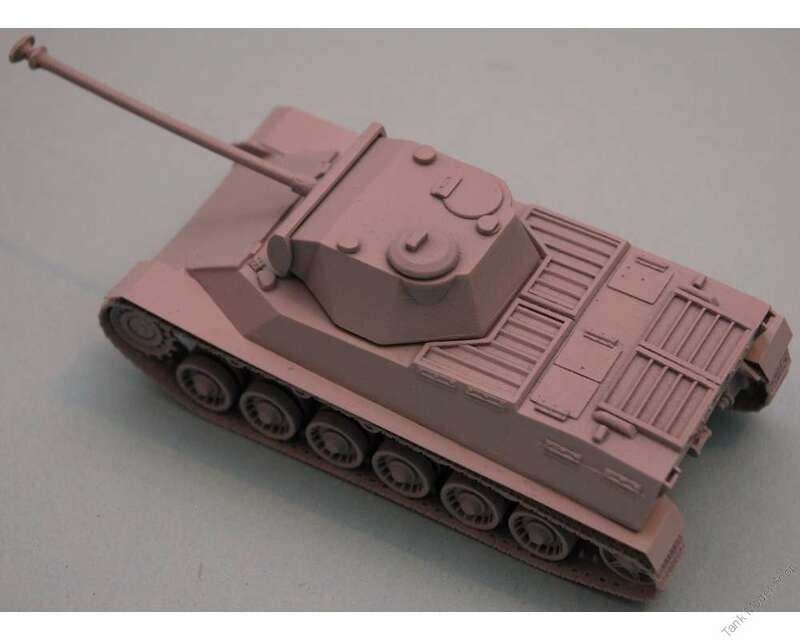 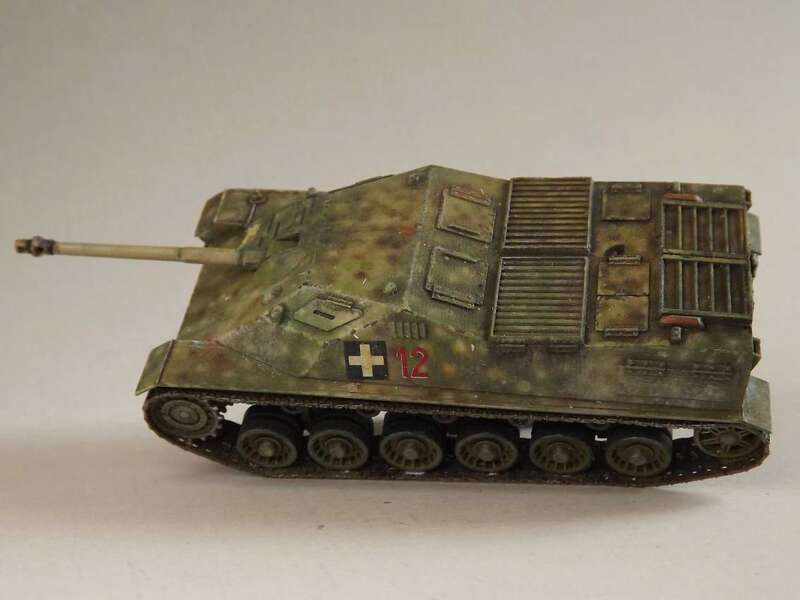 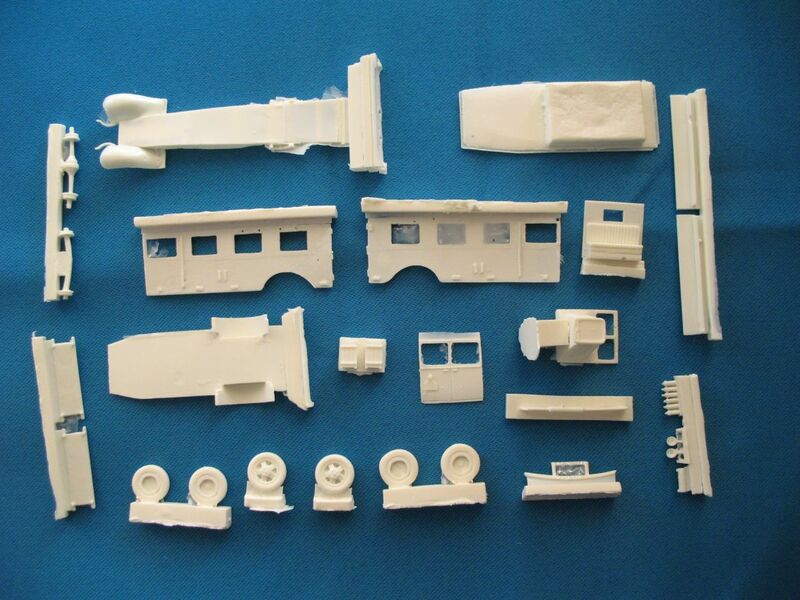 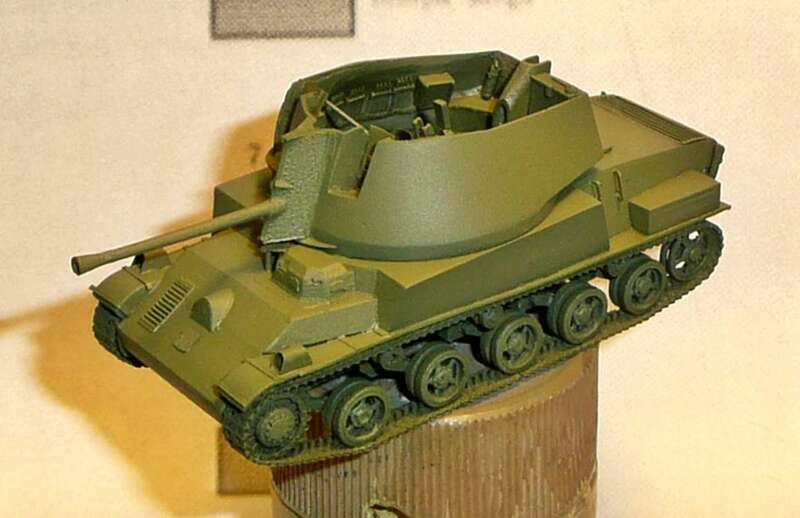 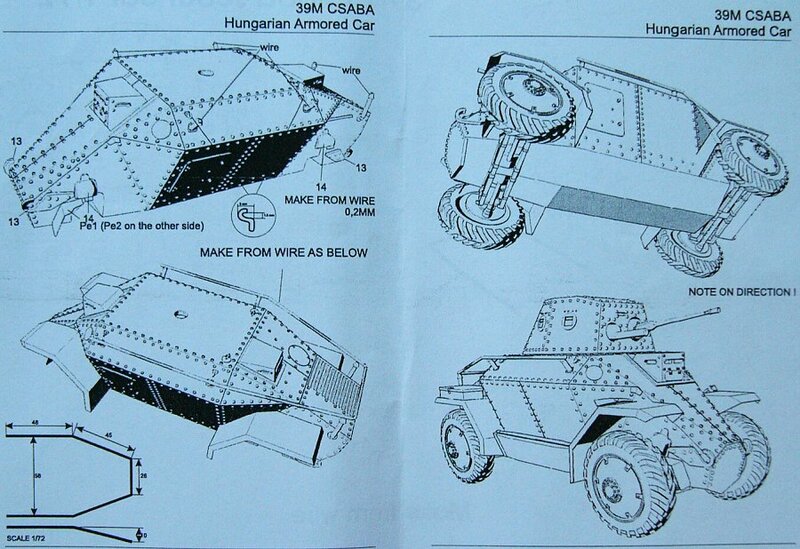 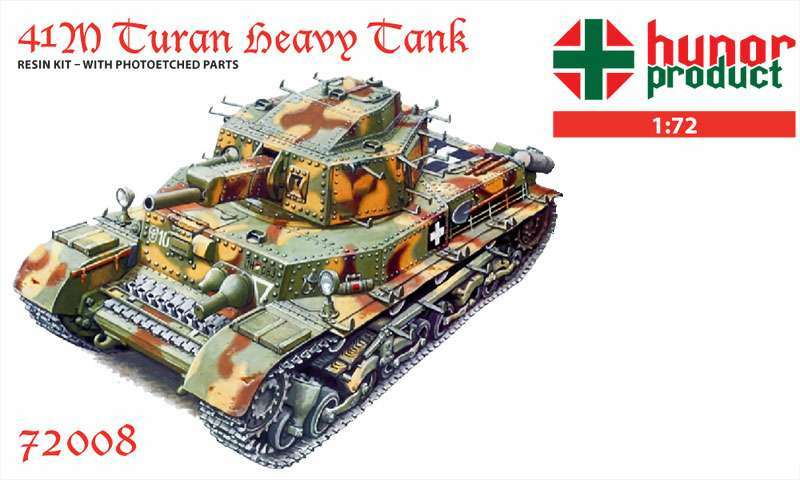 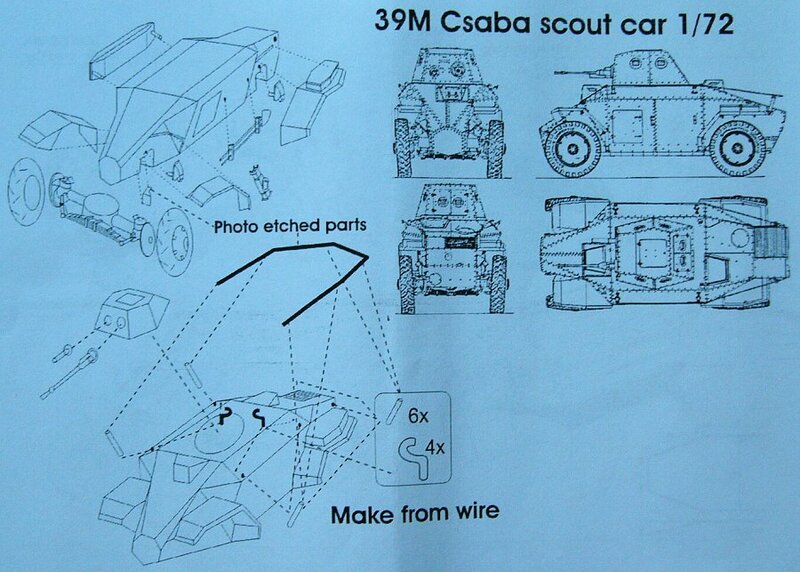 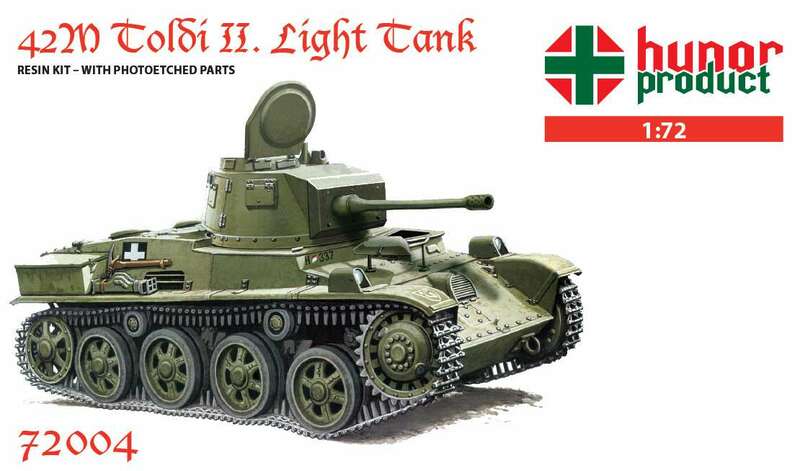 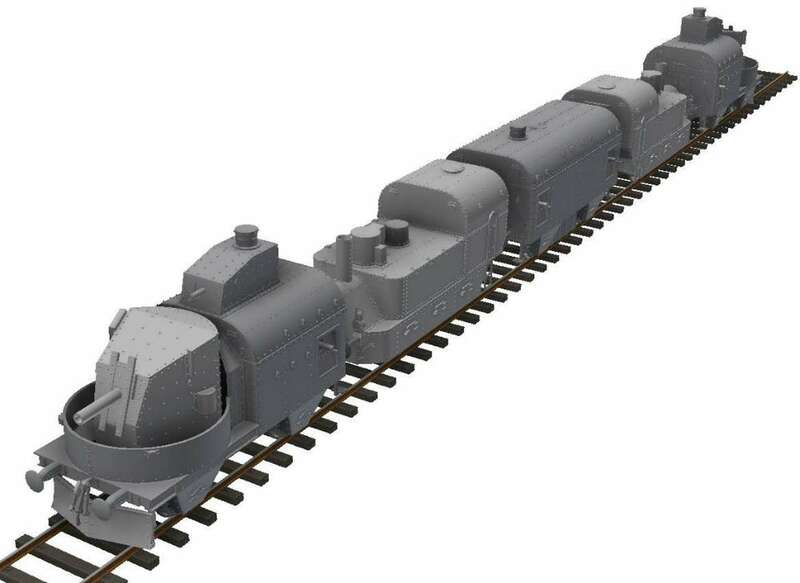 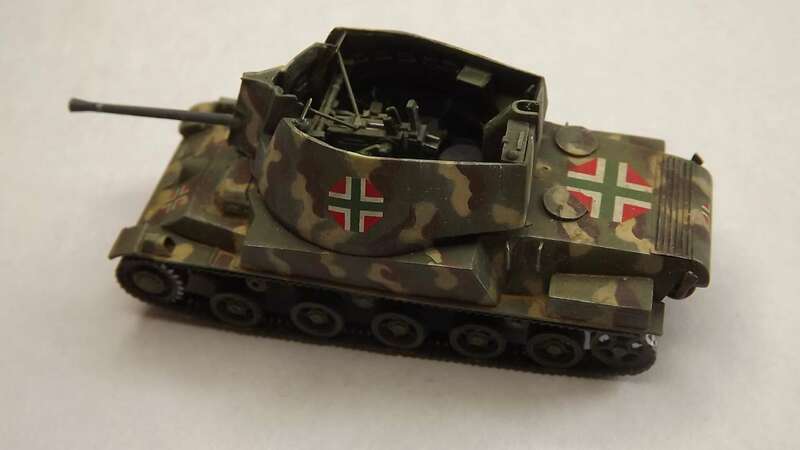 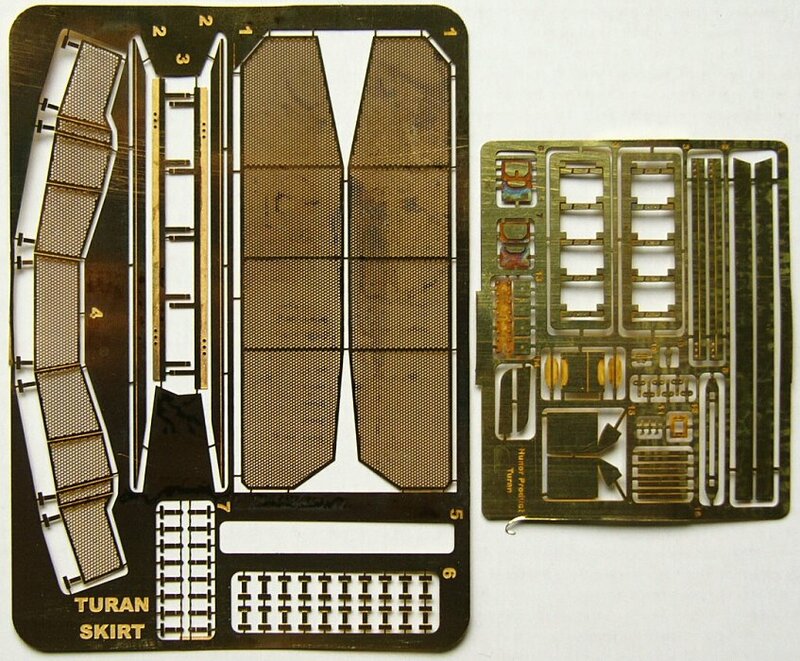 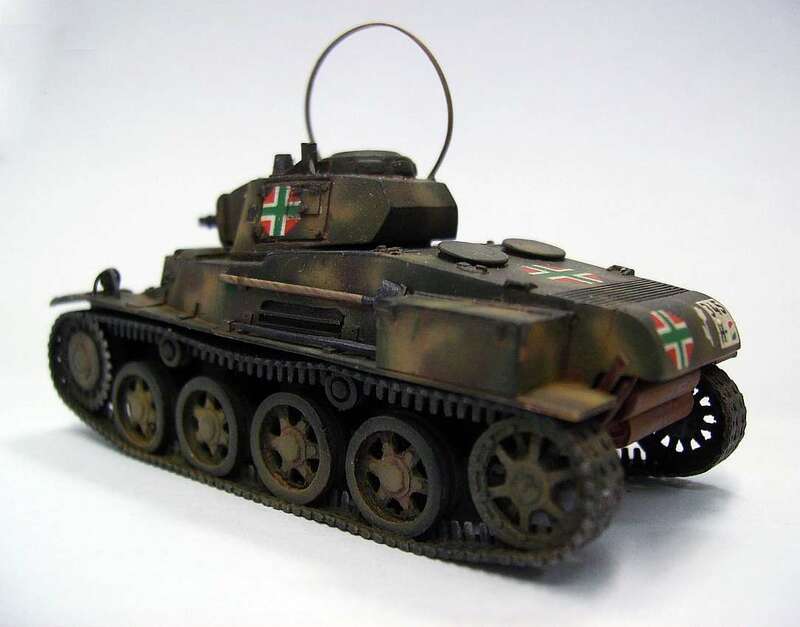 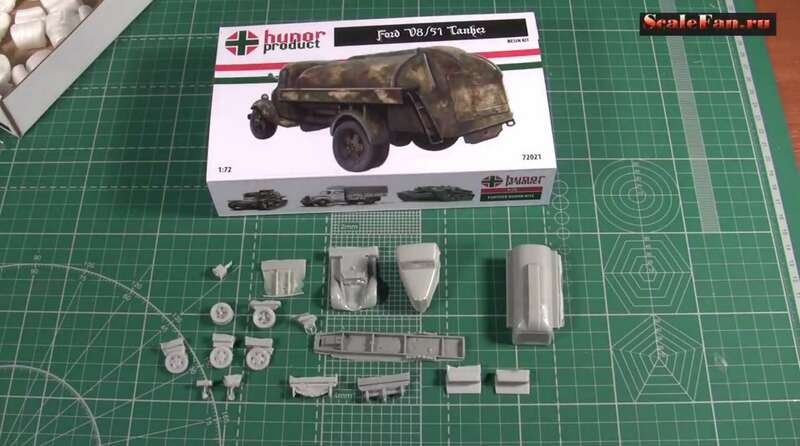 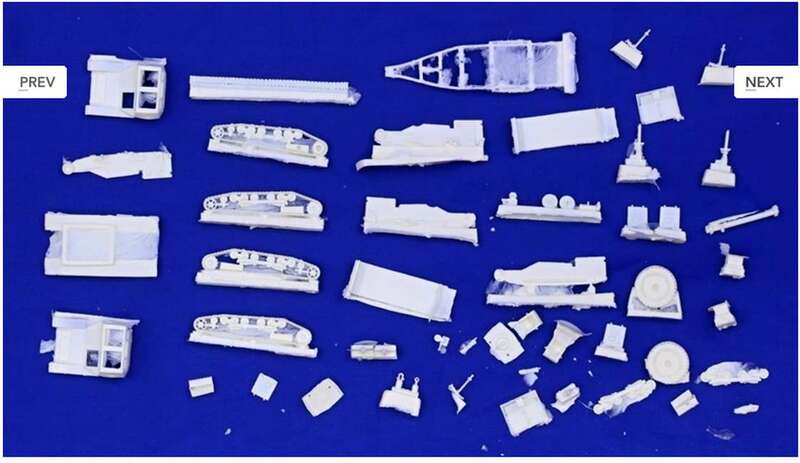 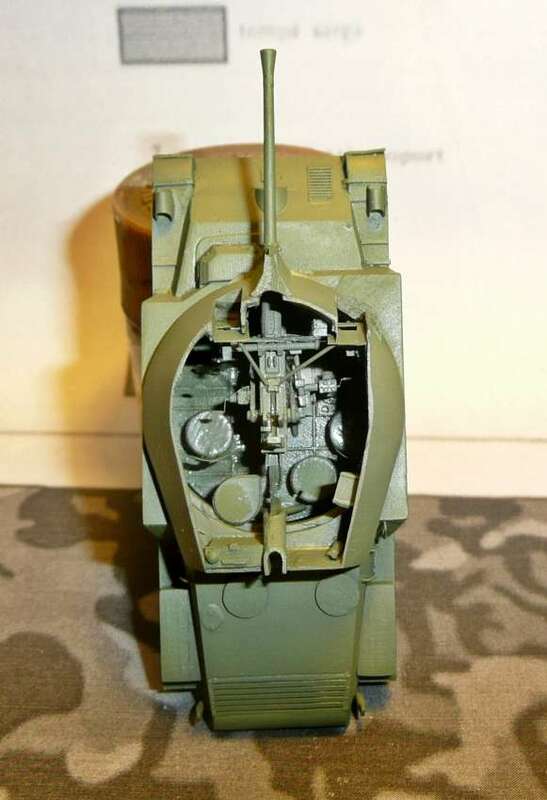 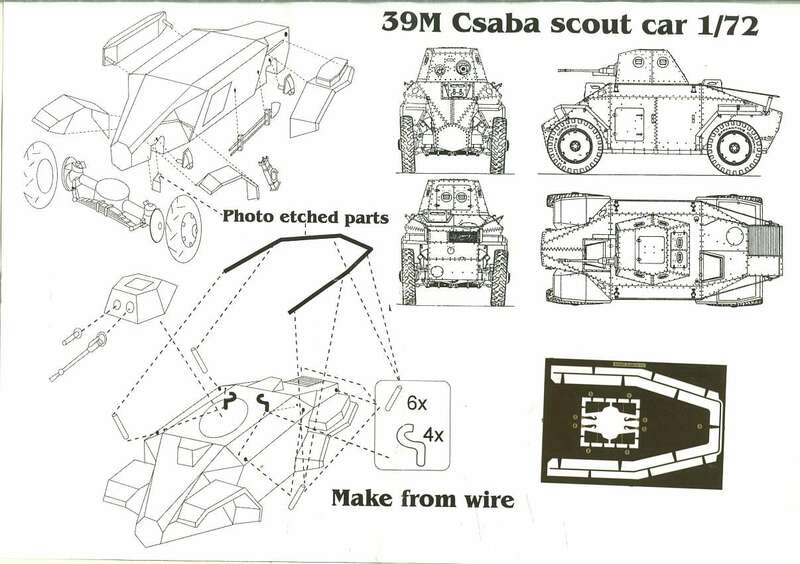 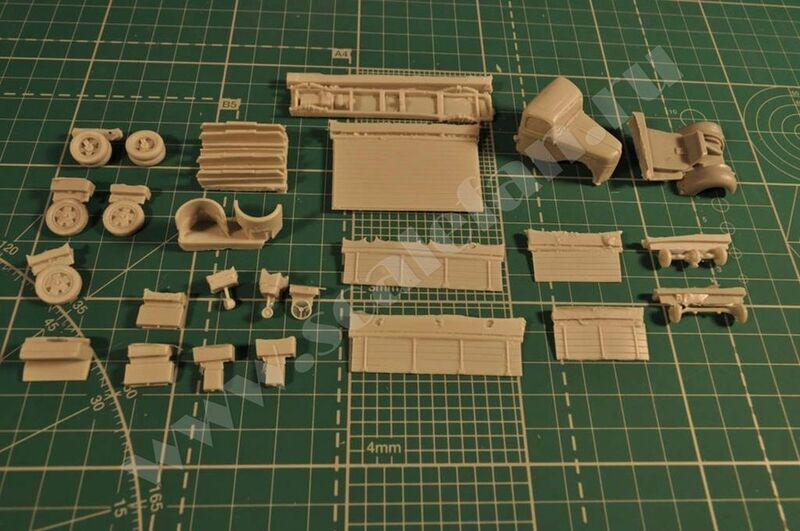 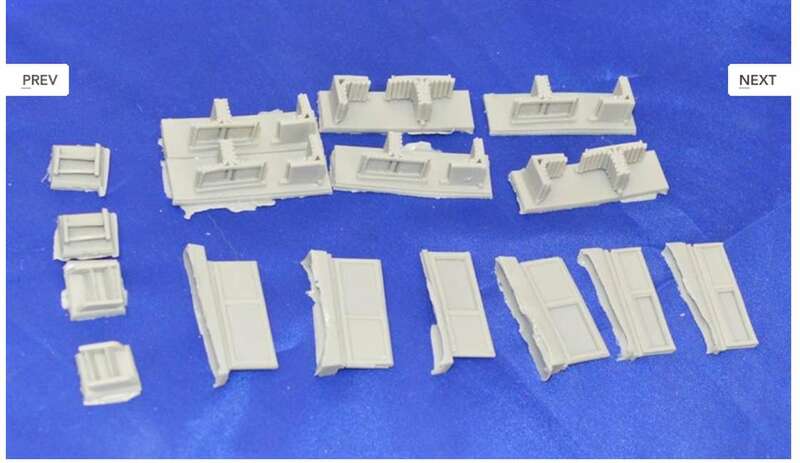 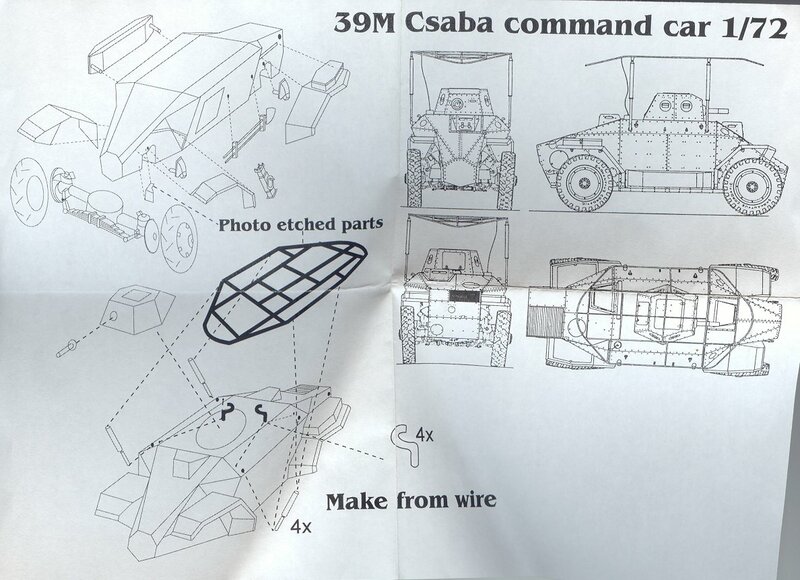 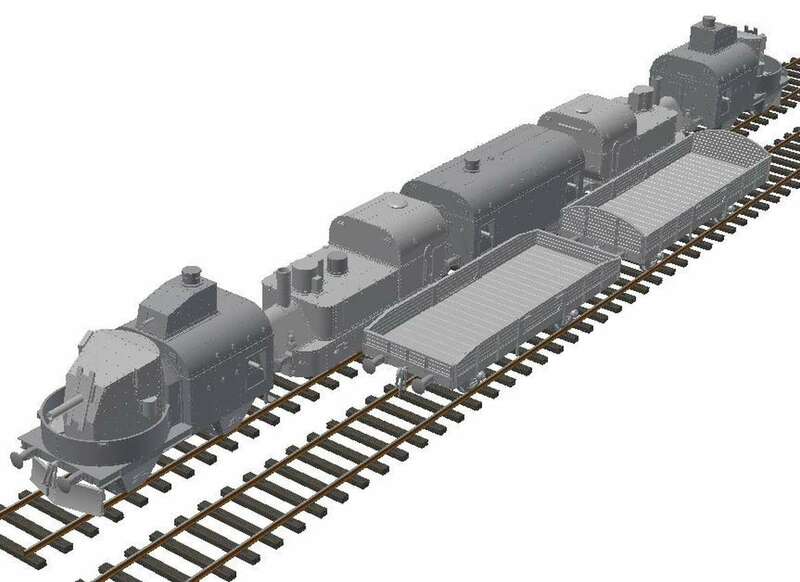 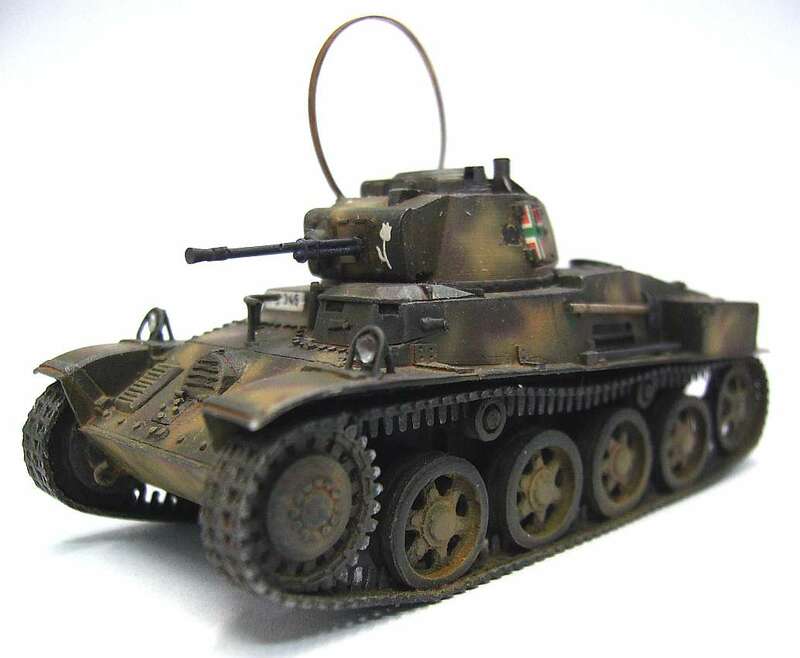 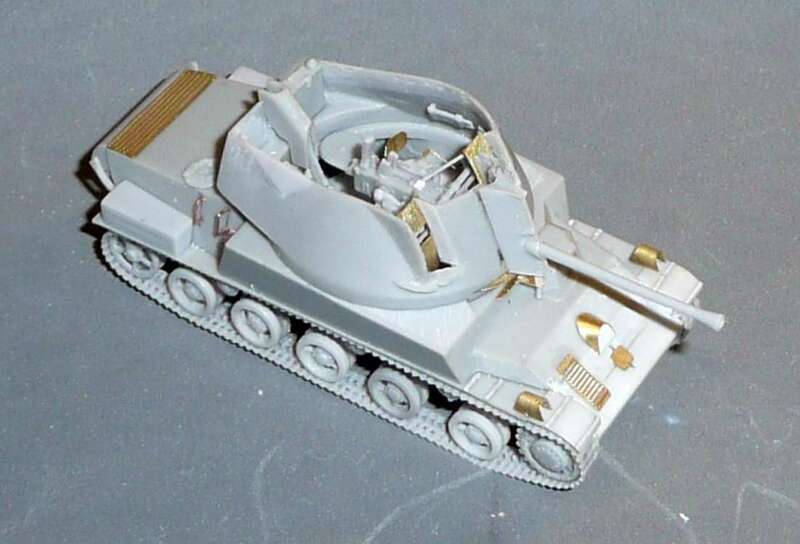 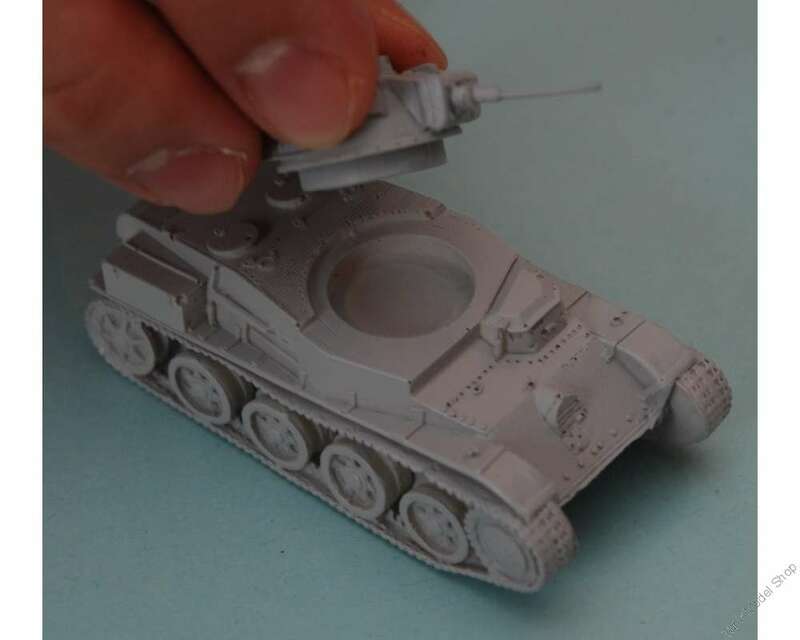 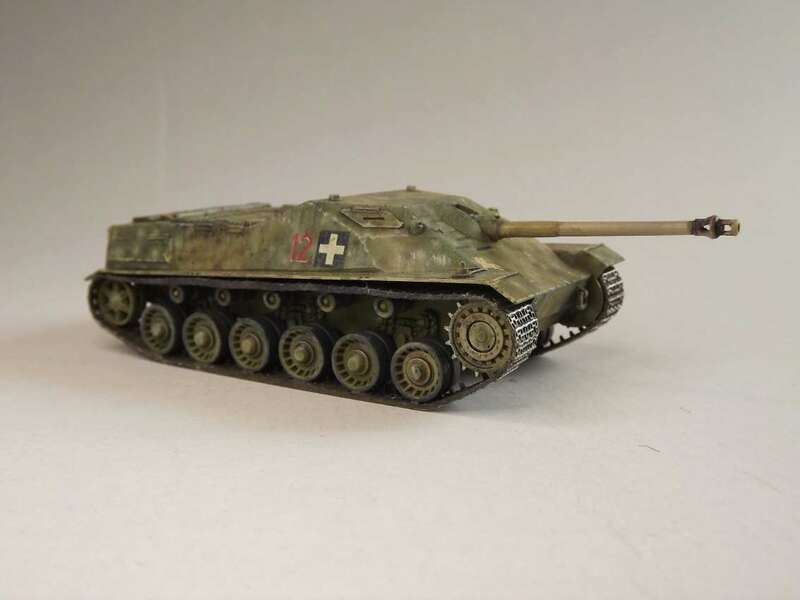 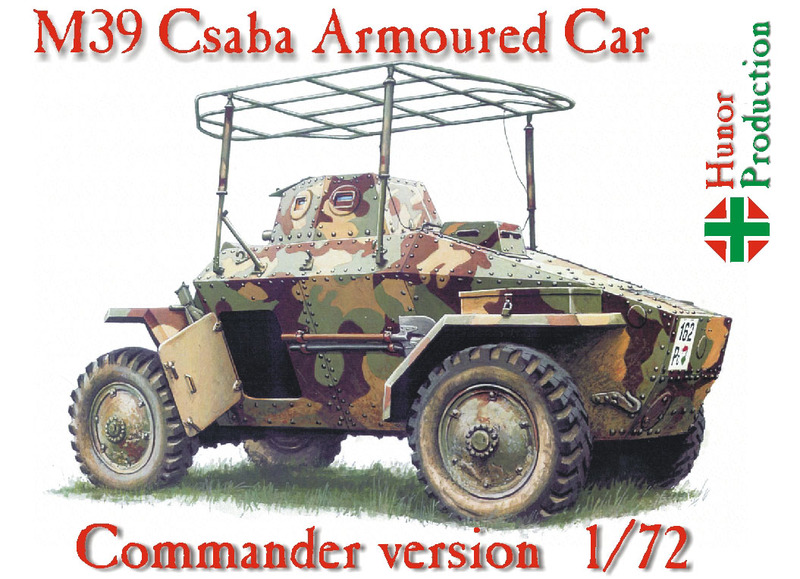 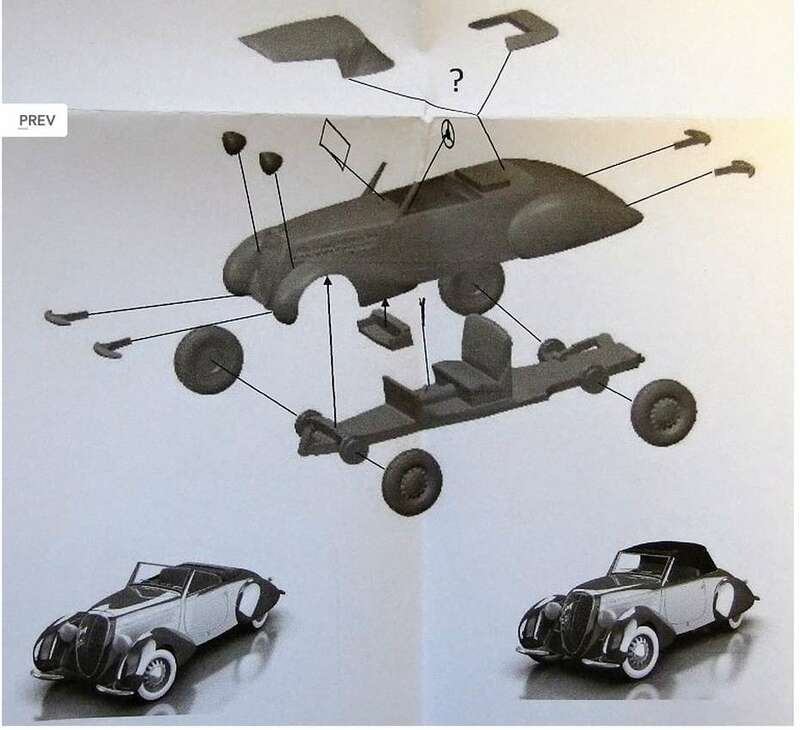 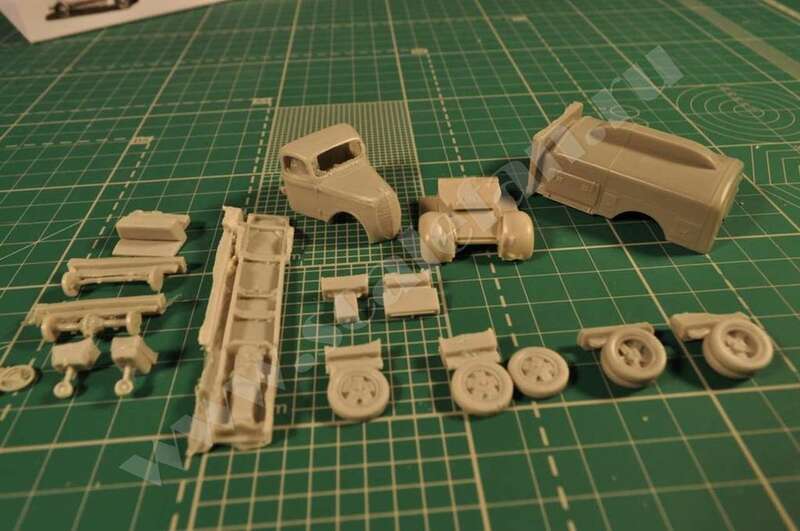 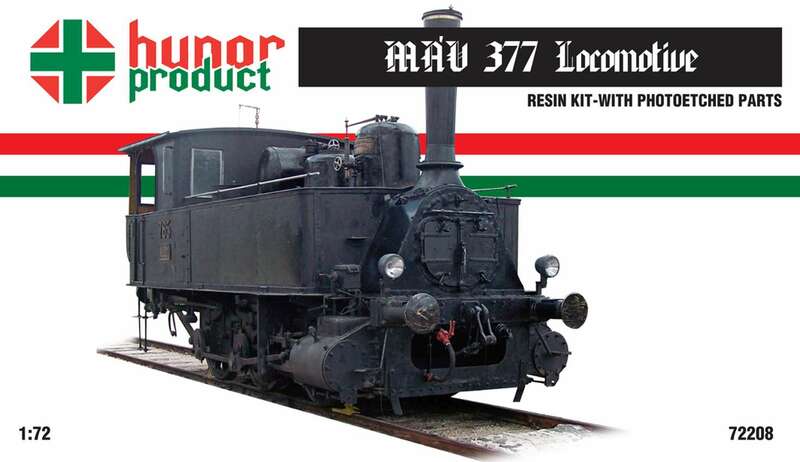 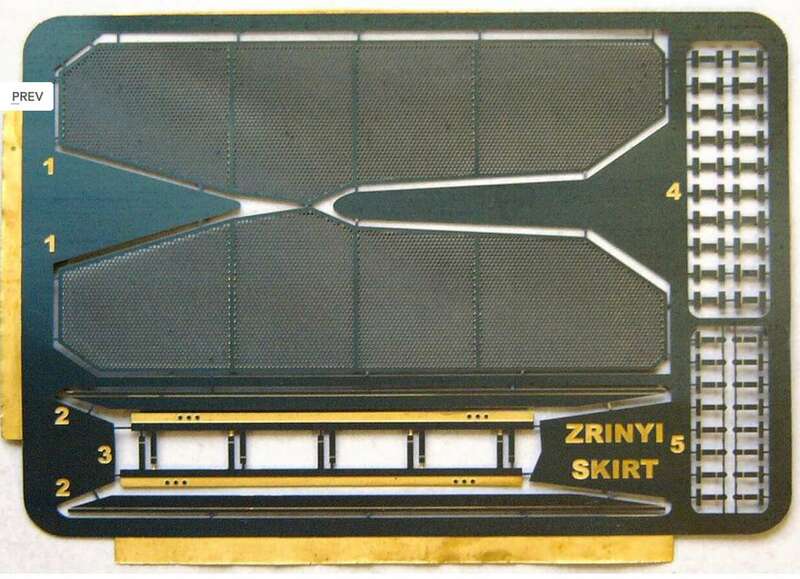 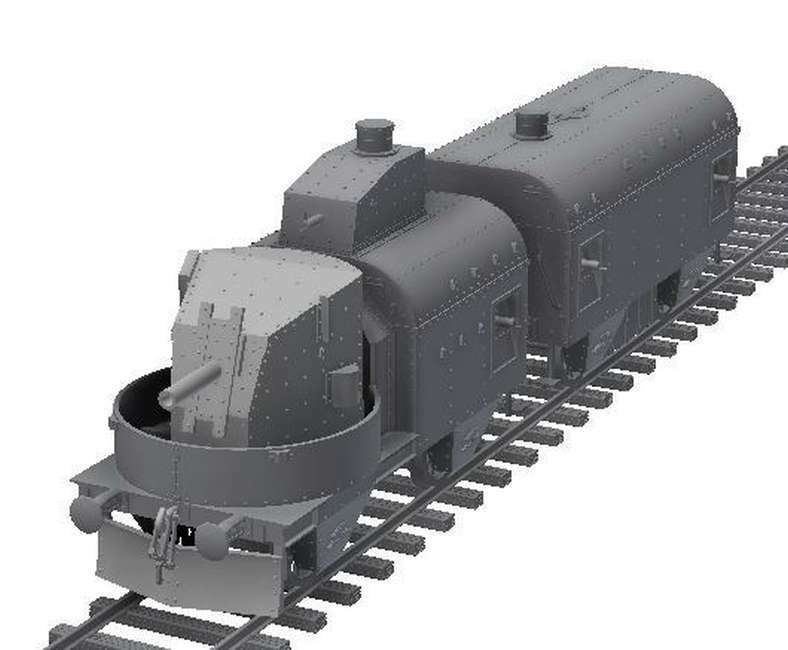 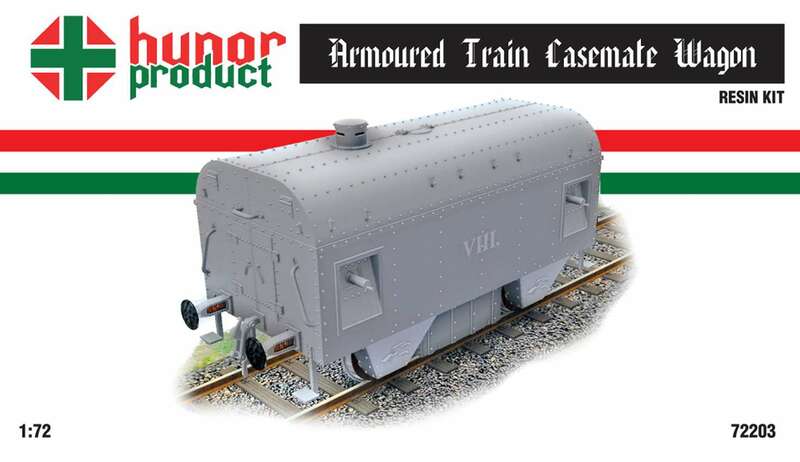 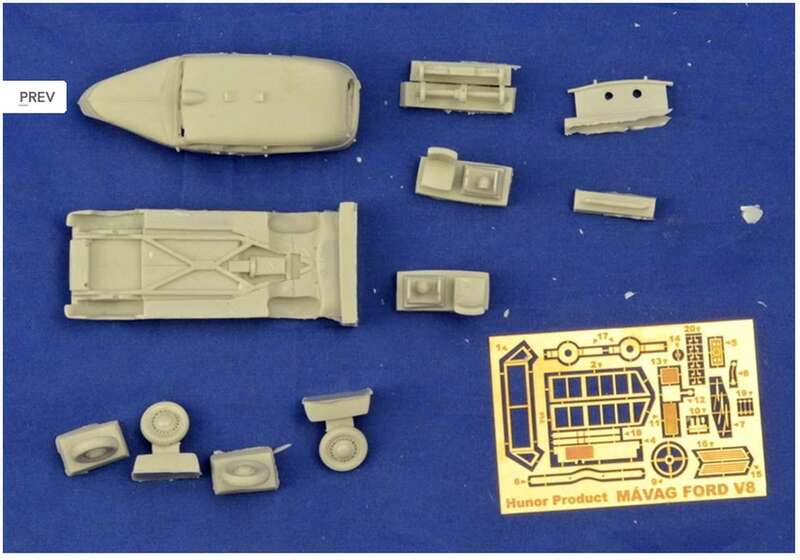 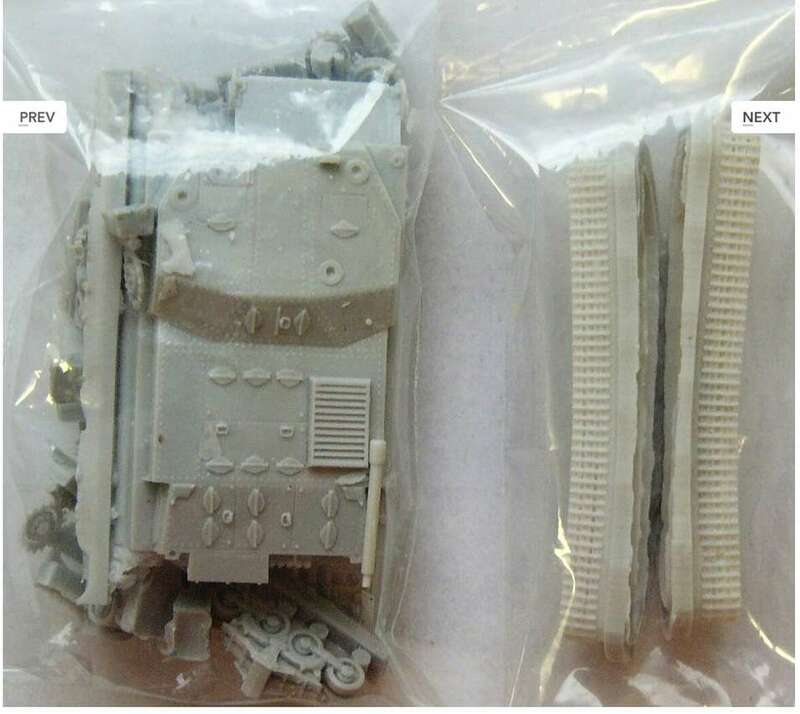 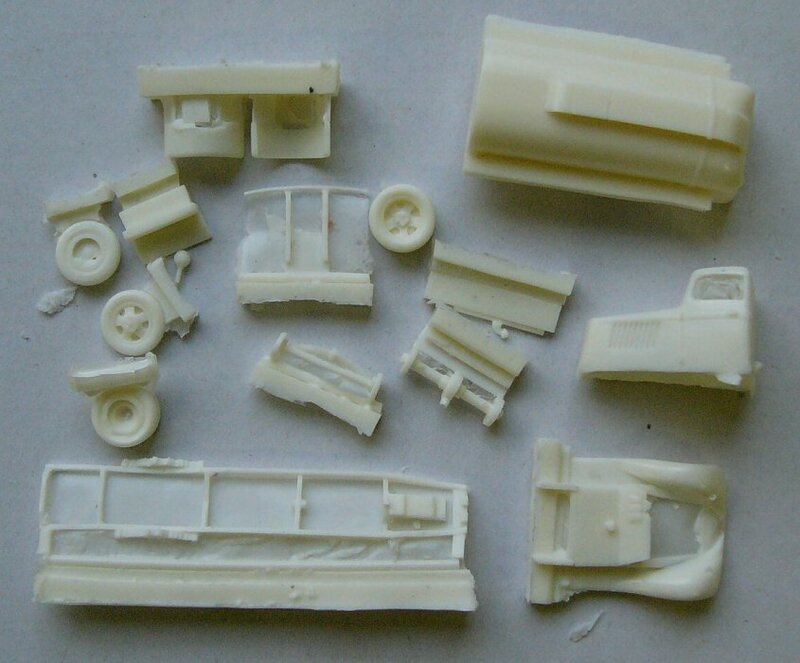 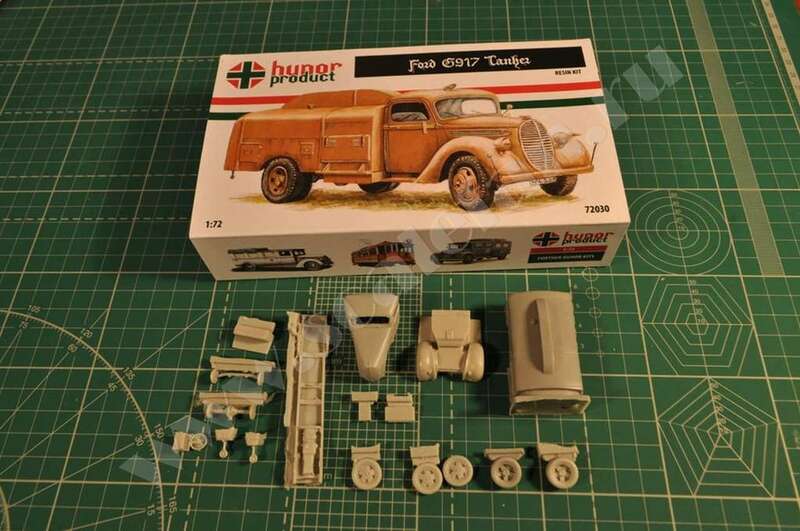 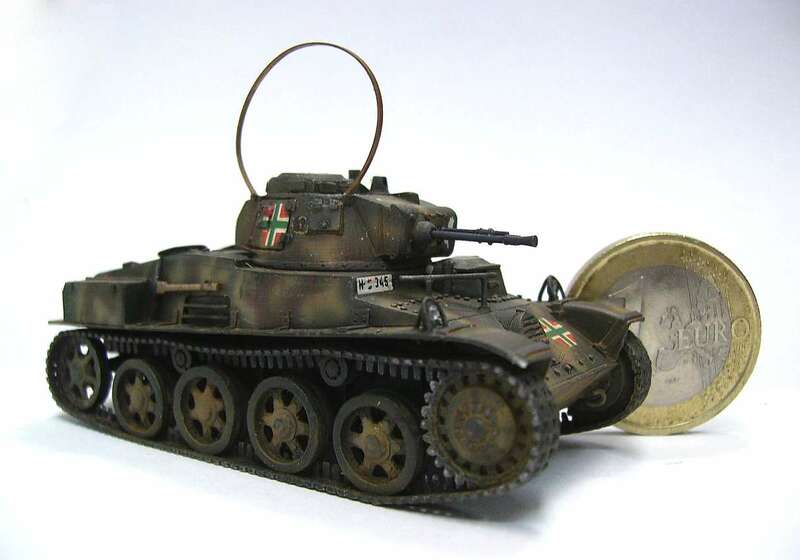 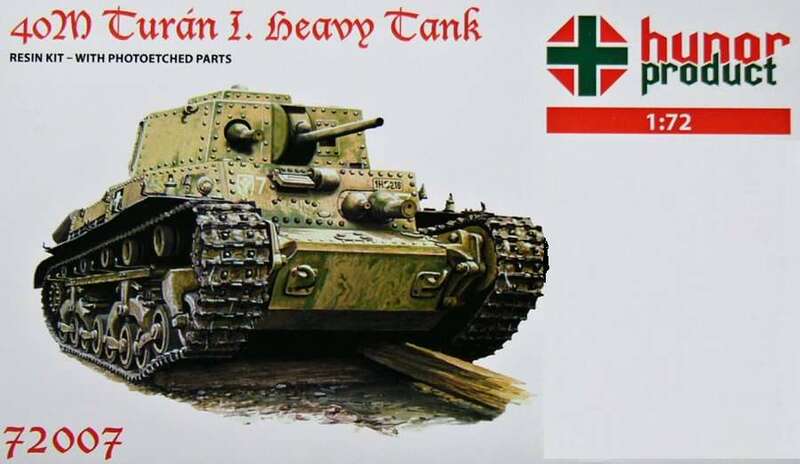 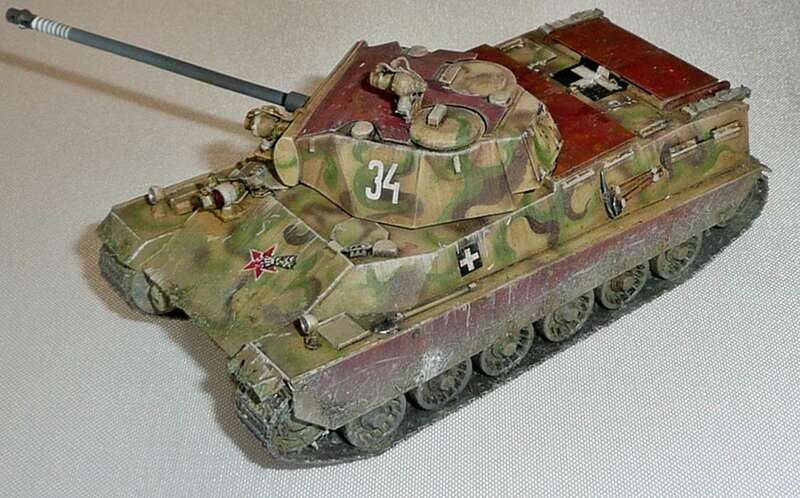 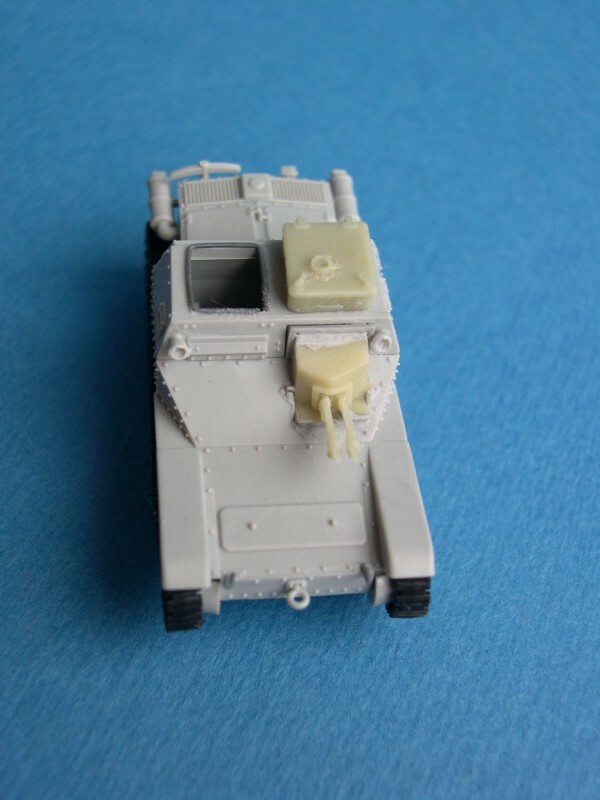 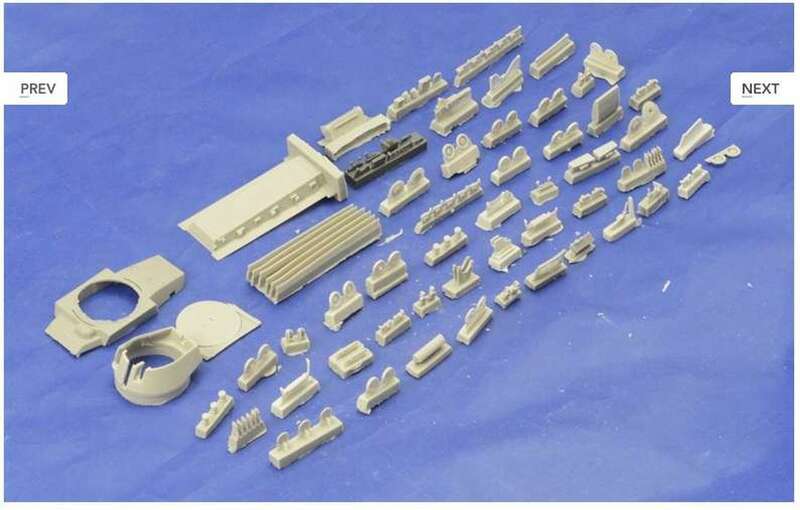 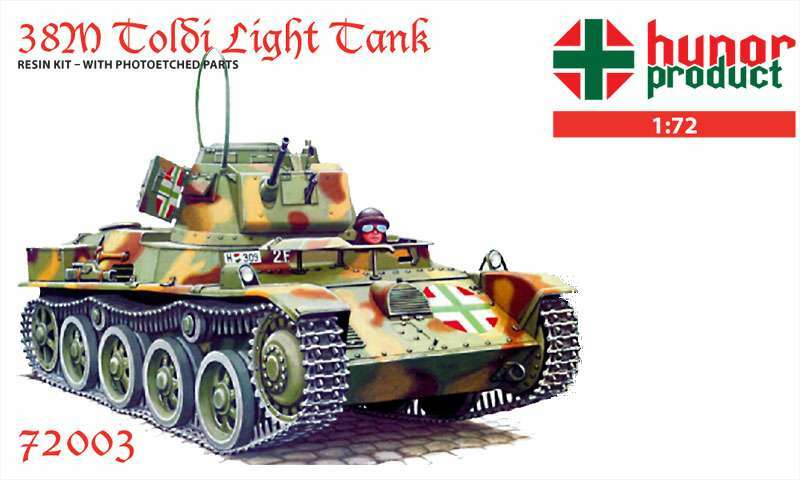 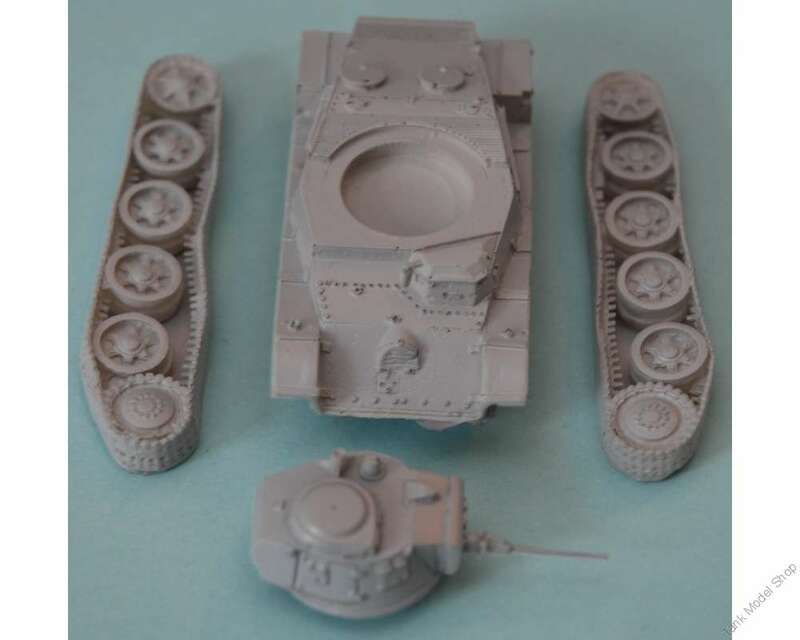 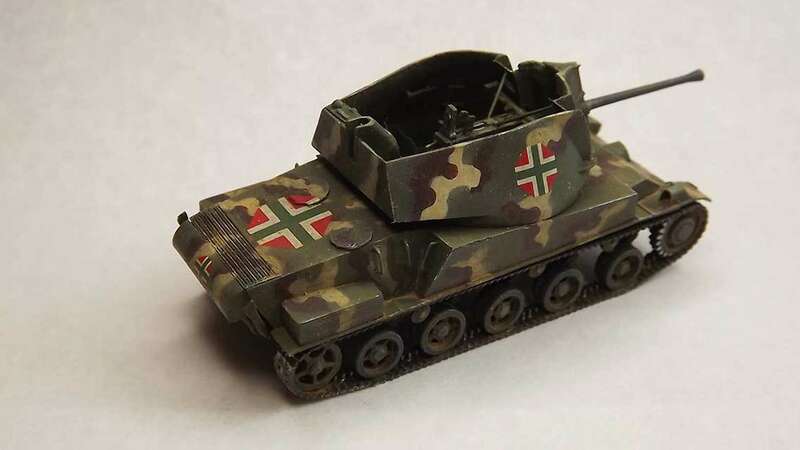 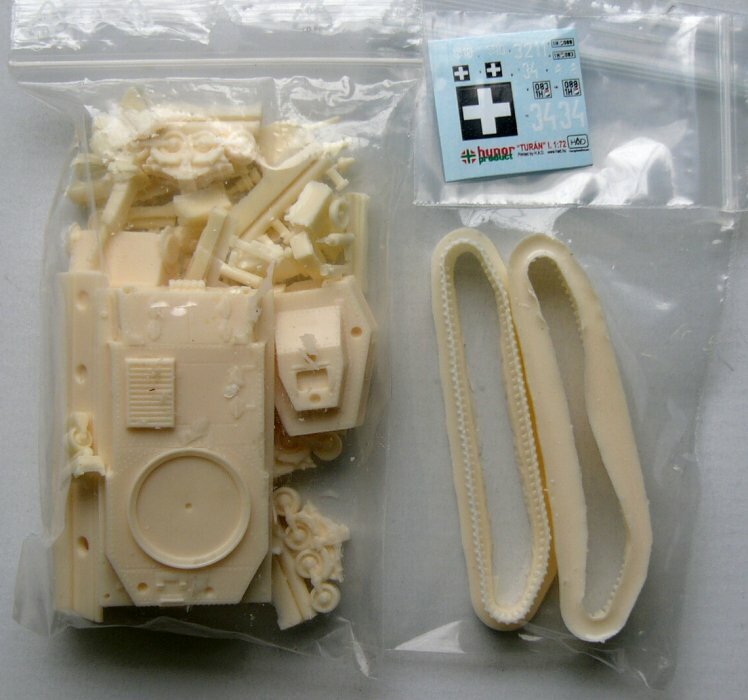 Kit 7209- Conversion set for CV35 Doc Models to make a CV35 of Hungary army. 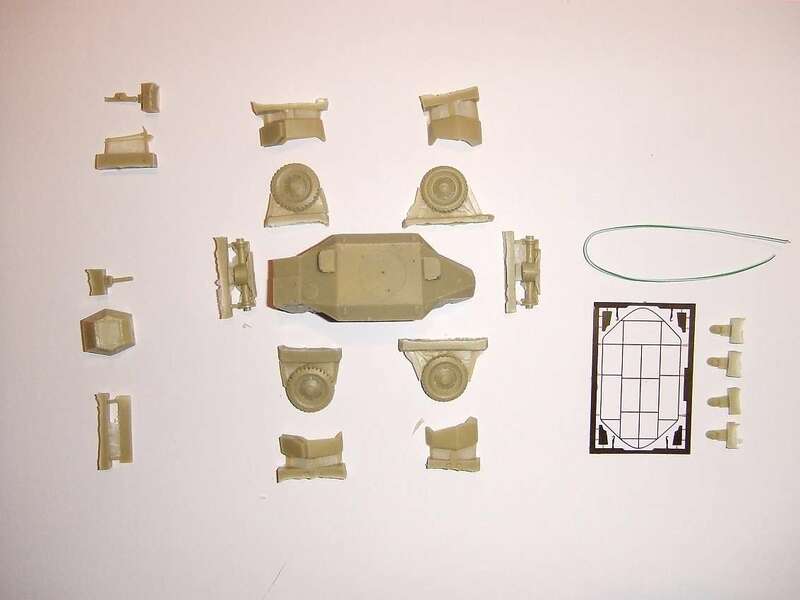 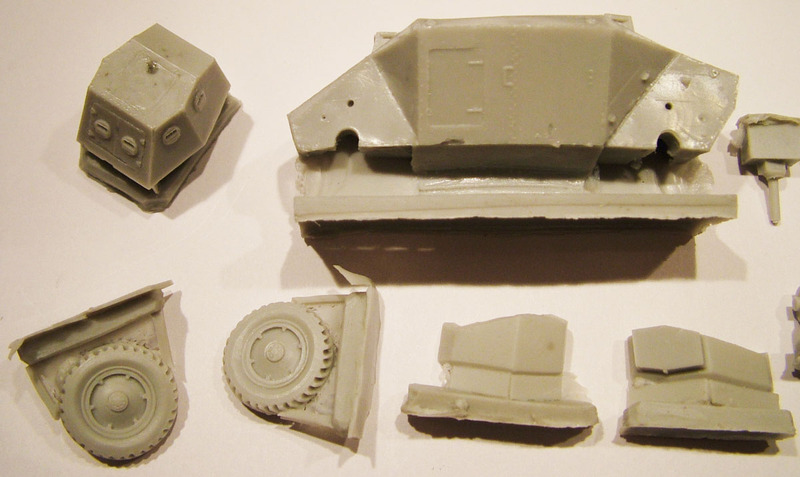 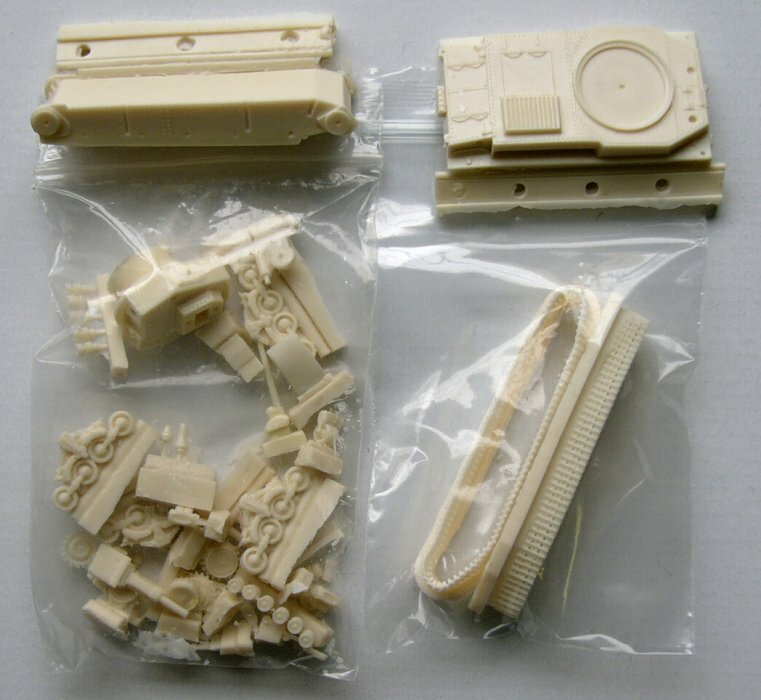 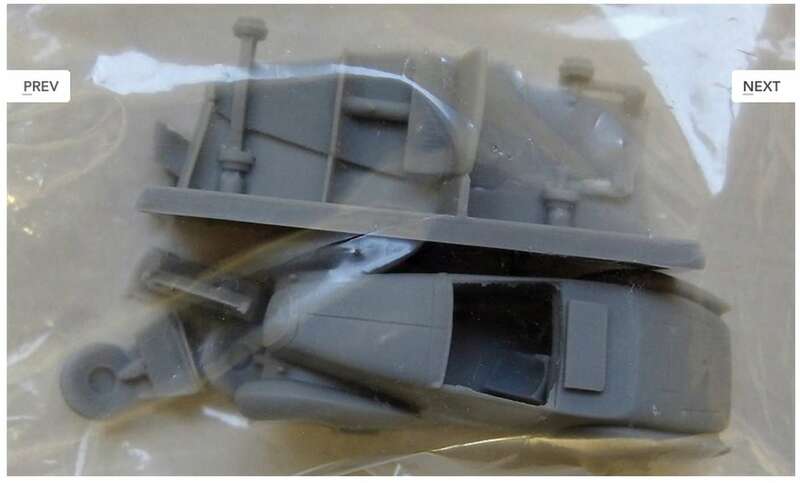 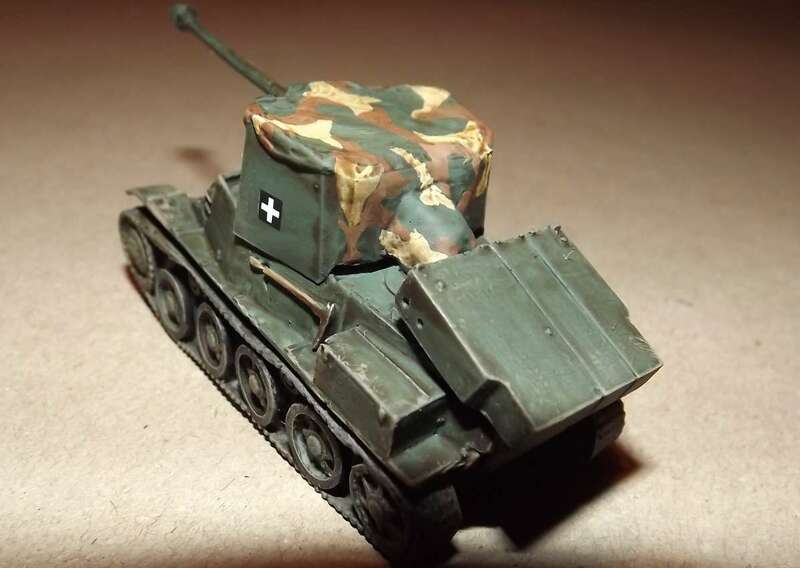 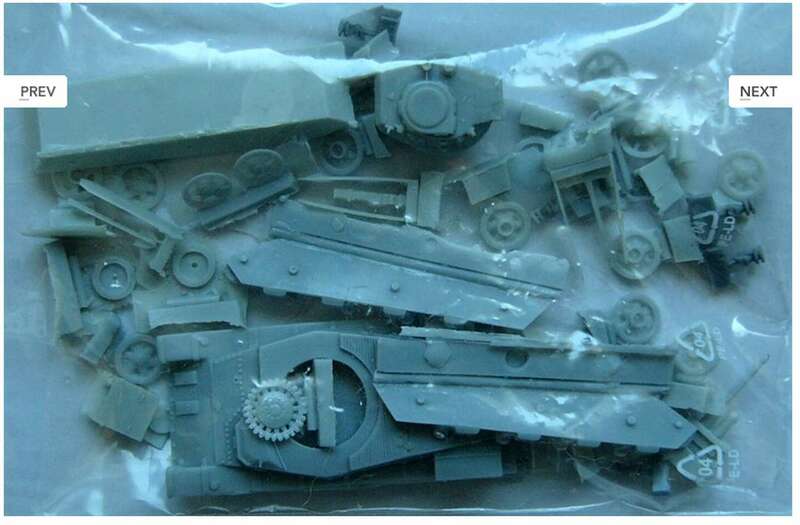 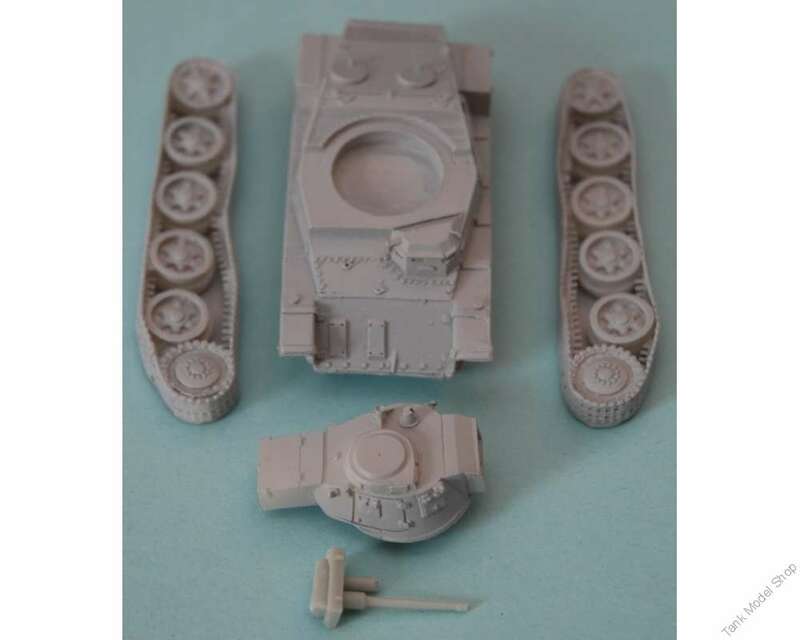 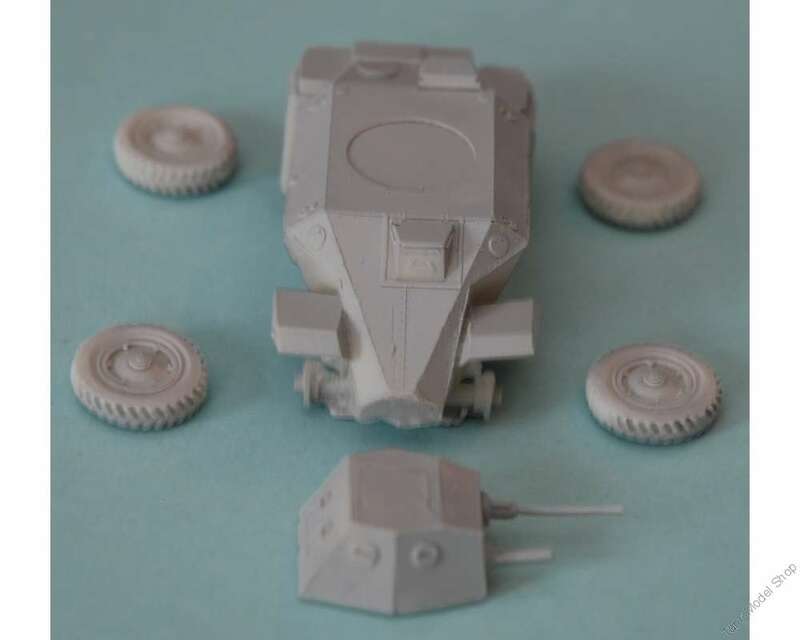 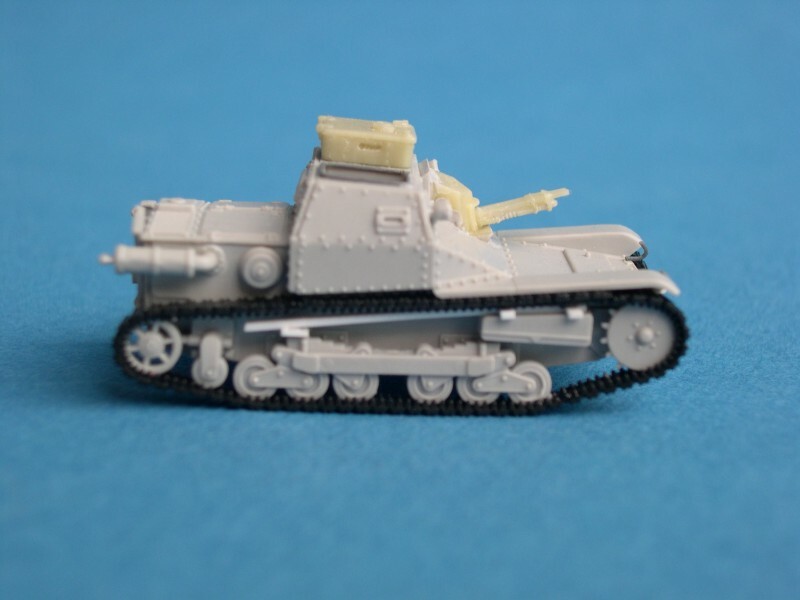 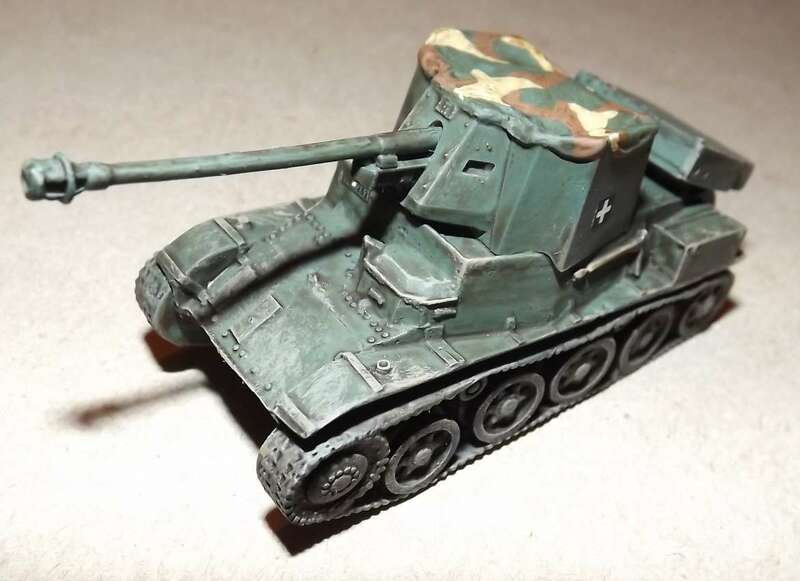 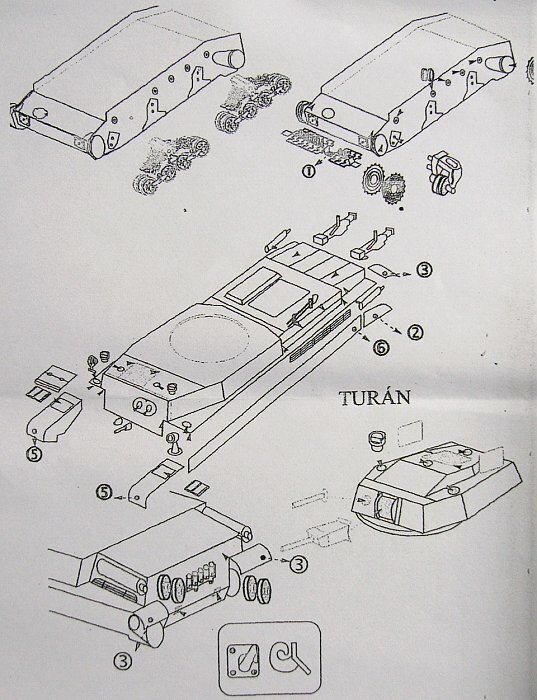 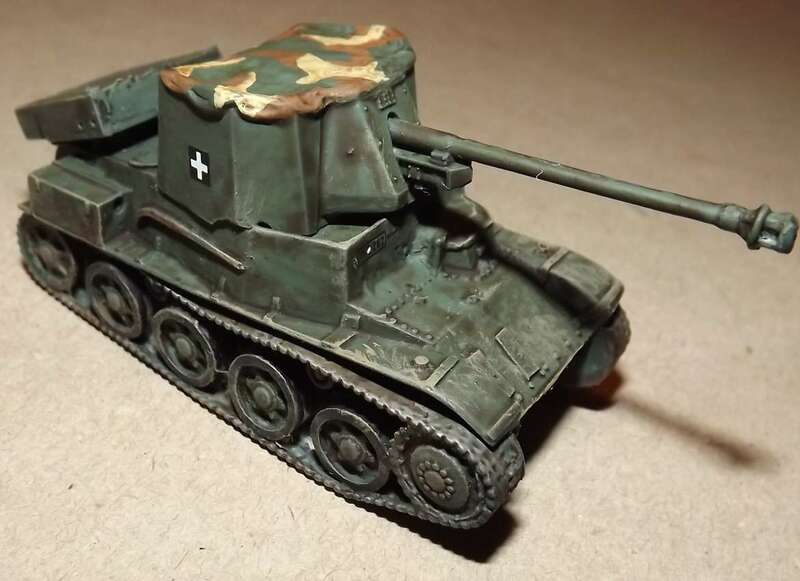 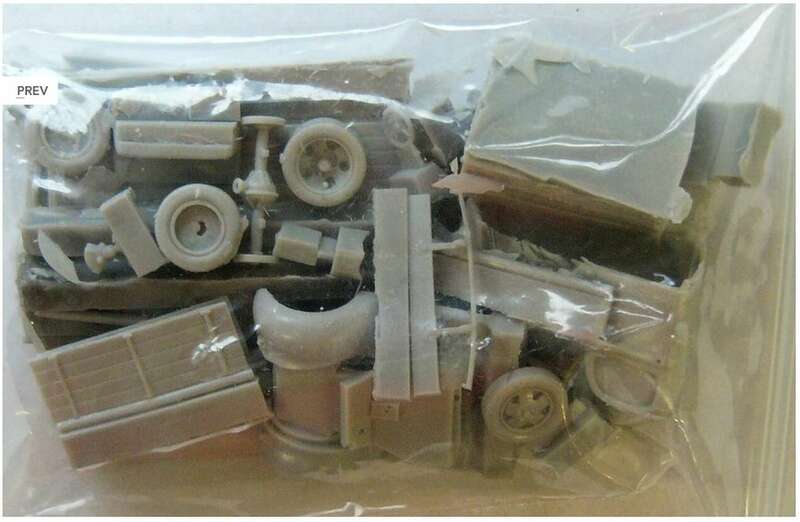 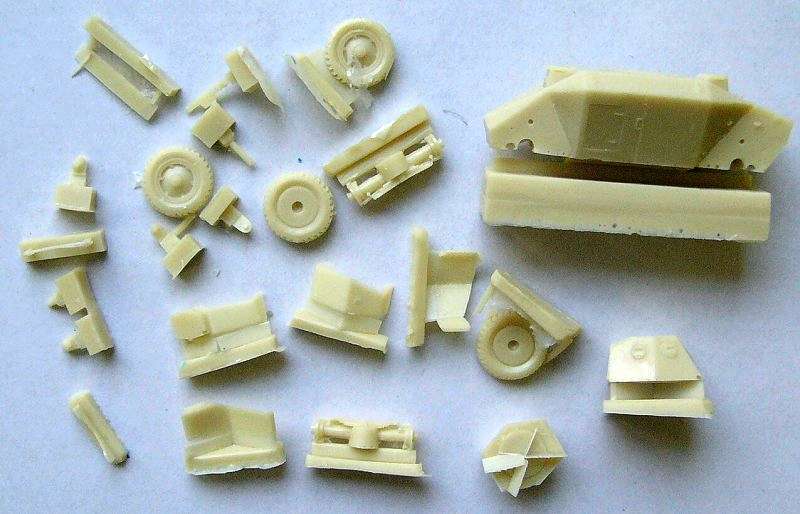 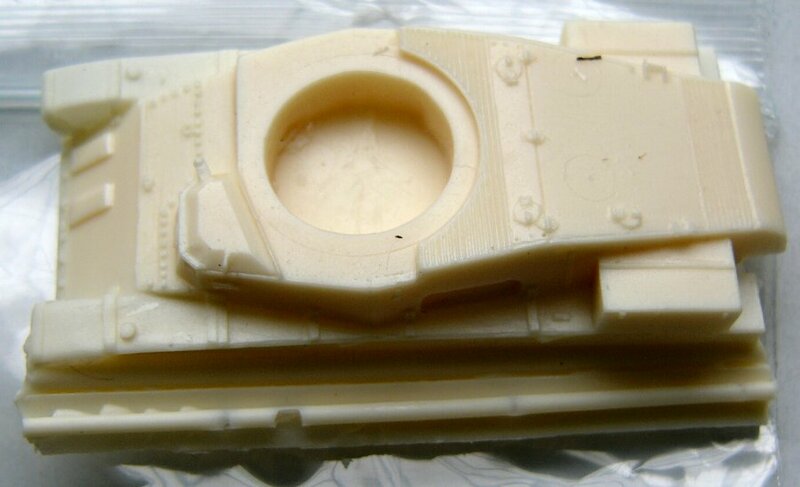 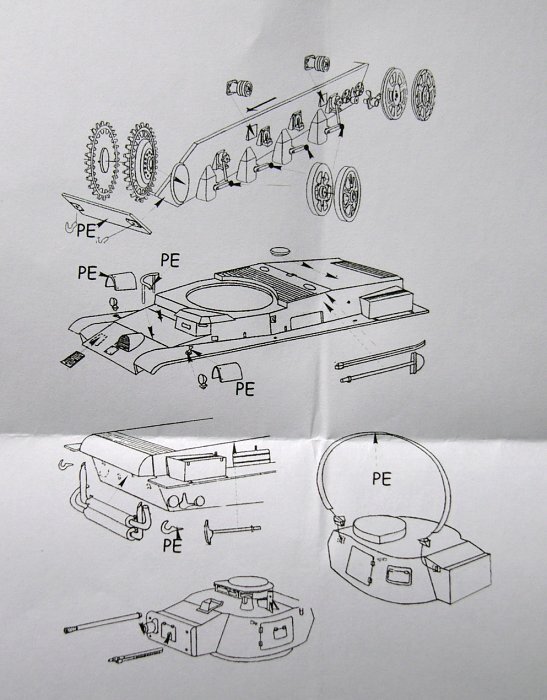 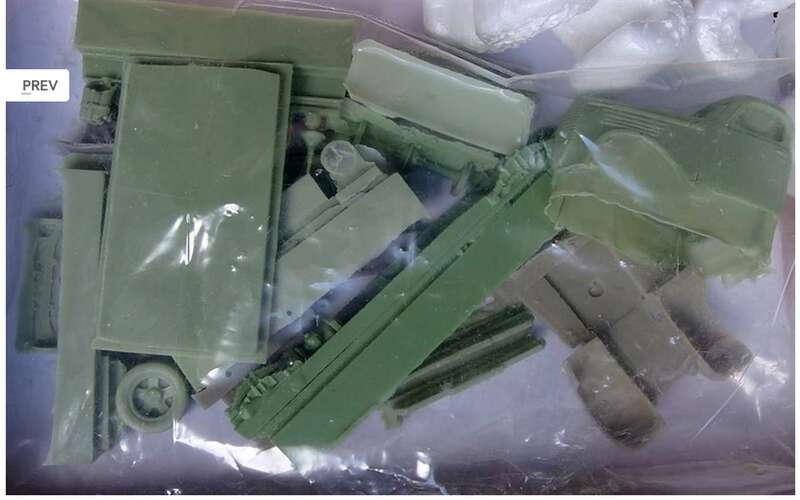 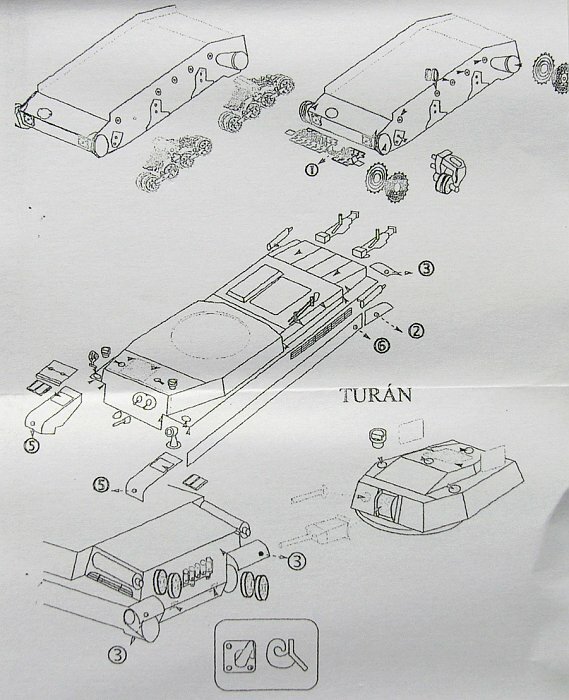 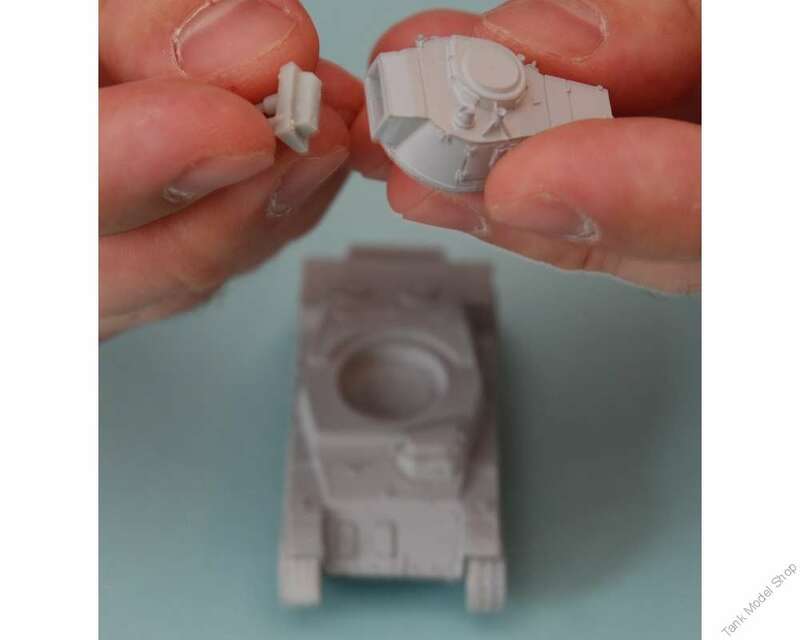 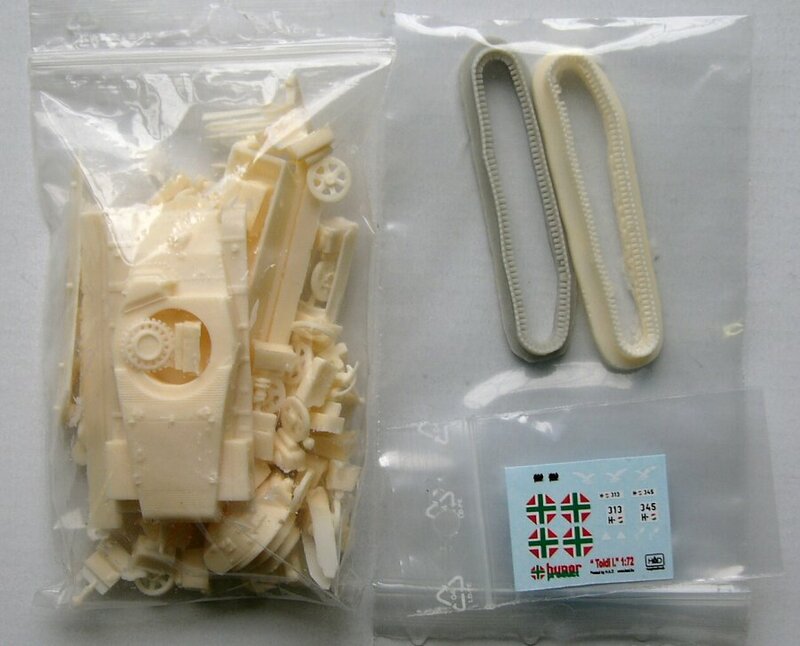 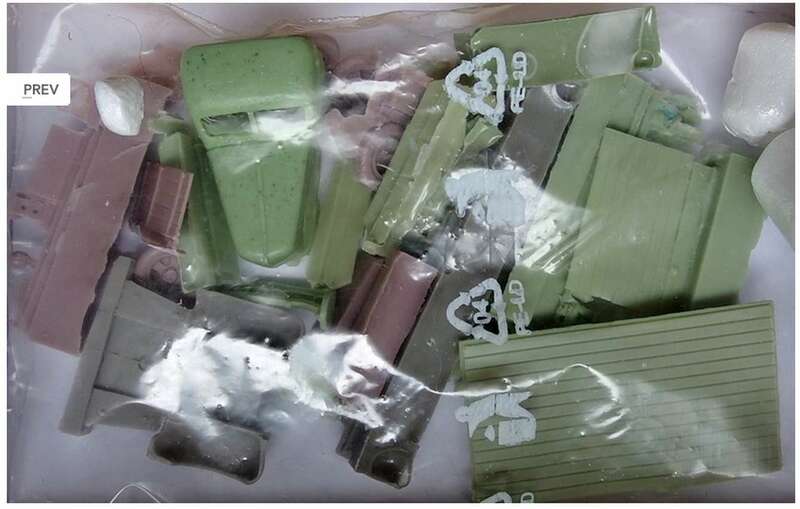 The kit has the other parts of this tankette, so it is a full set of the tankette, and I had just only bought the conversion set, sold separately in a plastic bag.